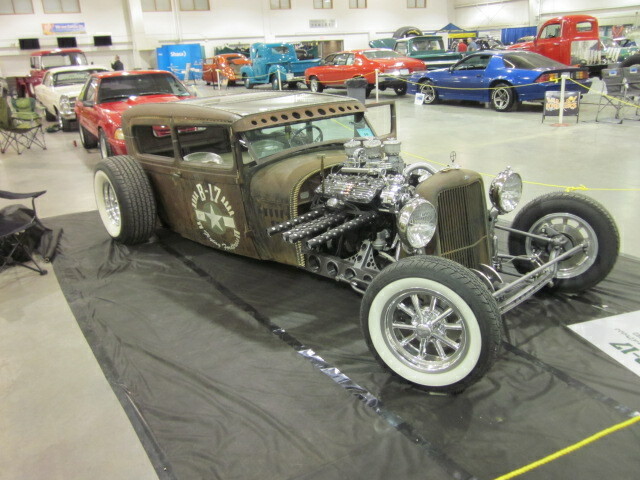 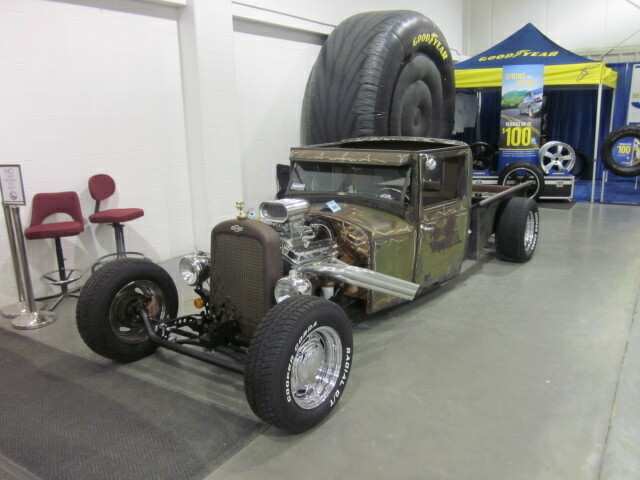 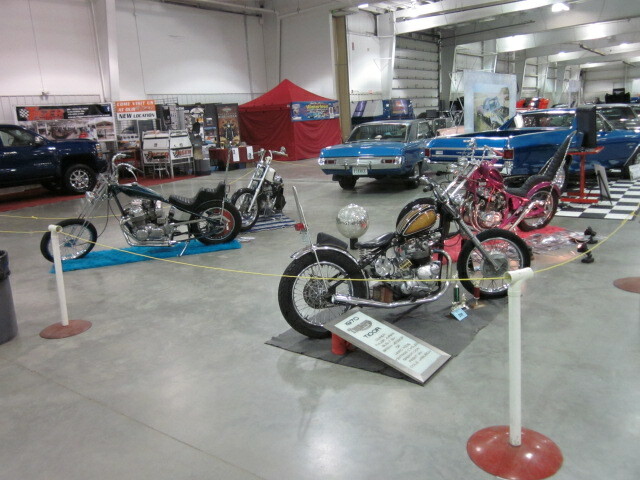 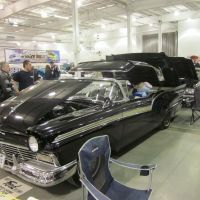 The 58th Annual Draggins Rod & Custom Car Show was held March 30 - 31, 2018 at Prairieland Park in Saskatoon.? 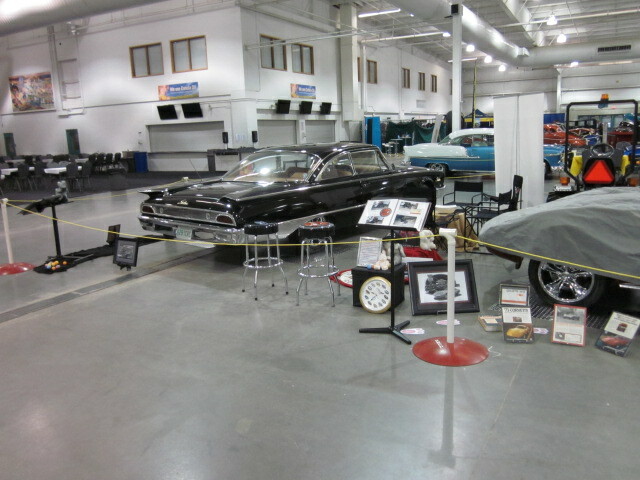 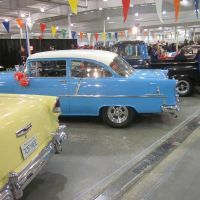 Thanks to everyone who attended, the volunteers, sponsors and vehicle owners for helping make our car show a huge success! 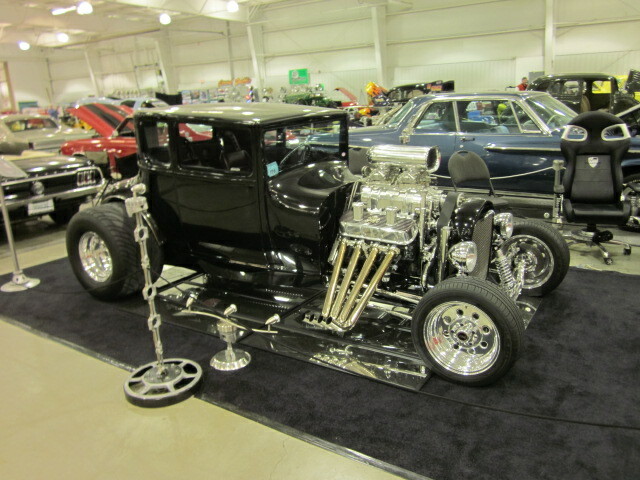 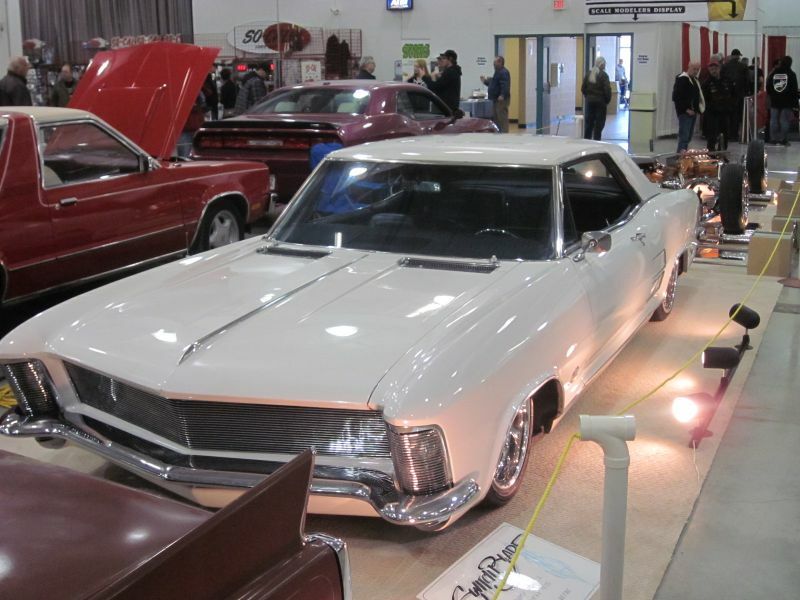 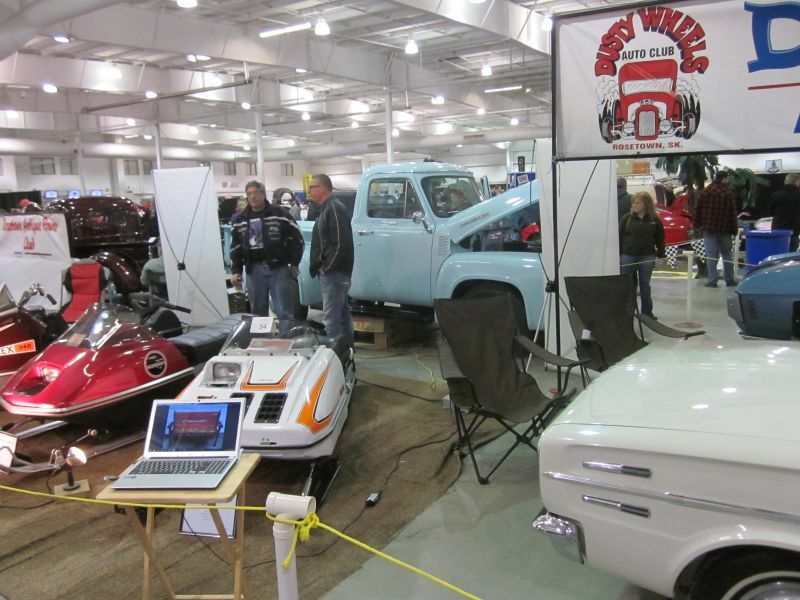 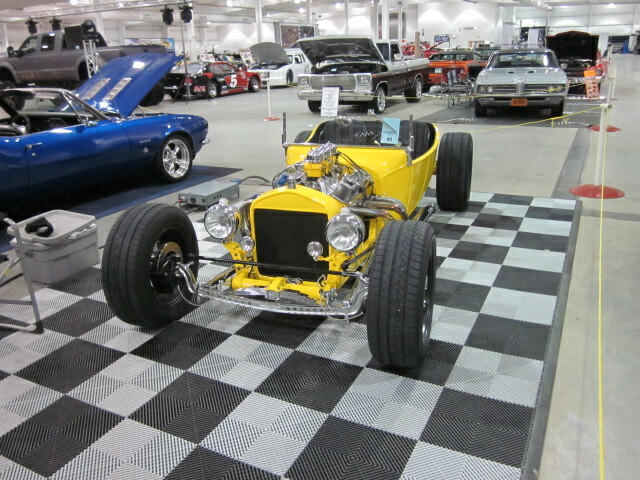 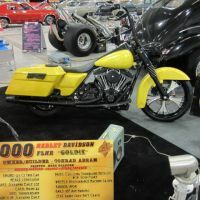 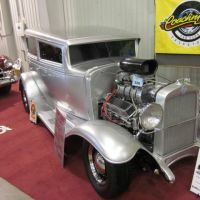 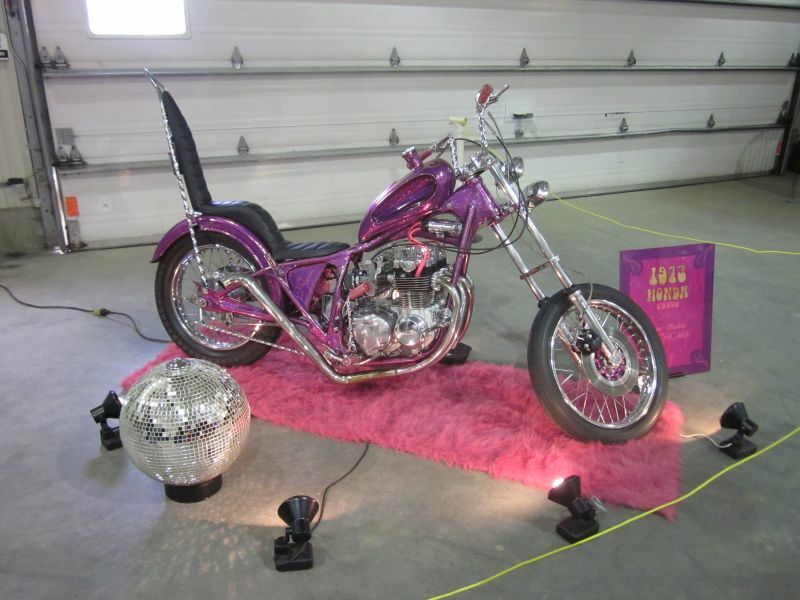 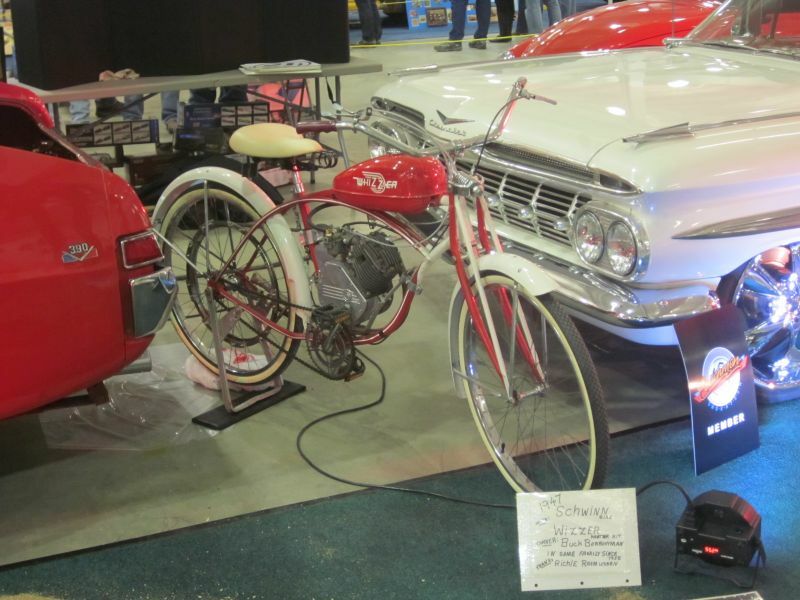 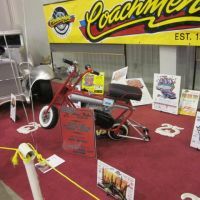 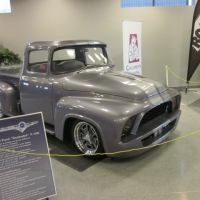 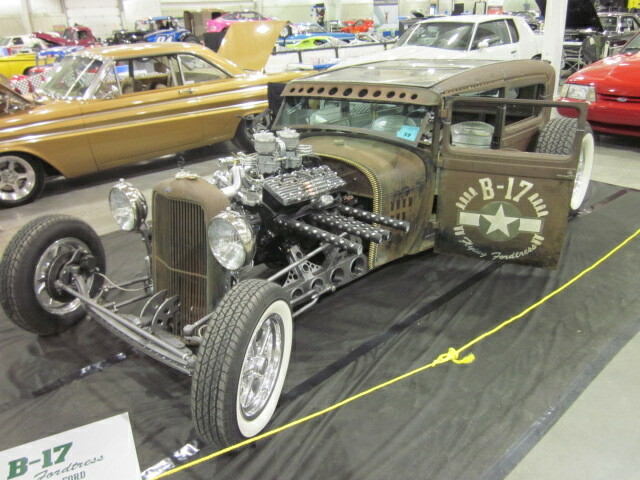 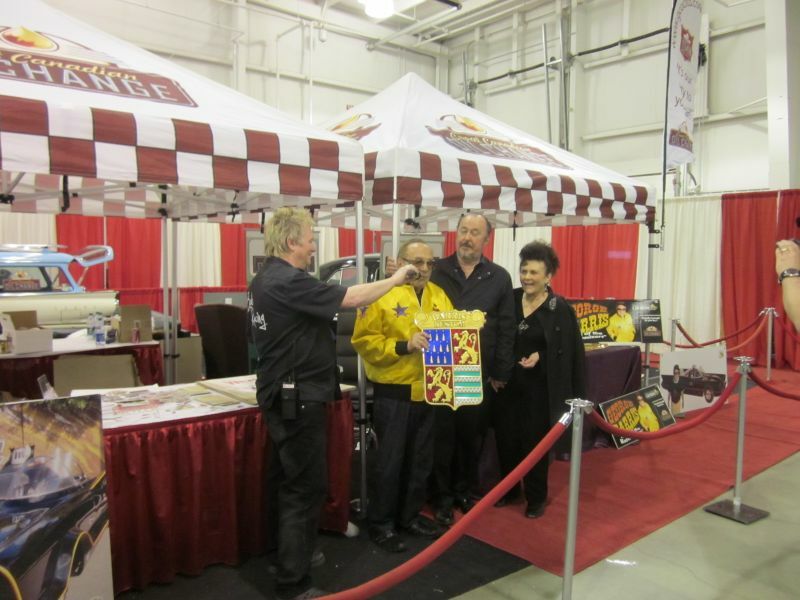 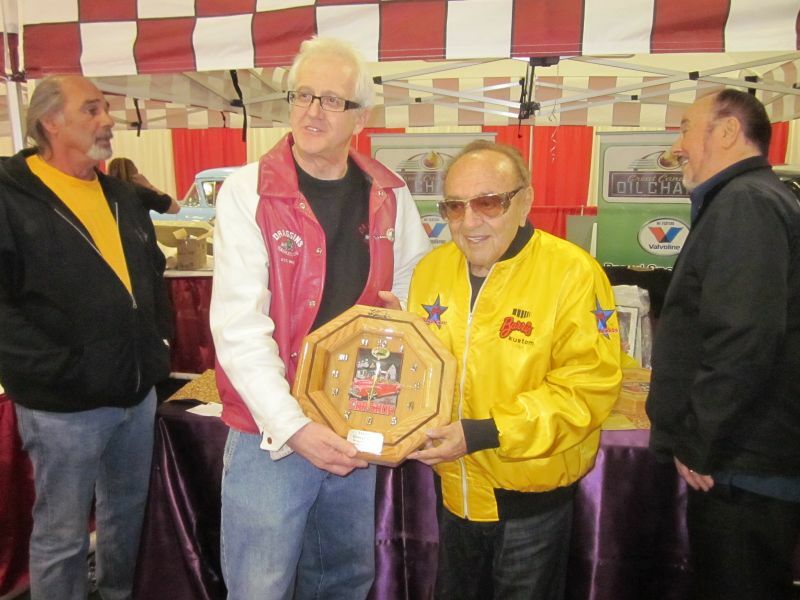 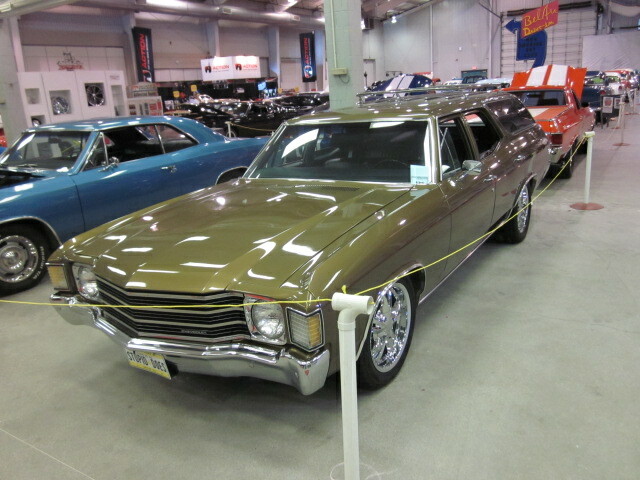 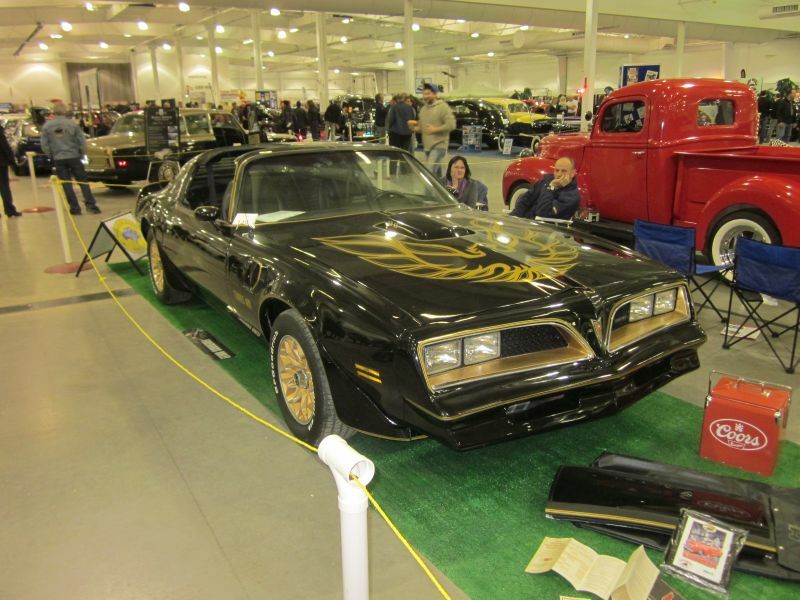 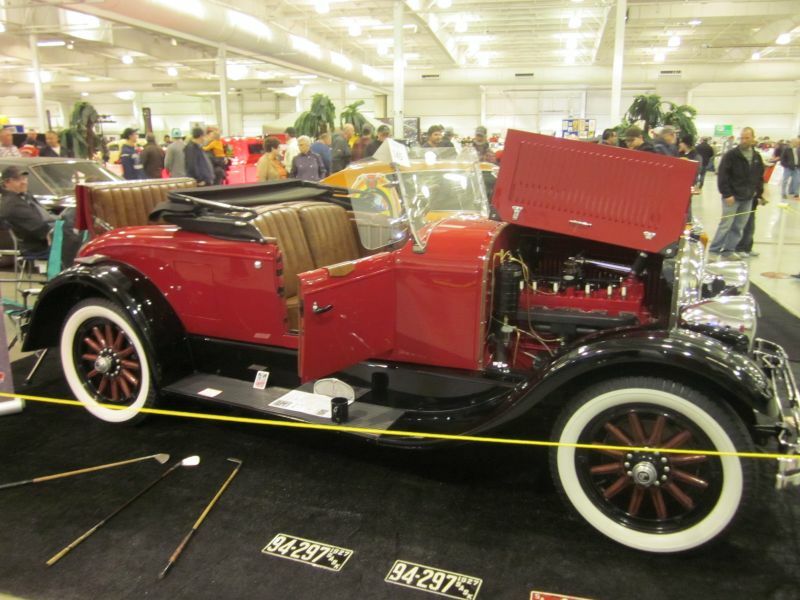 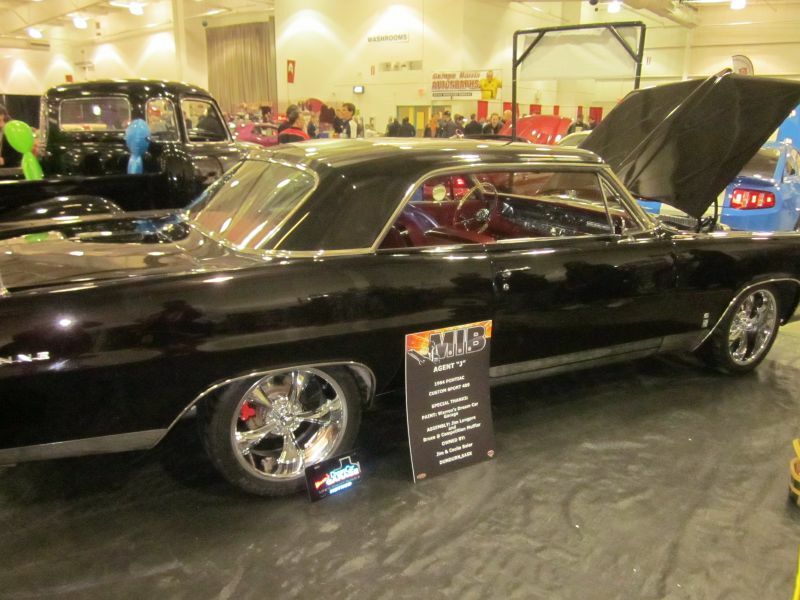 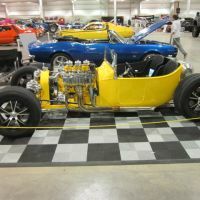 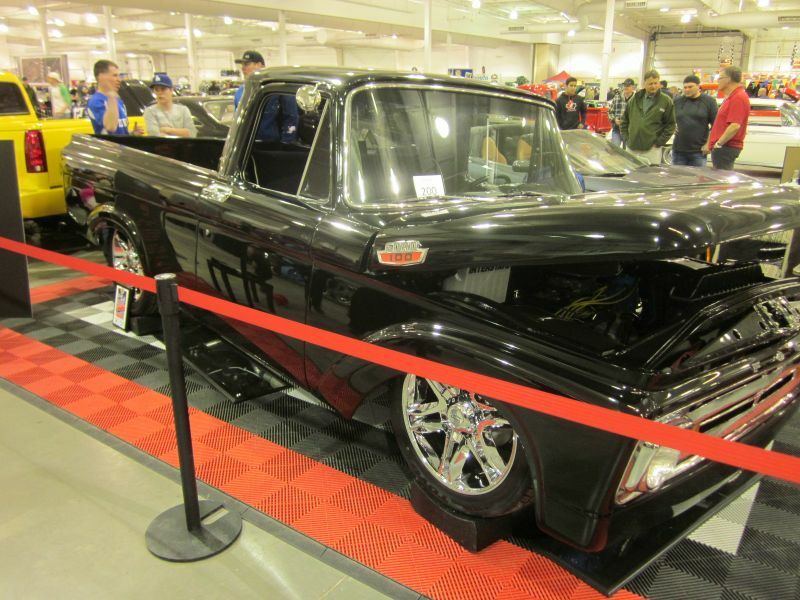 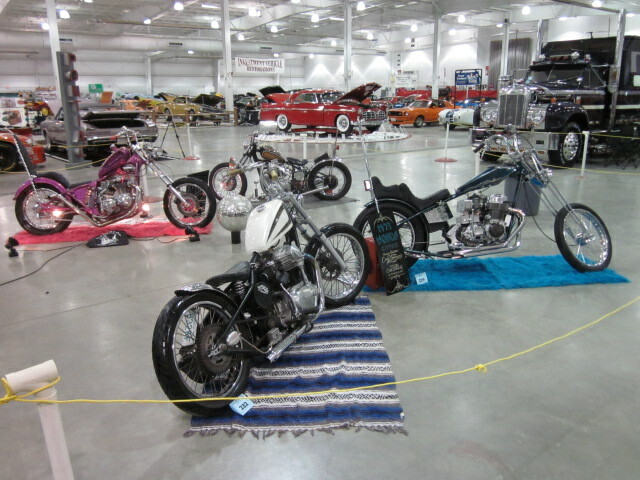 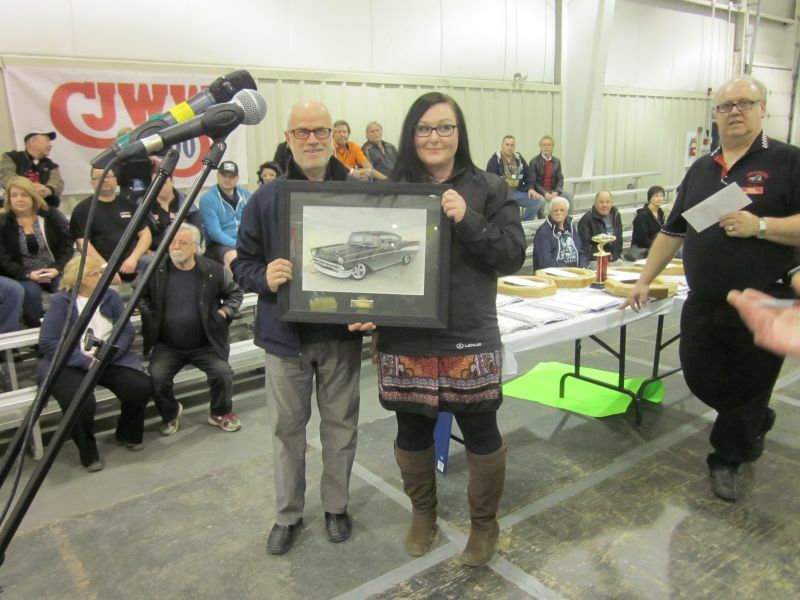 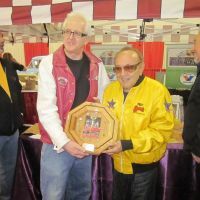 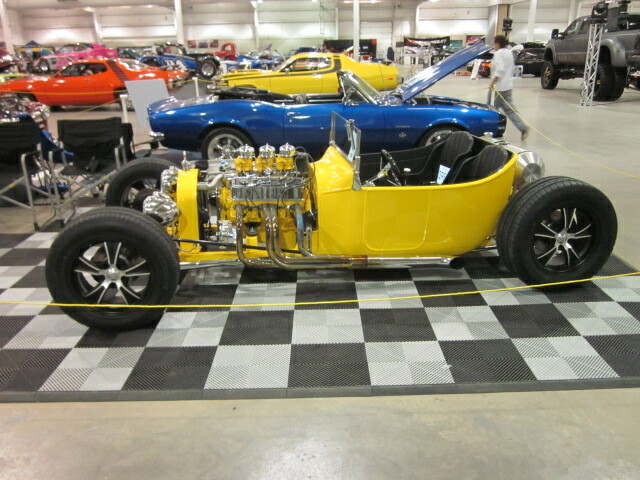 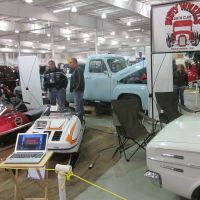 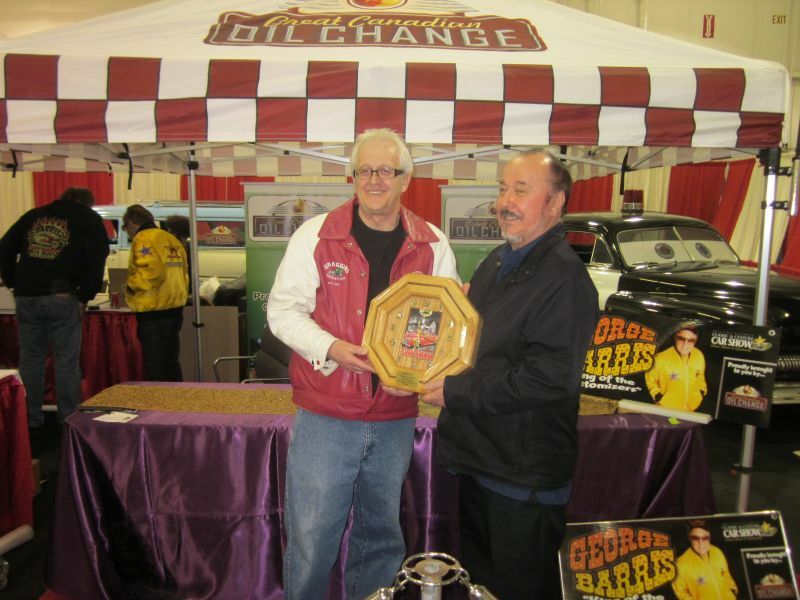 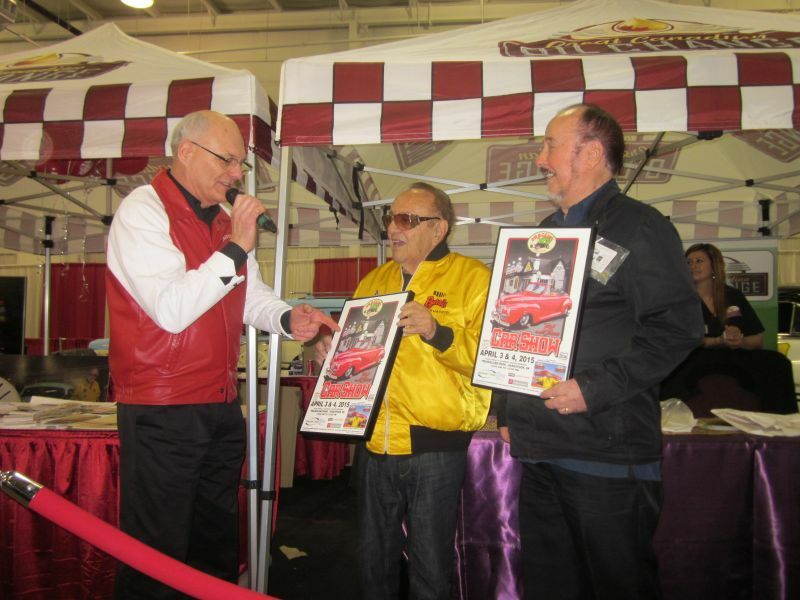 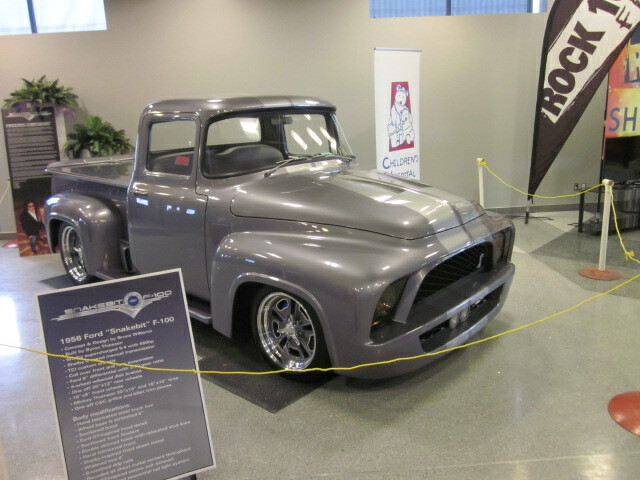 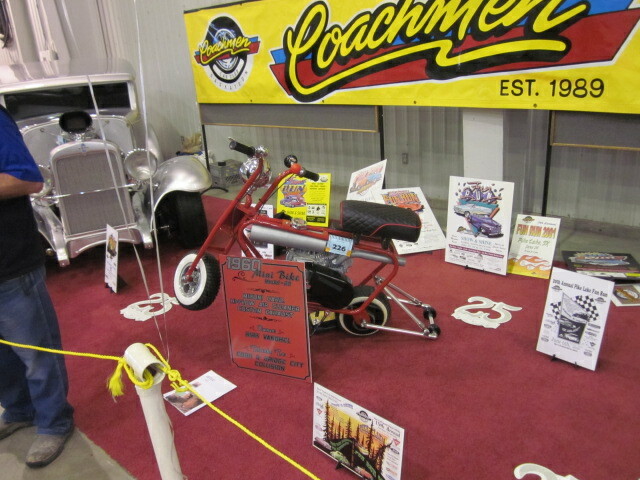 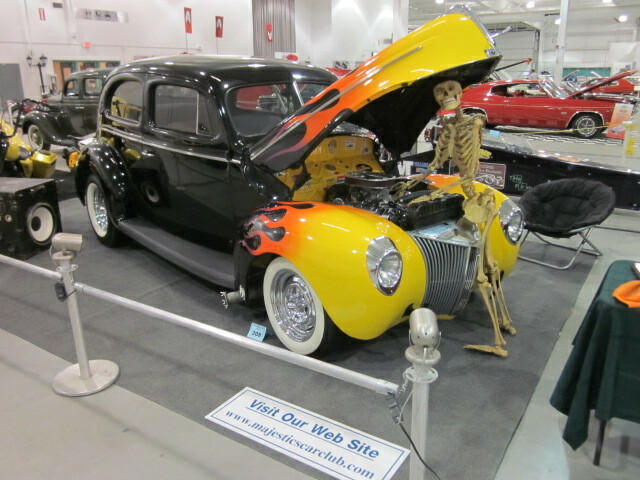 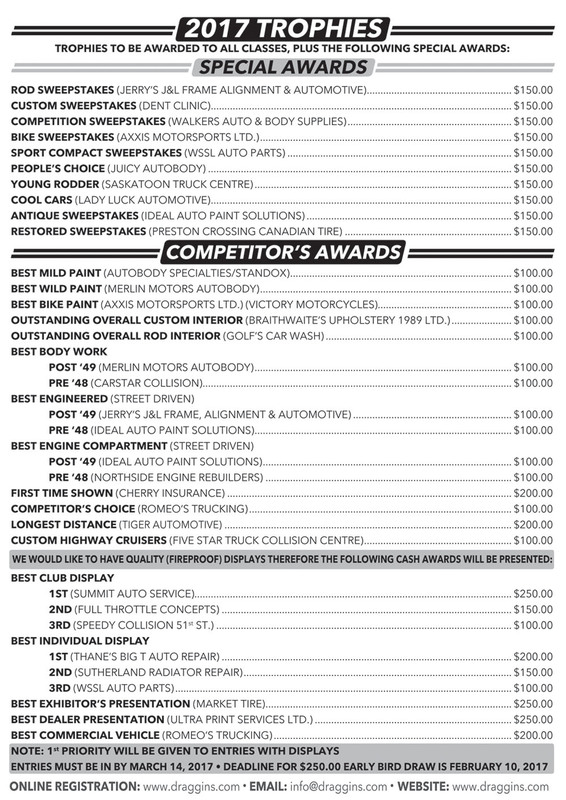 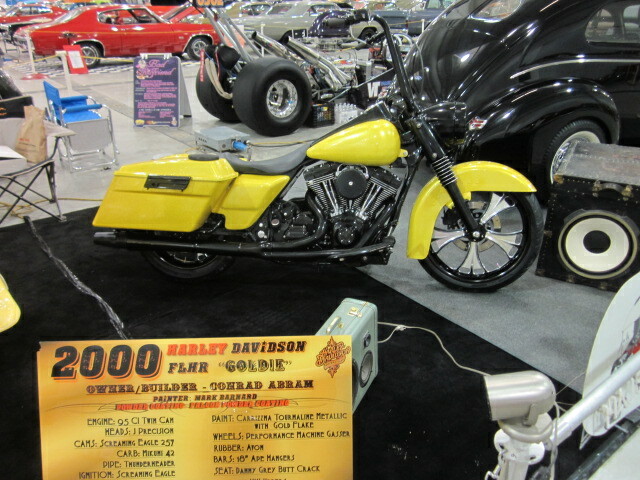 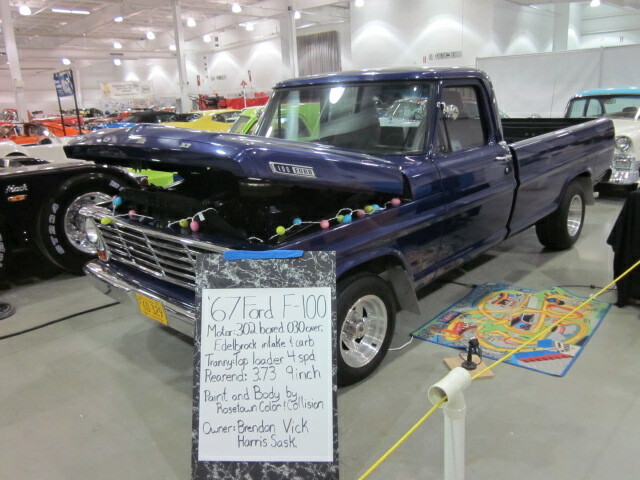 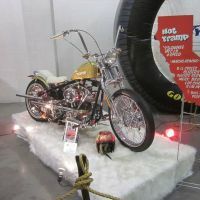 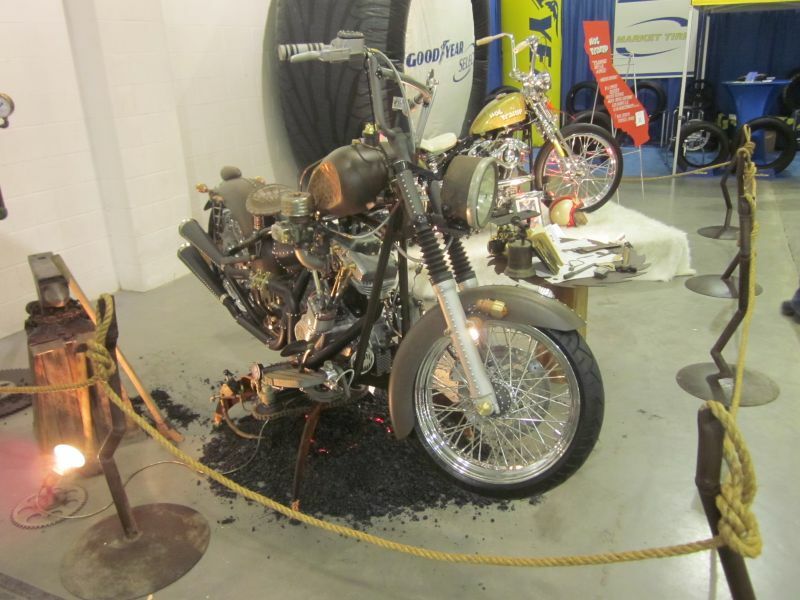 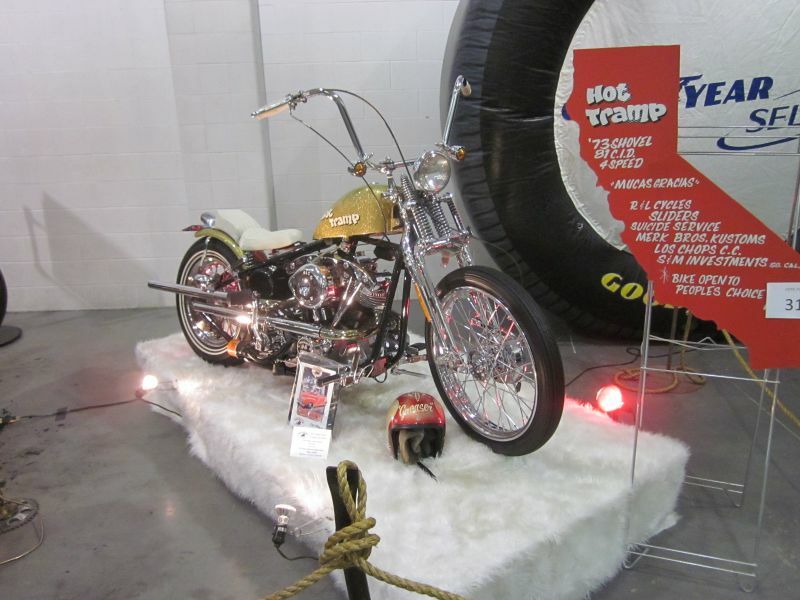 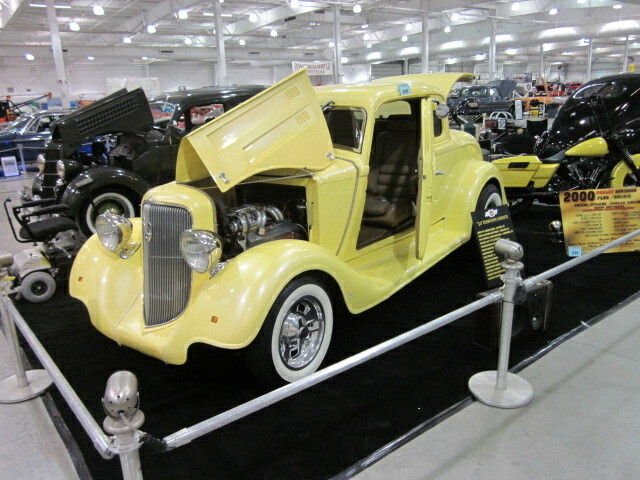 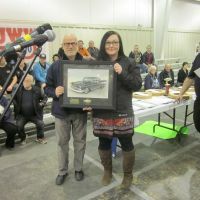 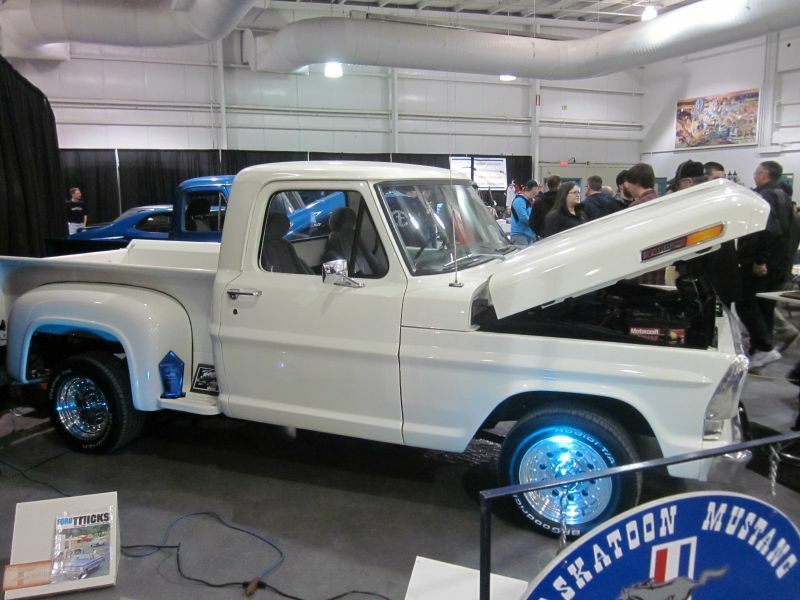 A complete list of winners from the 58th annual Draggins Rod & Custom Car Show. 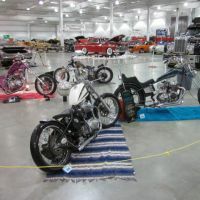 Plan your trip to the 2018 Draggins Annual Rod & Custom Car Show. 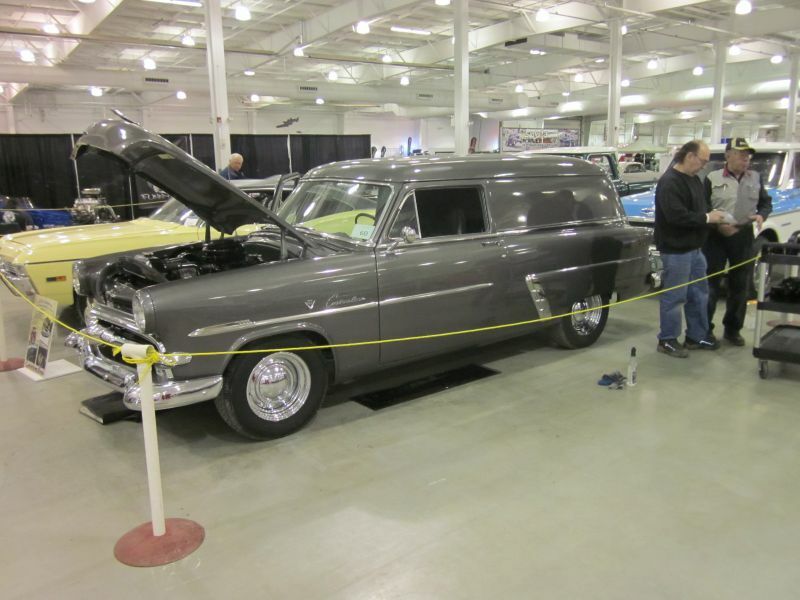 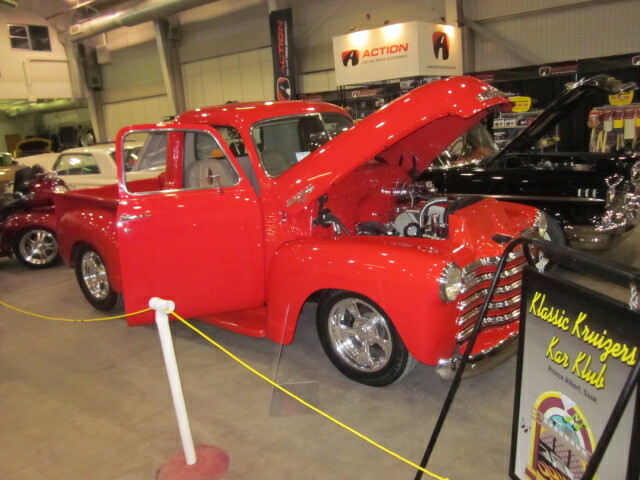 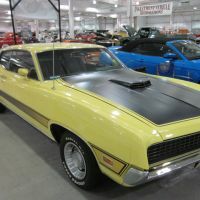 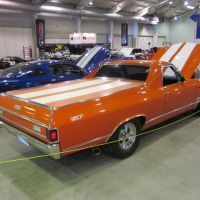 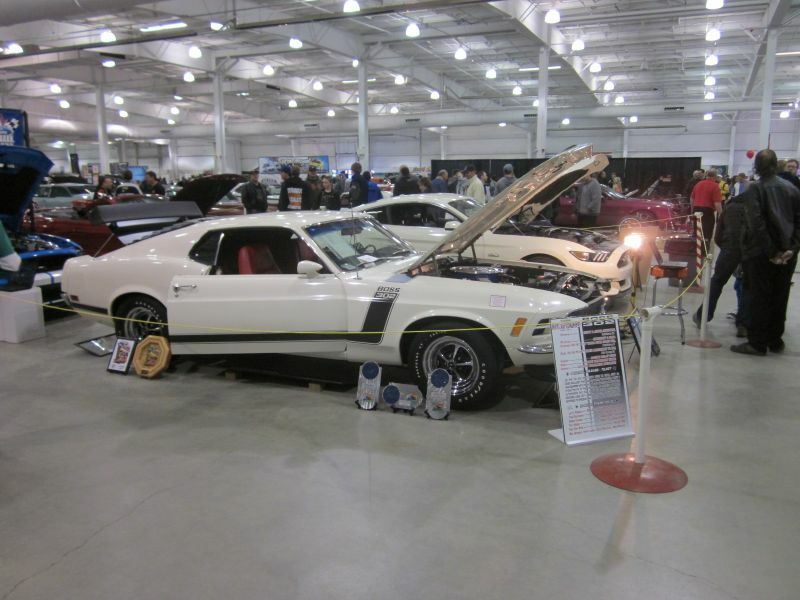 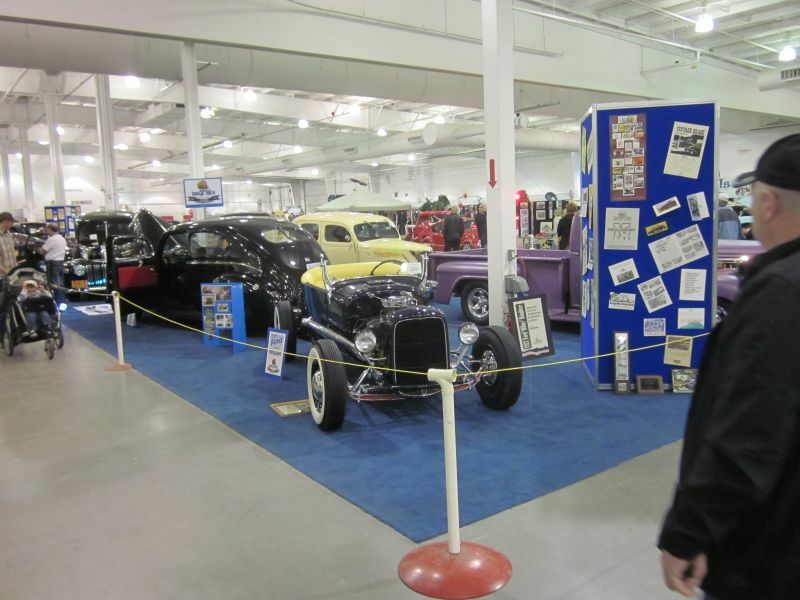 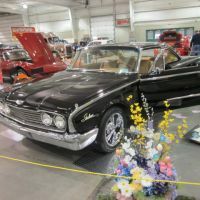 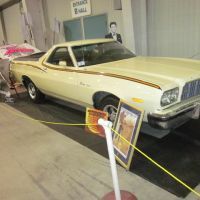 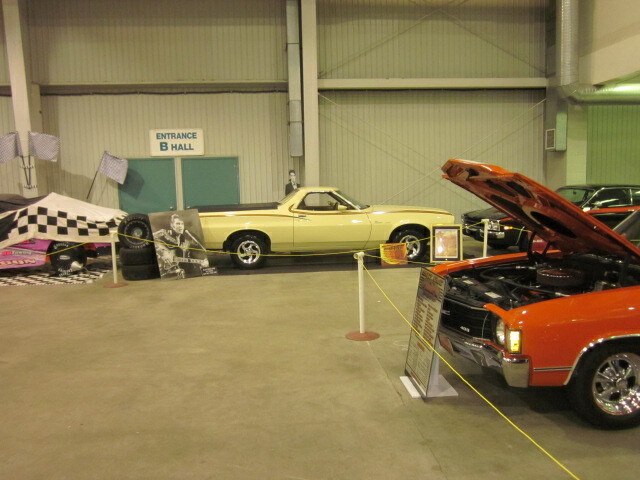 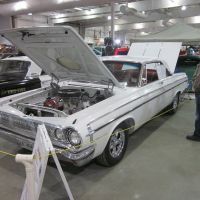 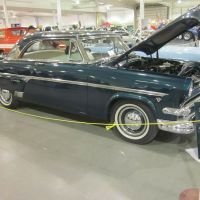 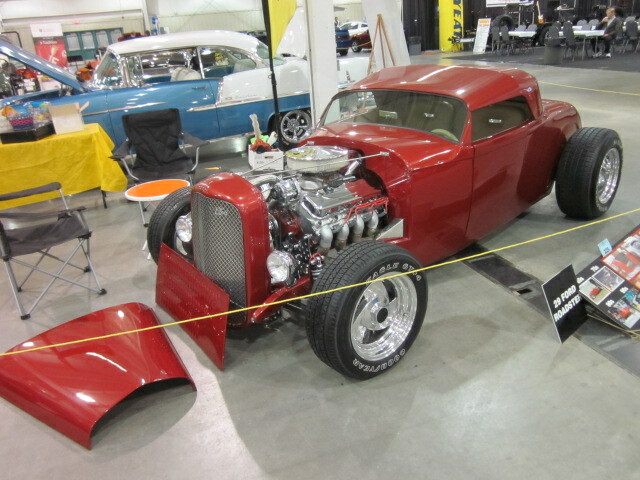 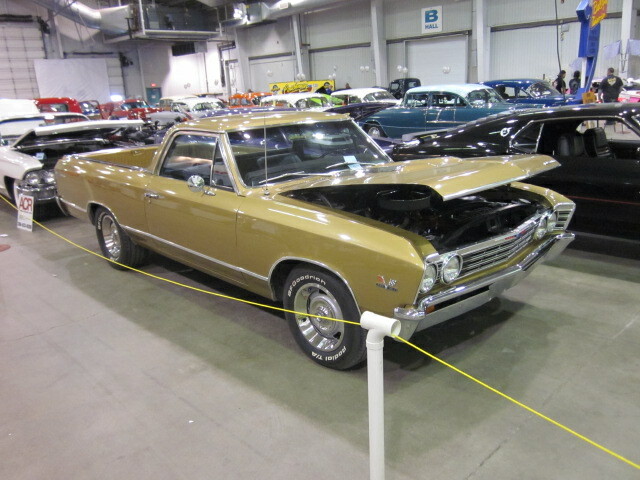 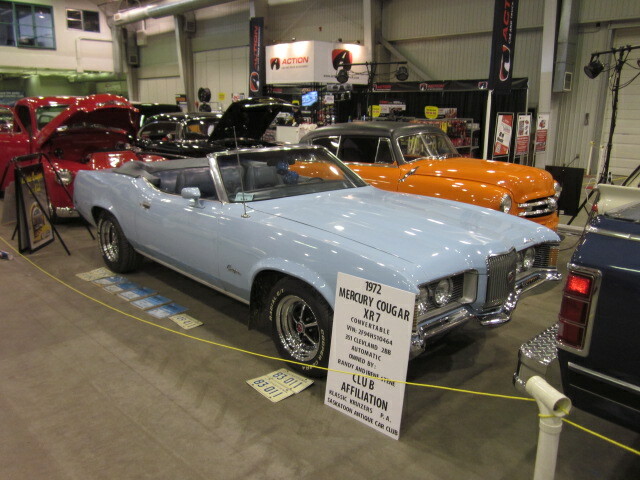 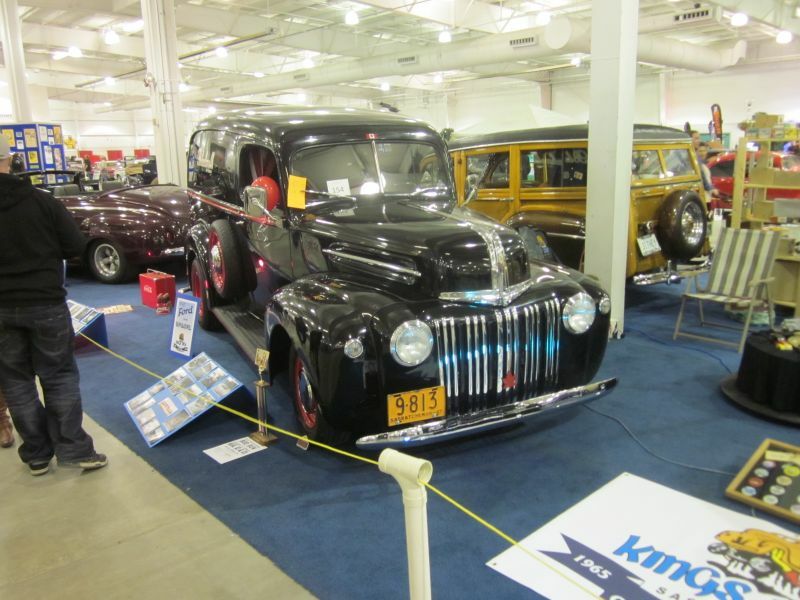 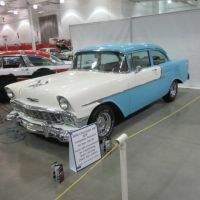 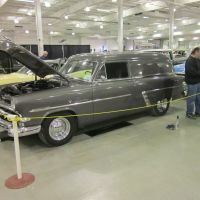 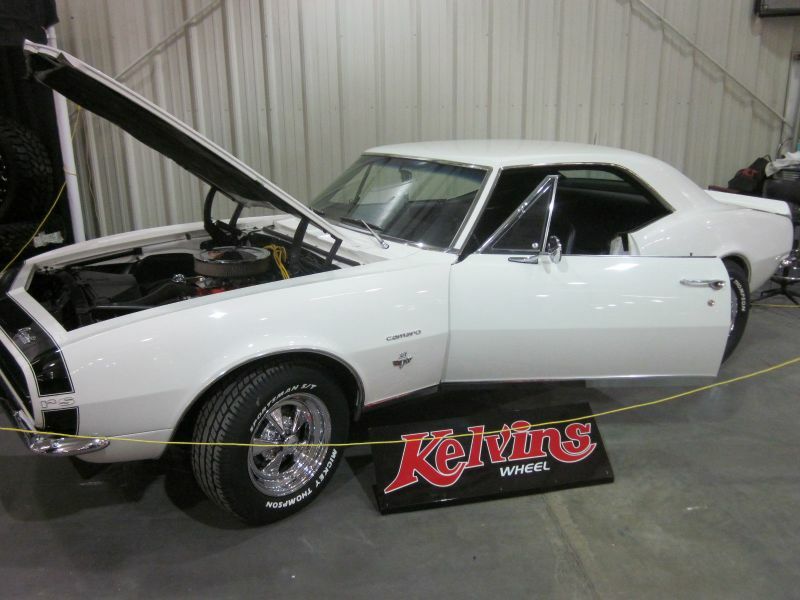 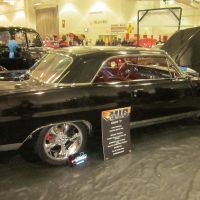 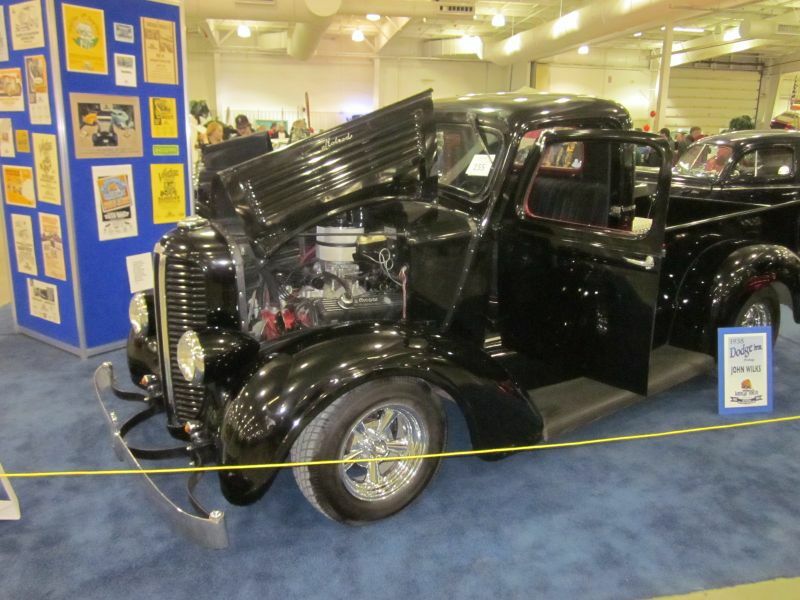 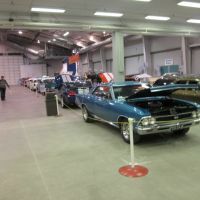 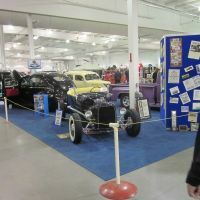 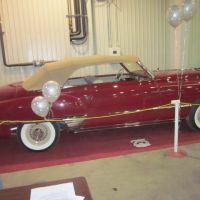 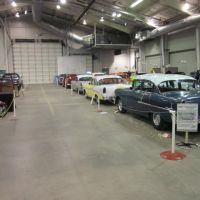 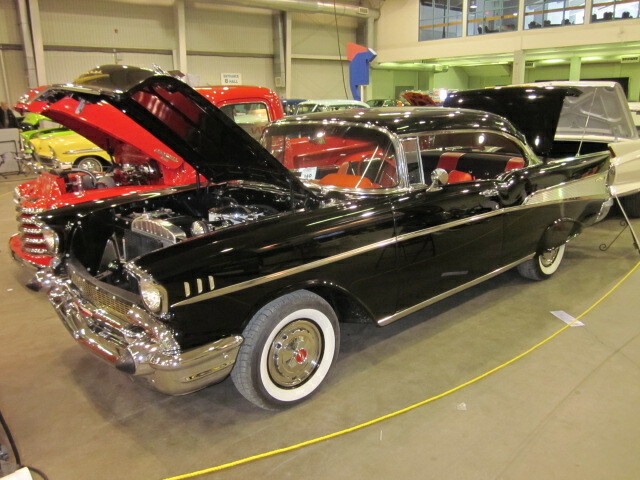 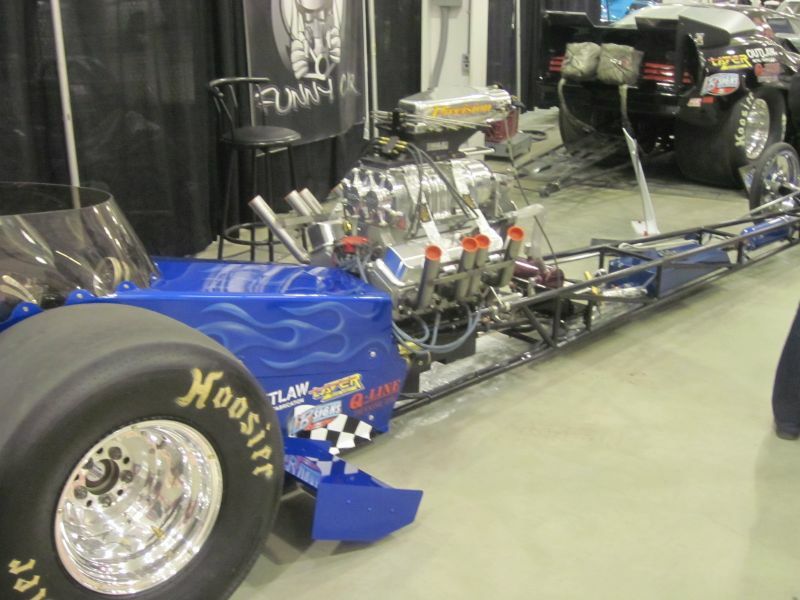 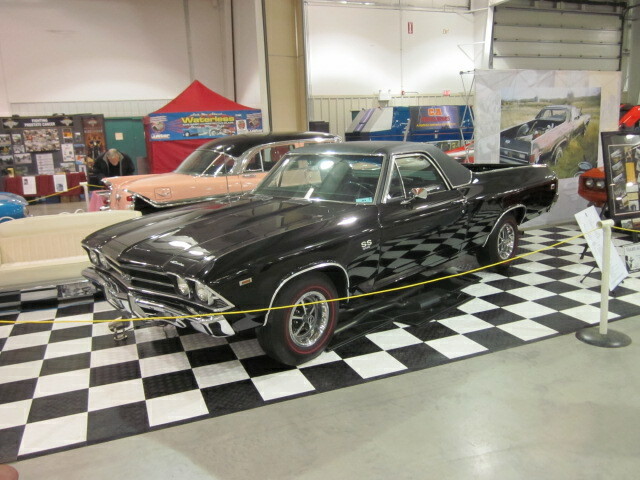 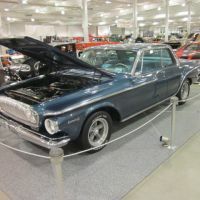 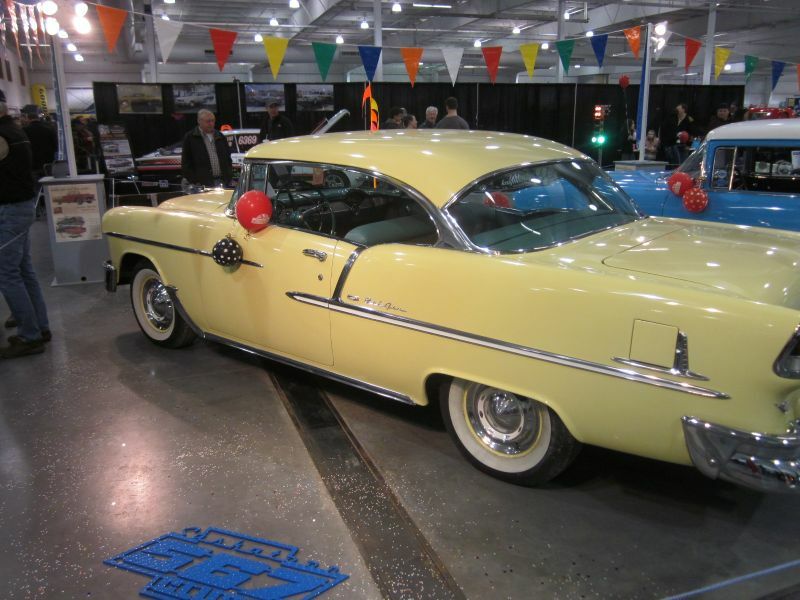 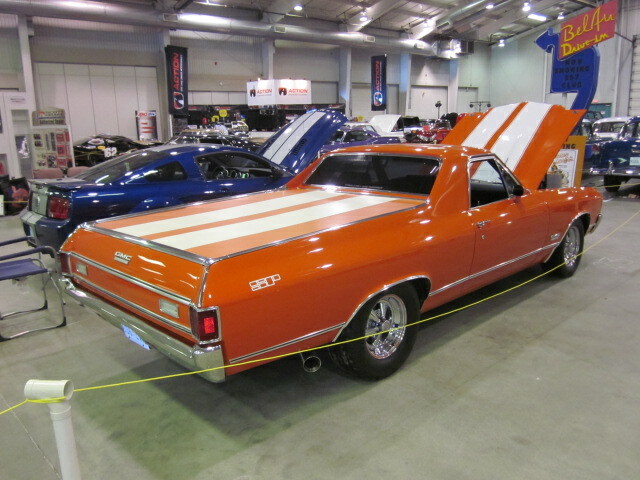 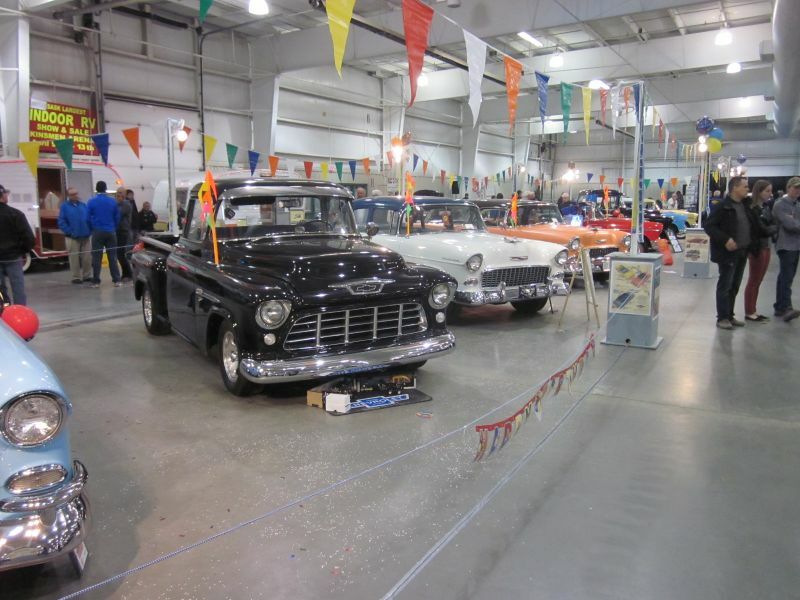 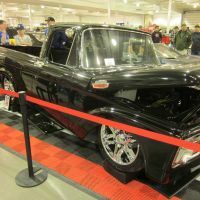 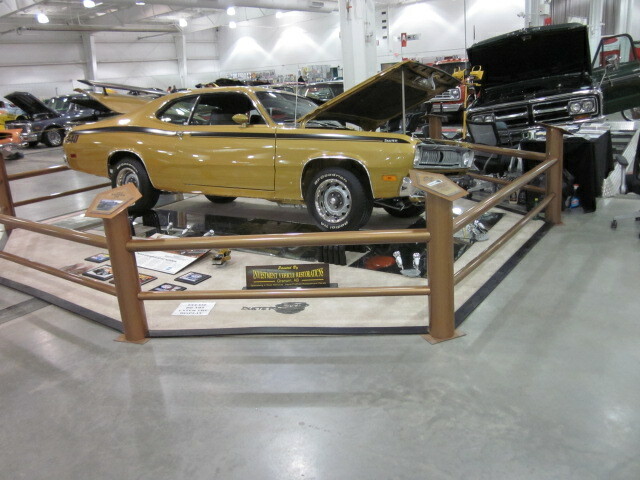 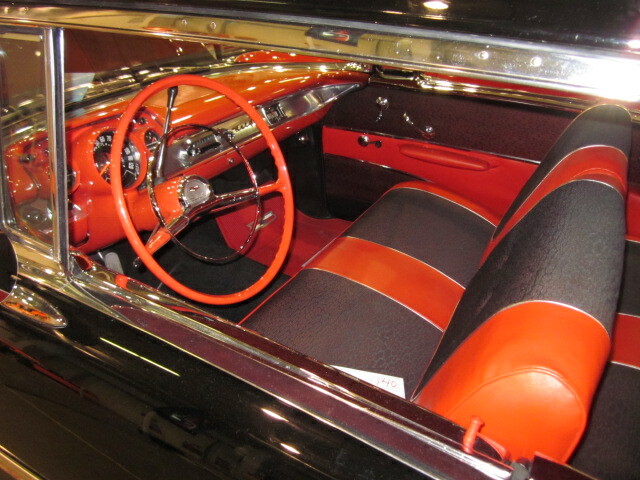 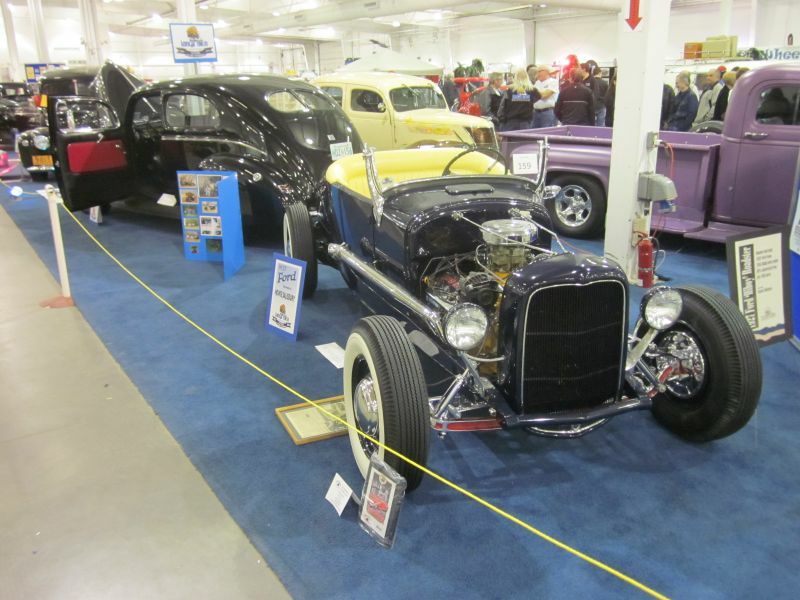 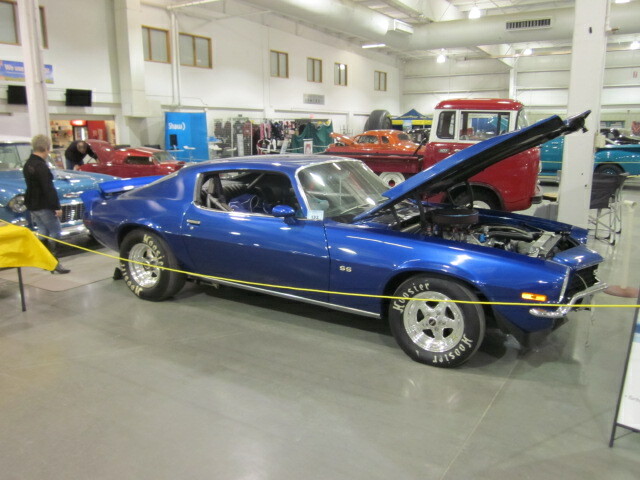 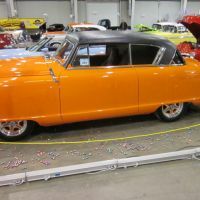 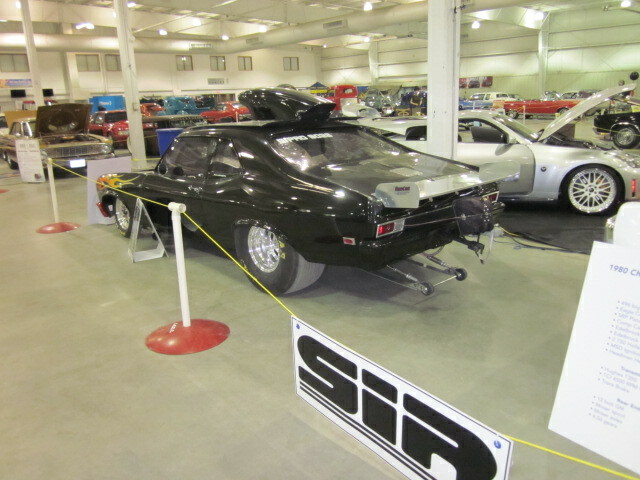 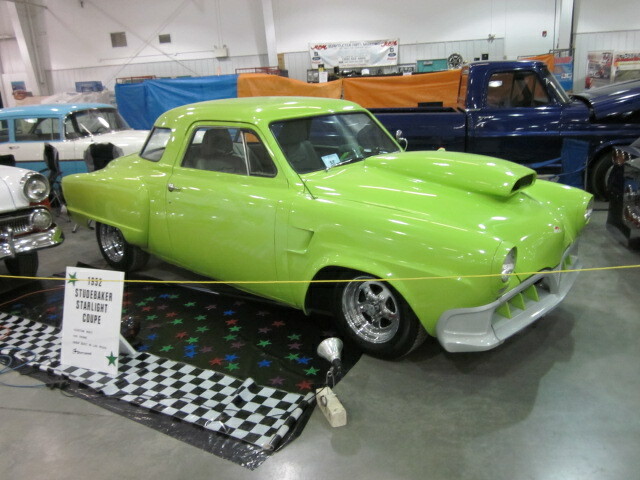 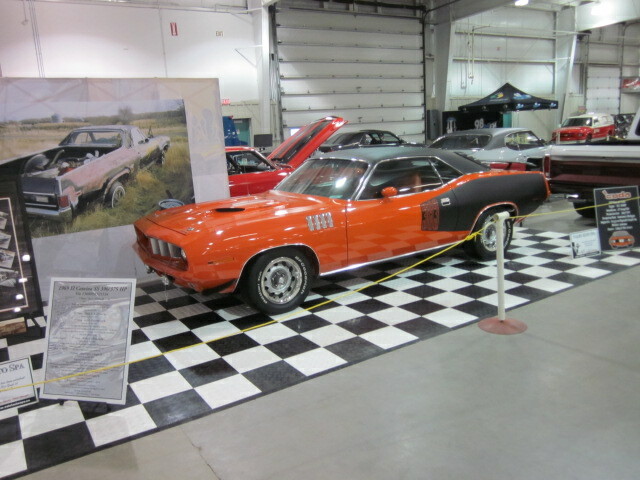 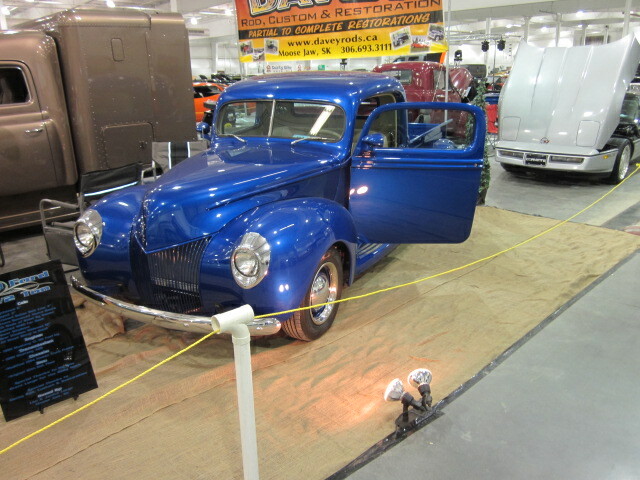 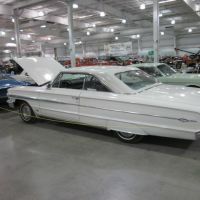 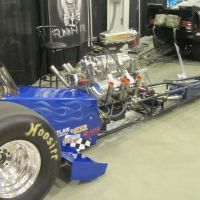 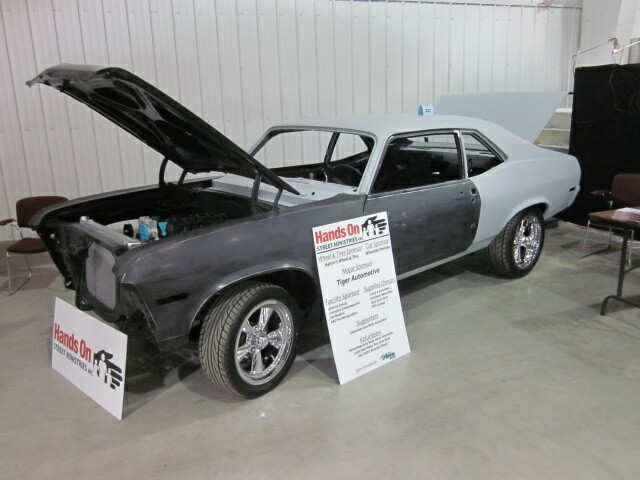 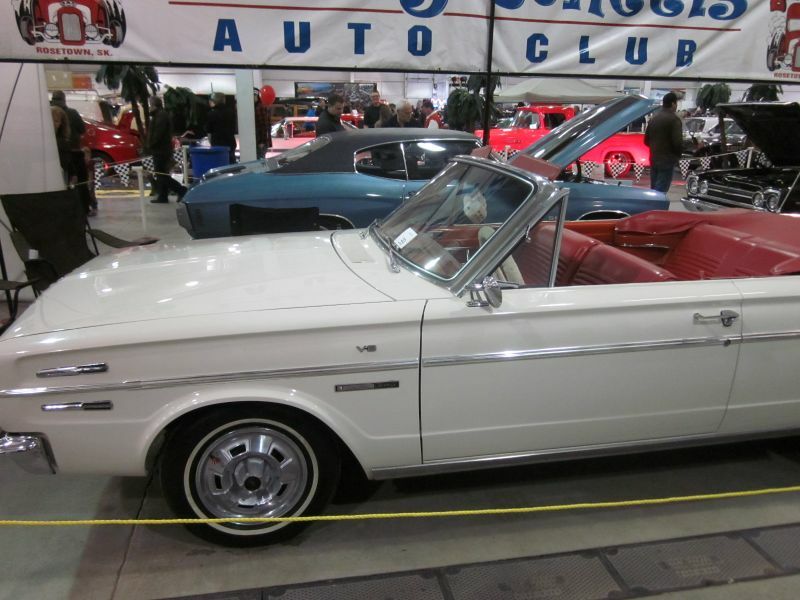 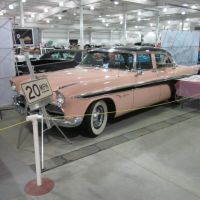 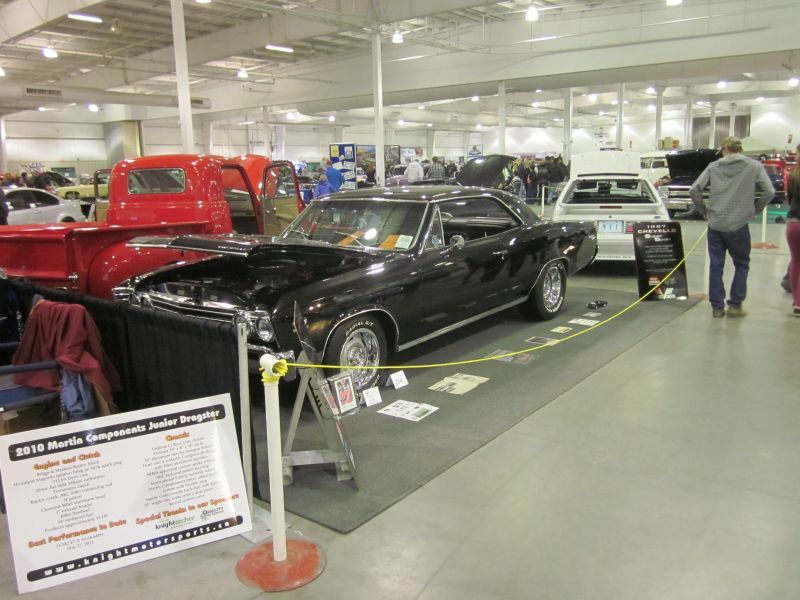 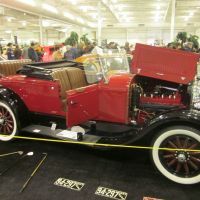 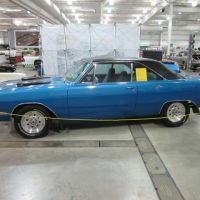 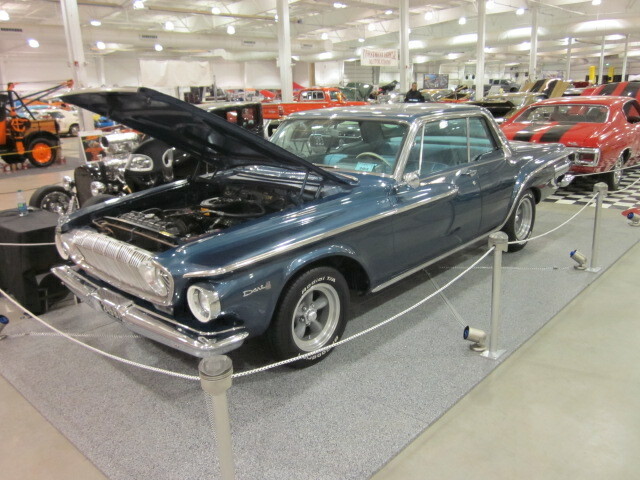 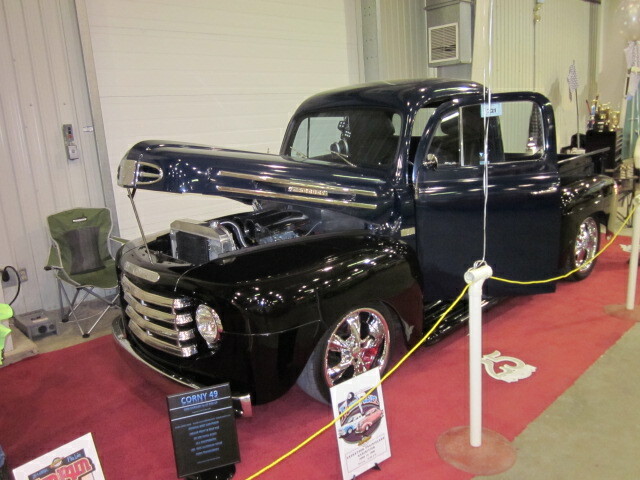 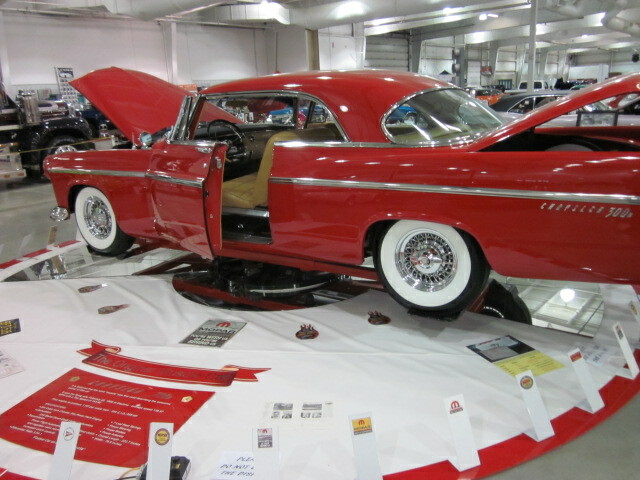 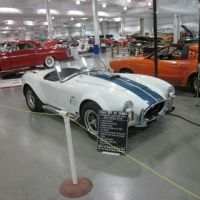 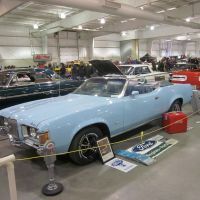 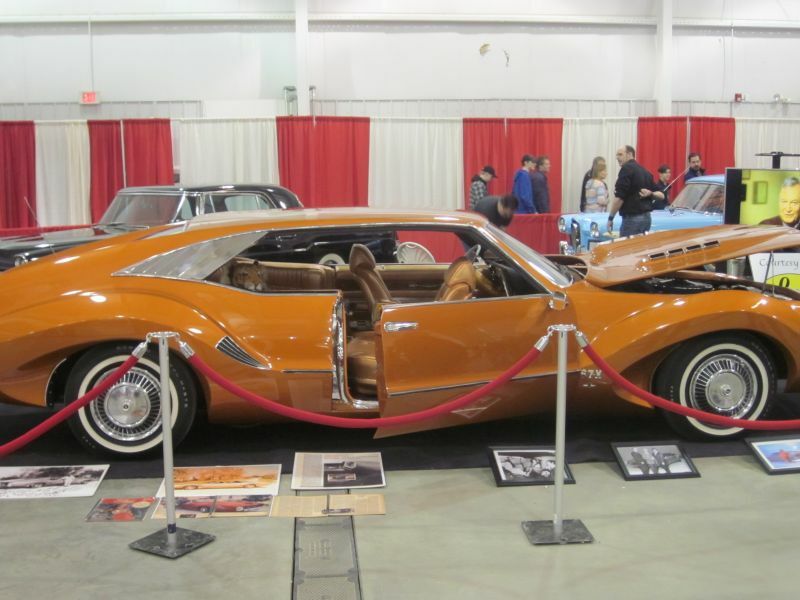 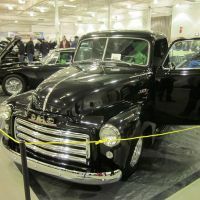 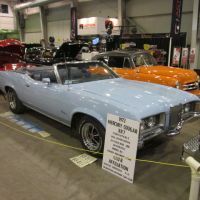 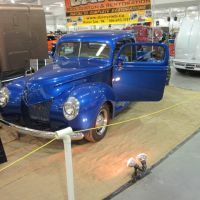 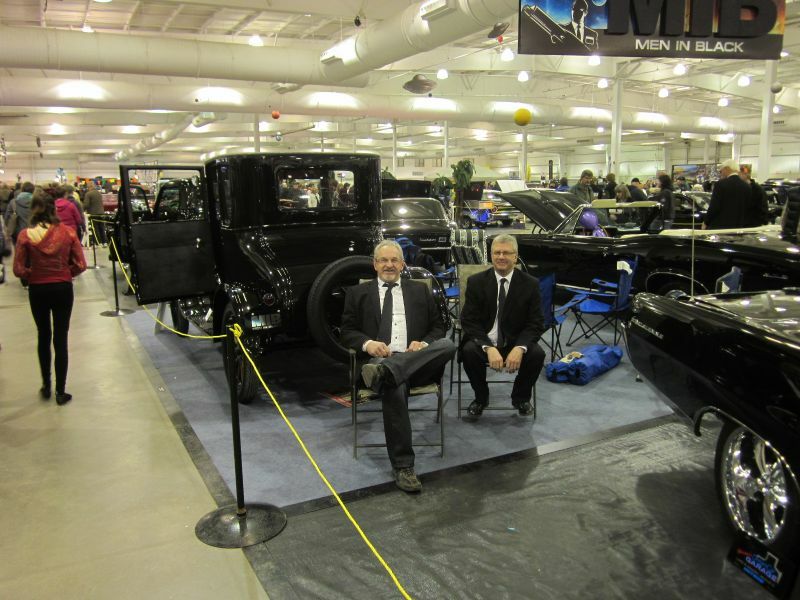 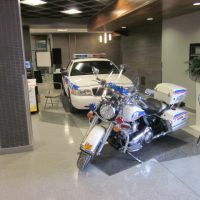 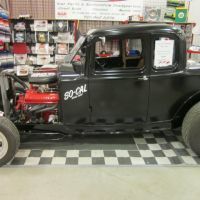 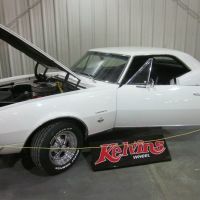 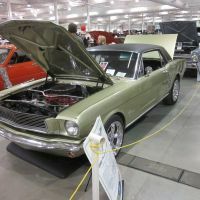 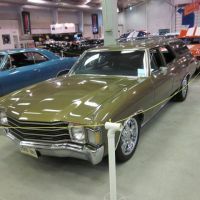 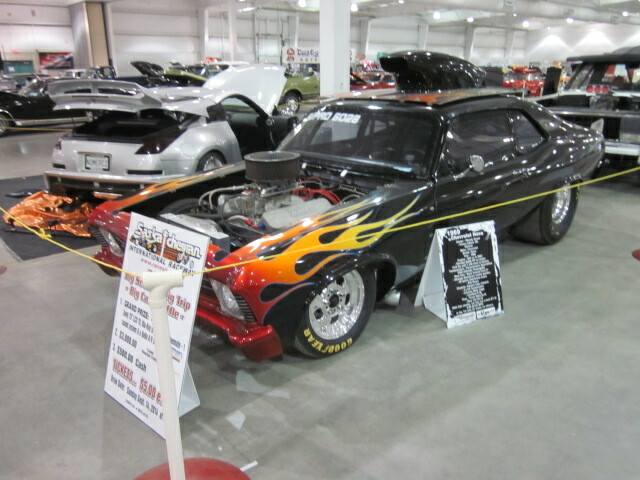 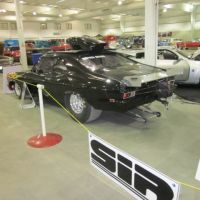 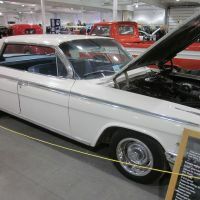 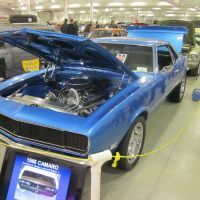 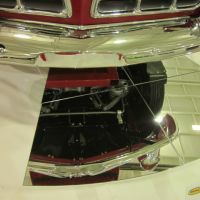 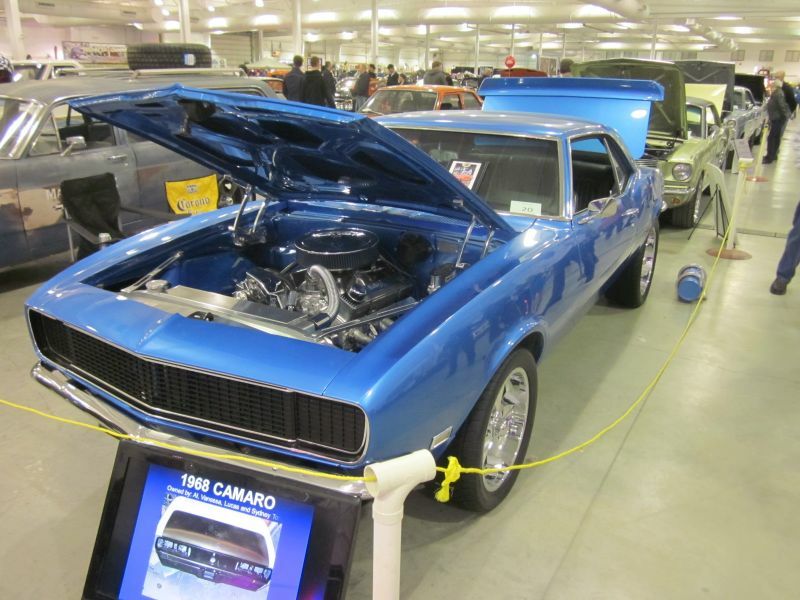 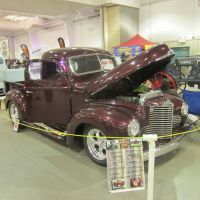 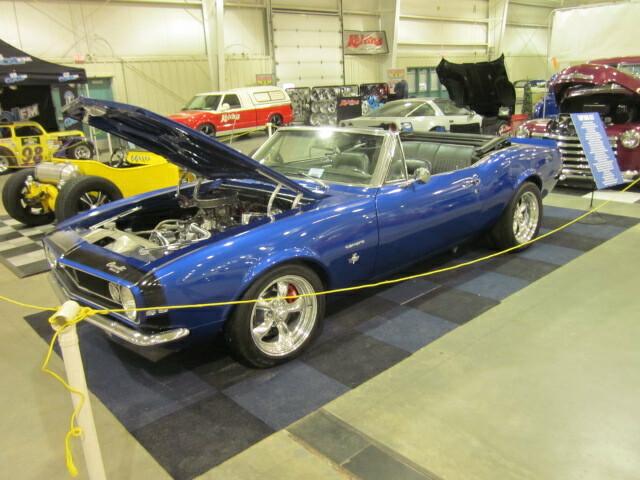 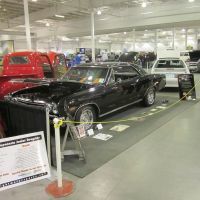 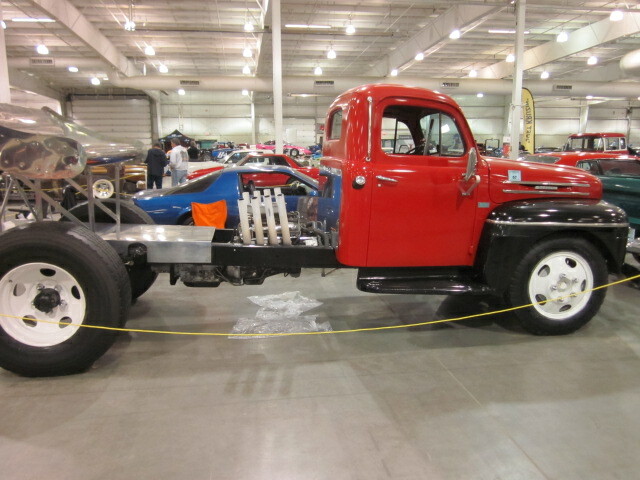 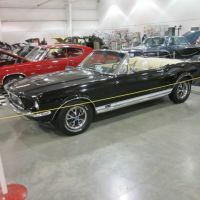 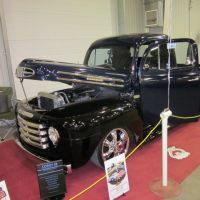 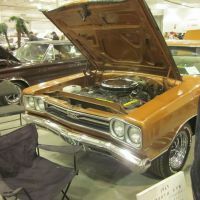 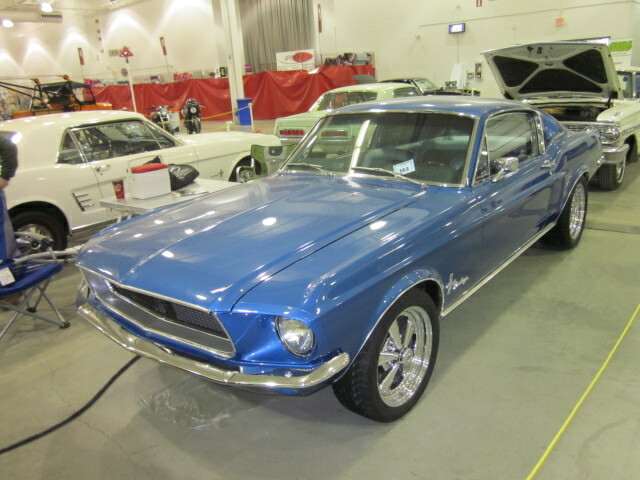 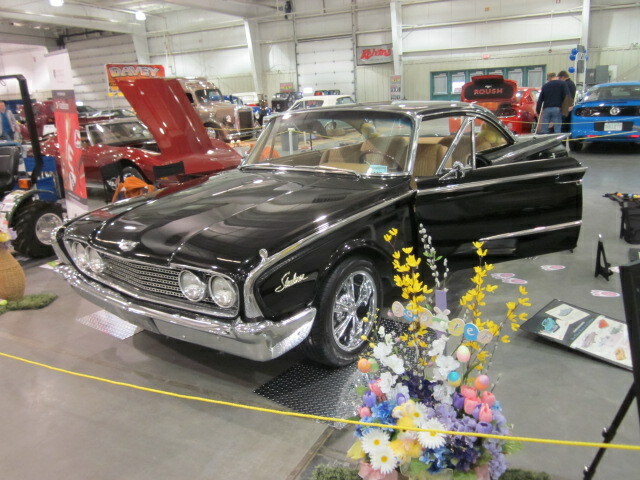 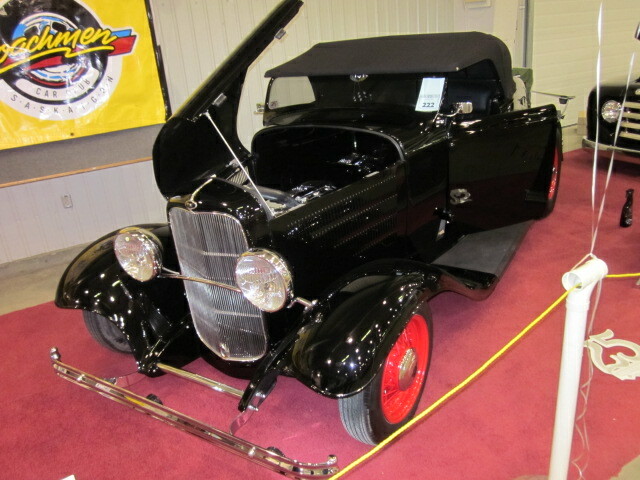 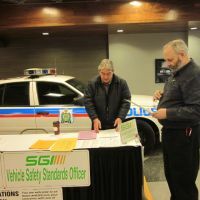 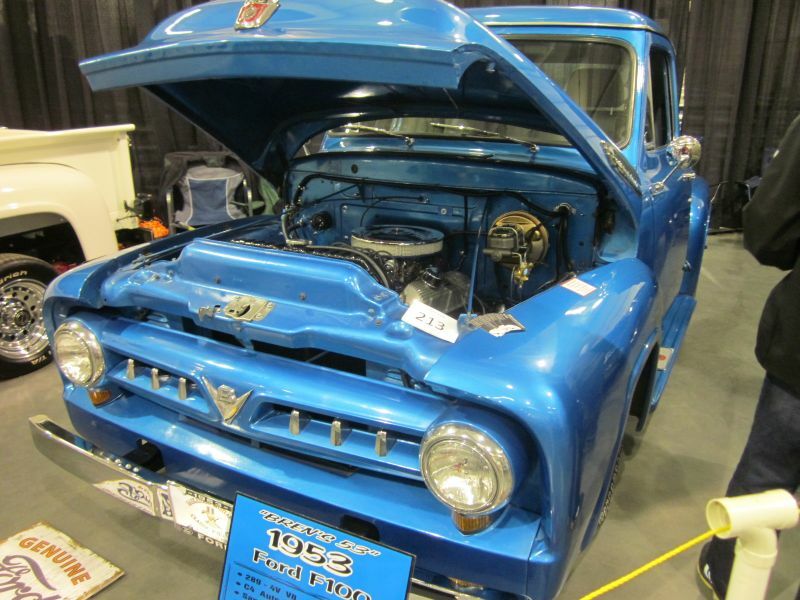 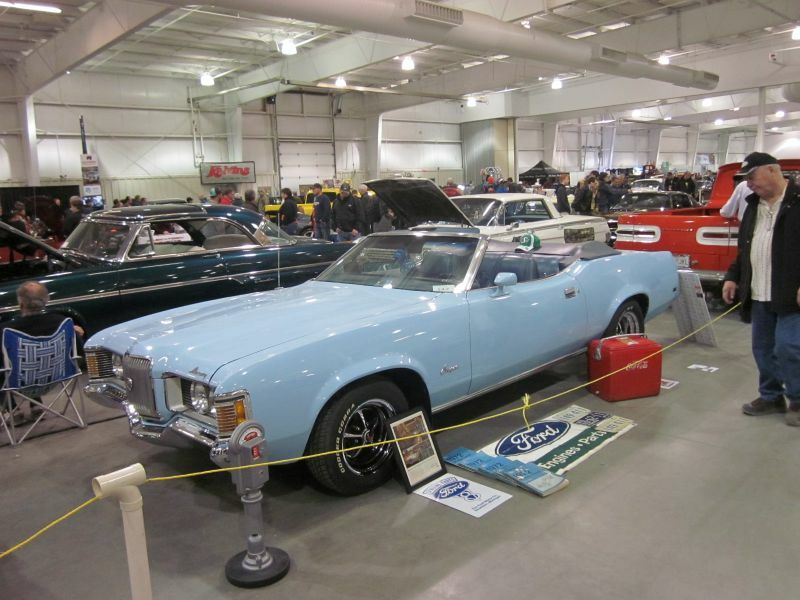 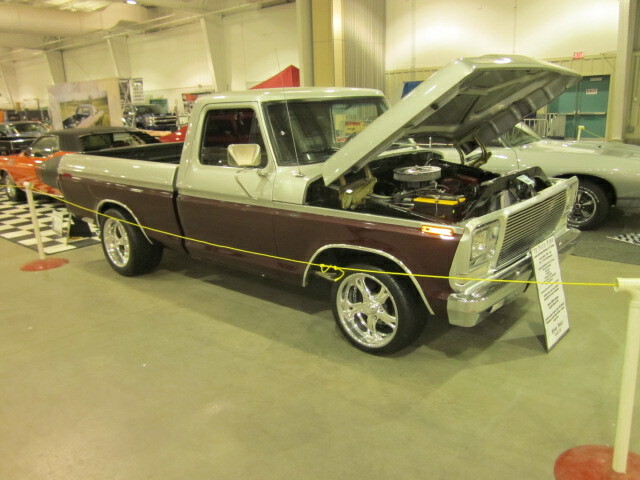 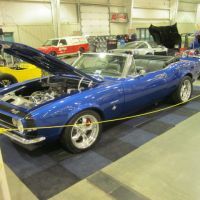 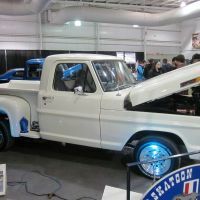 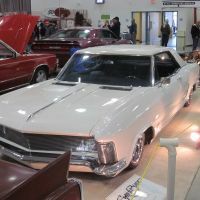 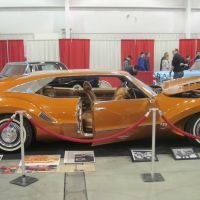 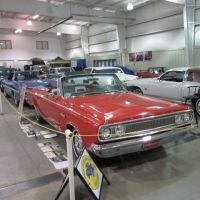 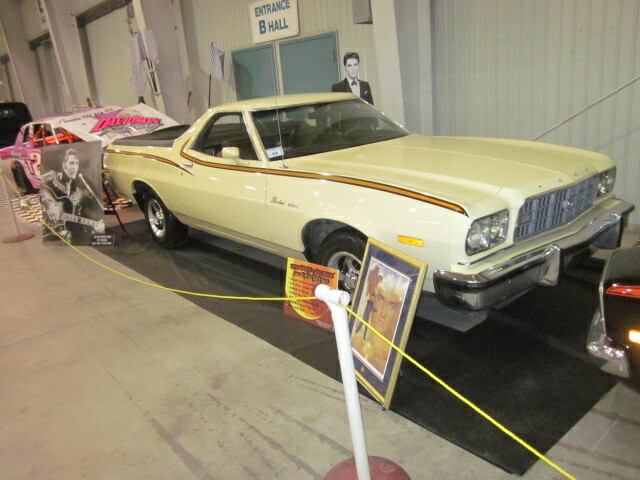 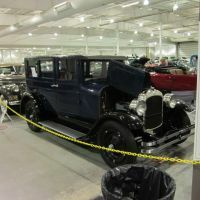 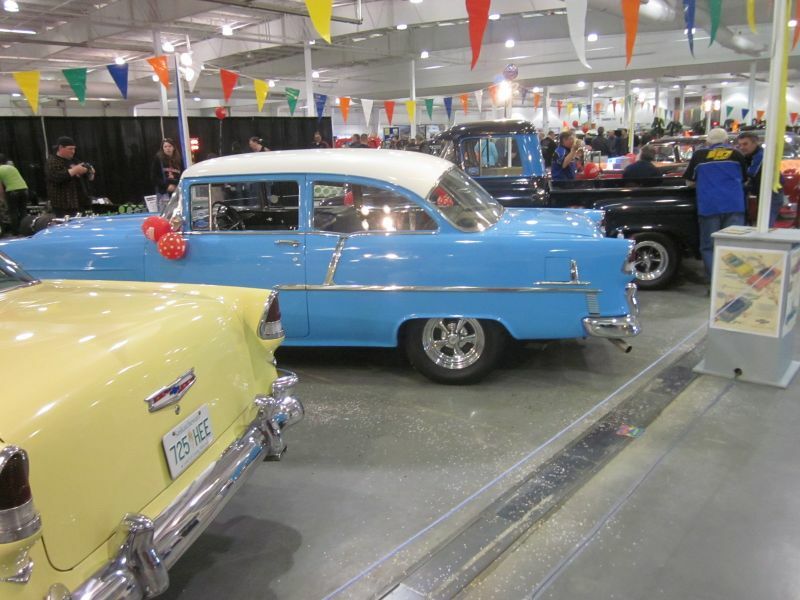 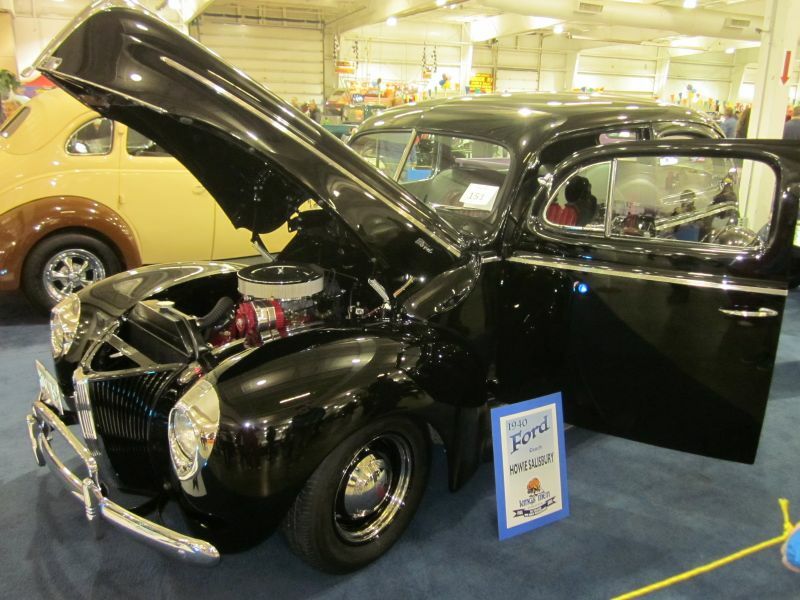 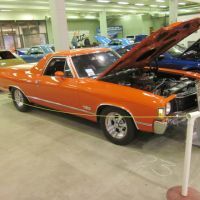 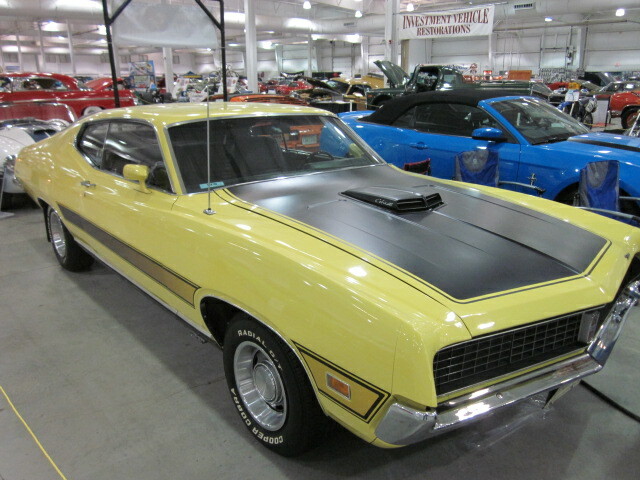 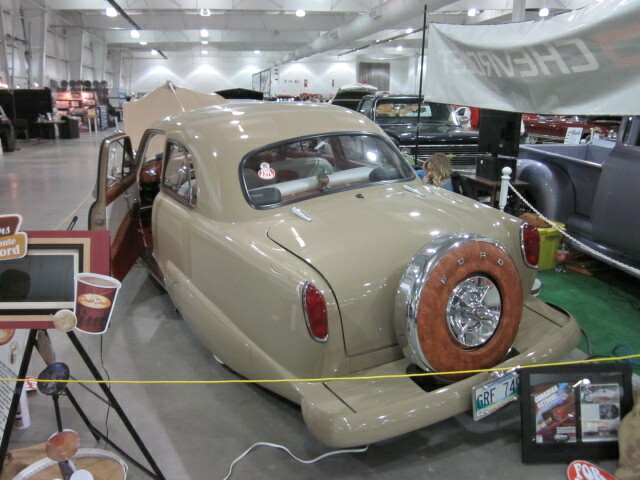 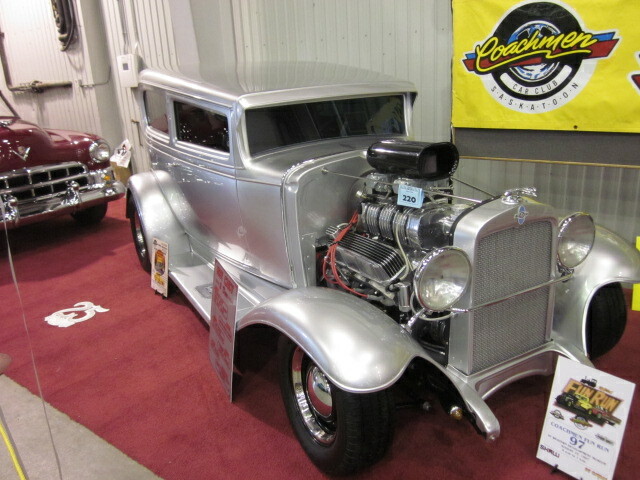 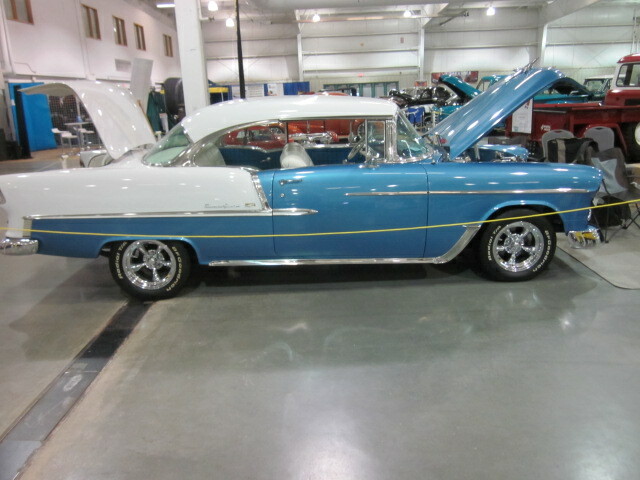 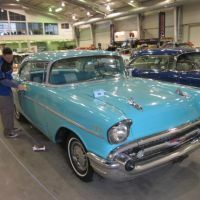 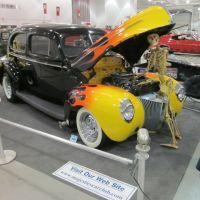 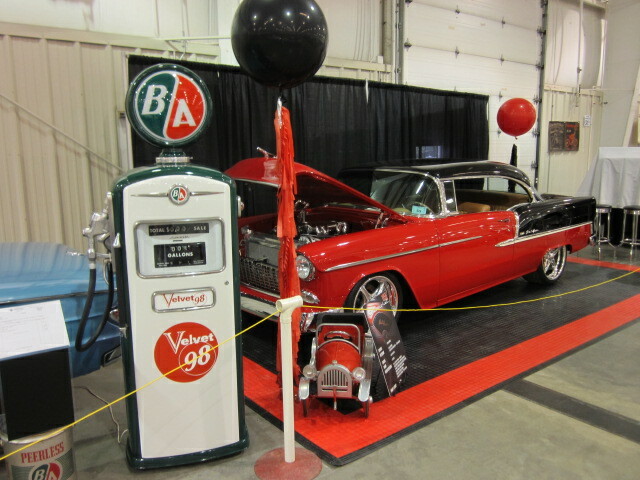 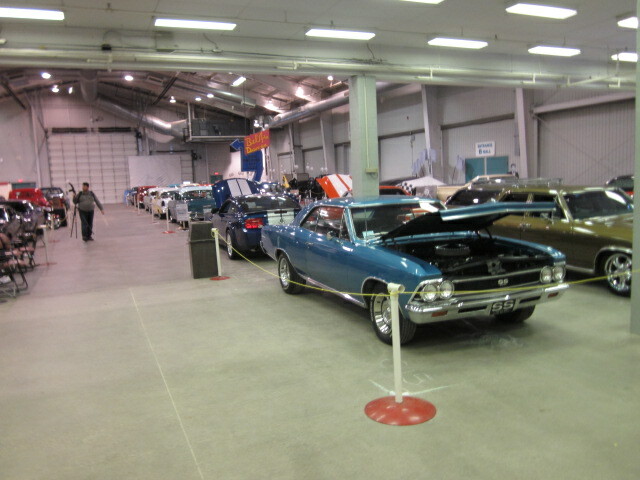 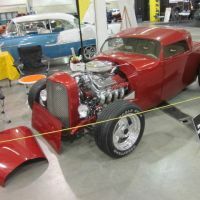 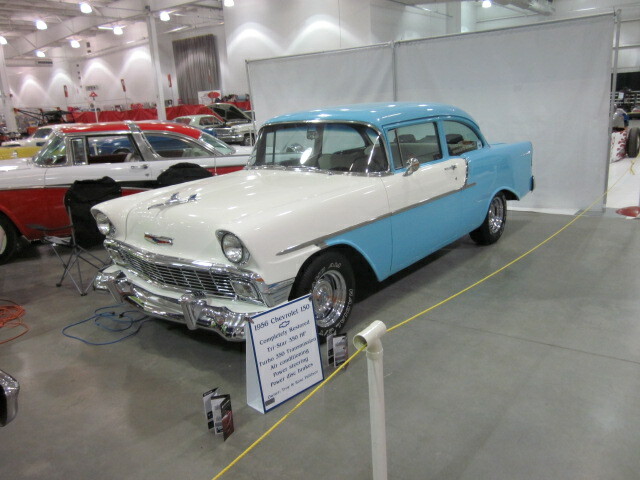 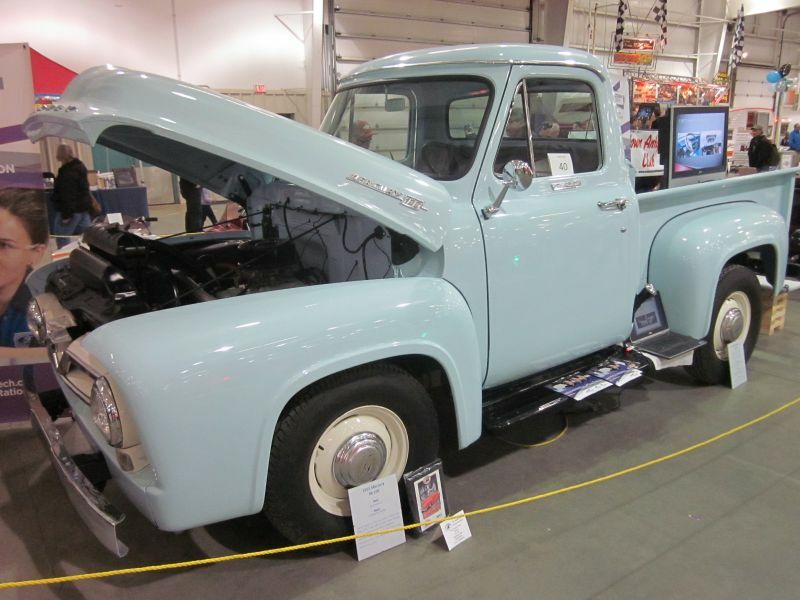 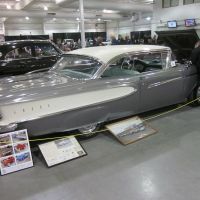 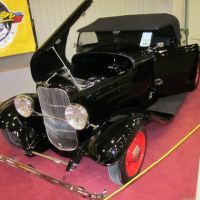 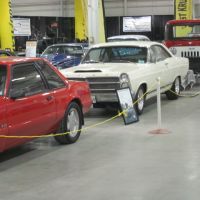 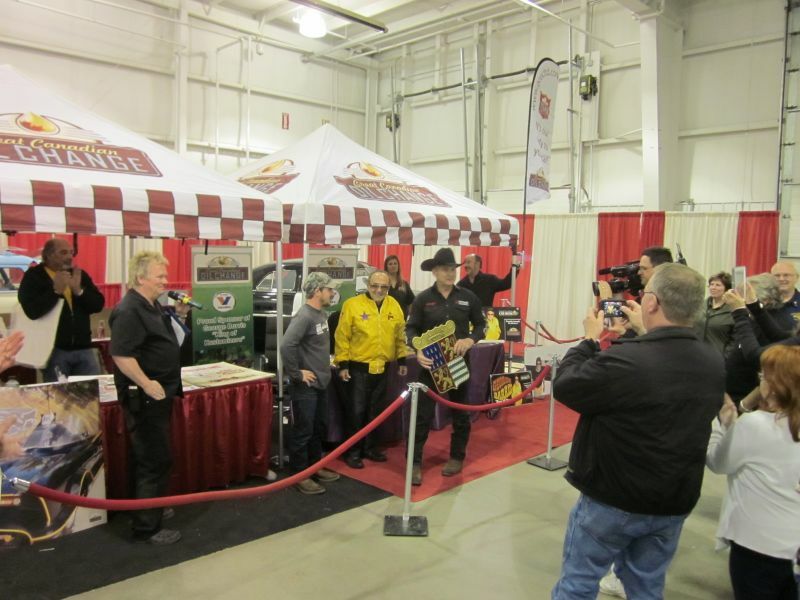 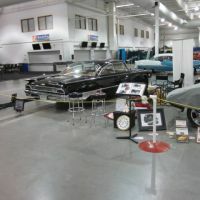 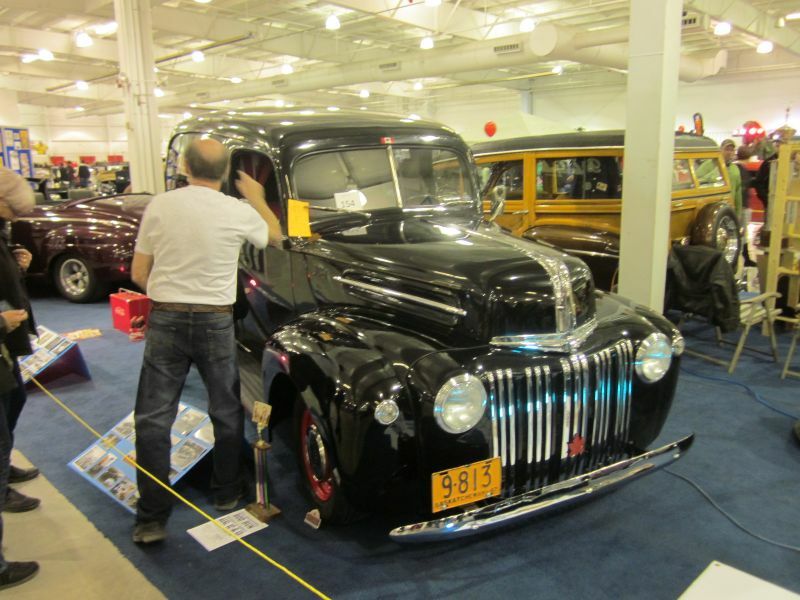 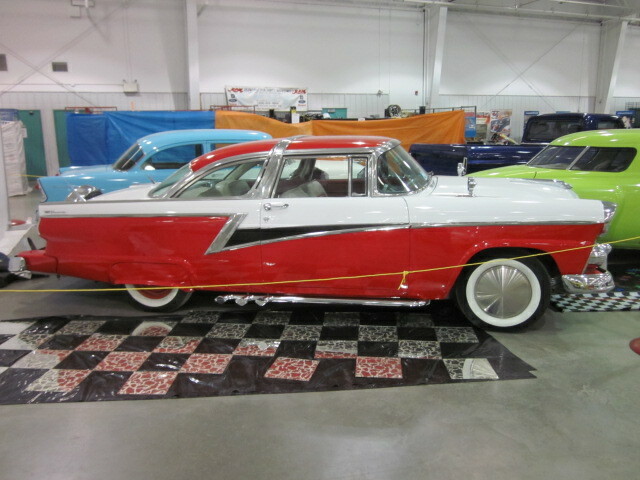 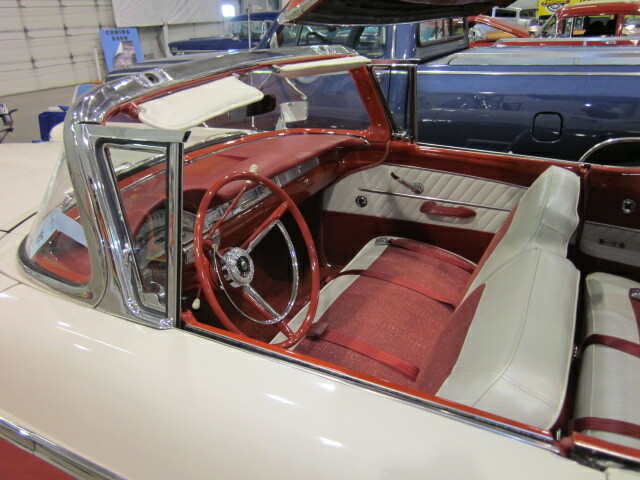 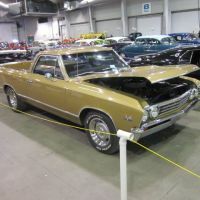 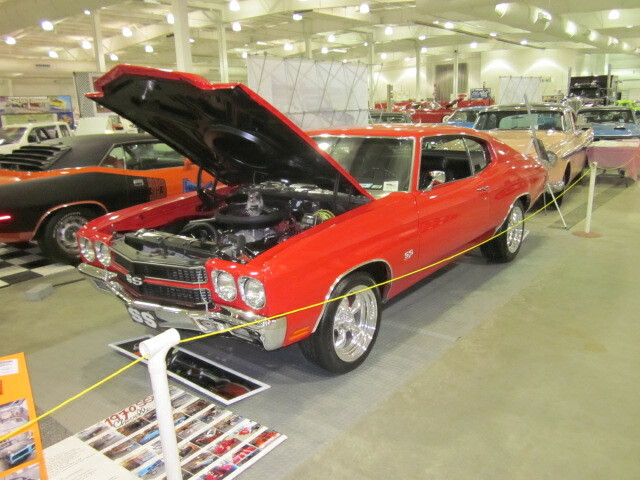 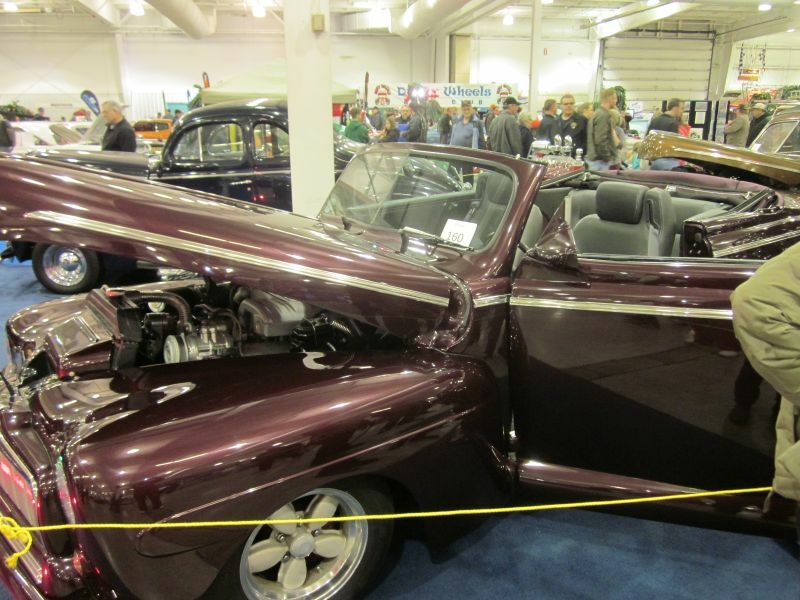 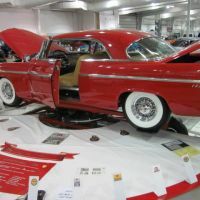 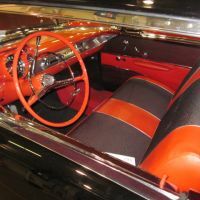 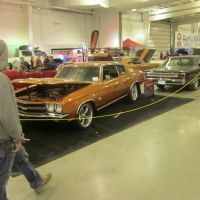 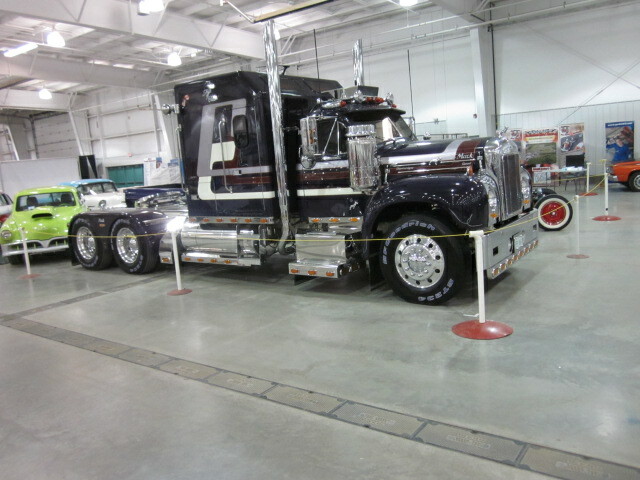 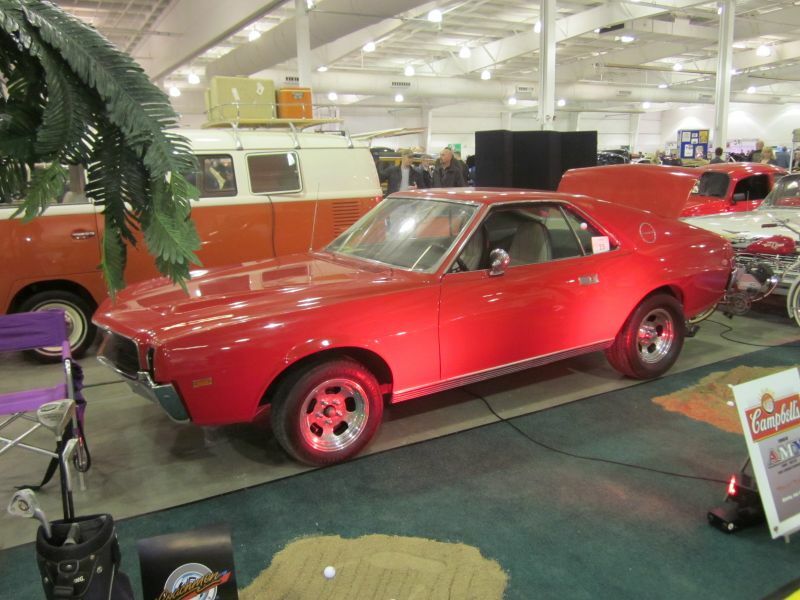 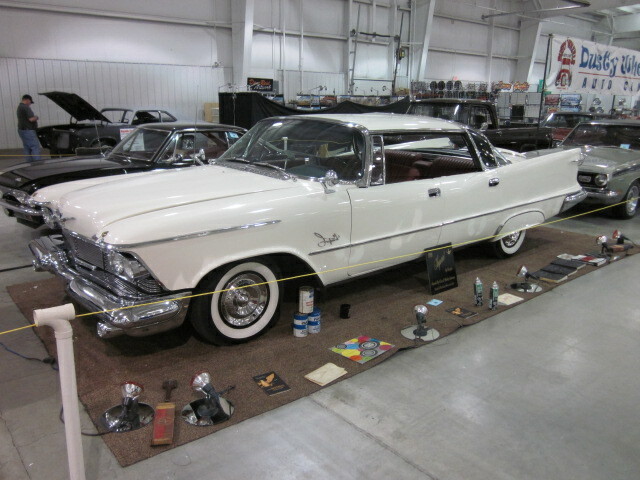 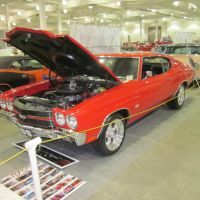 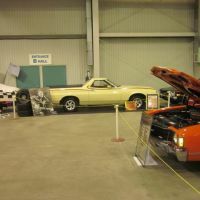 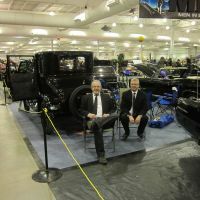 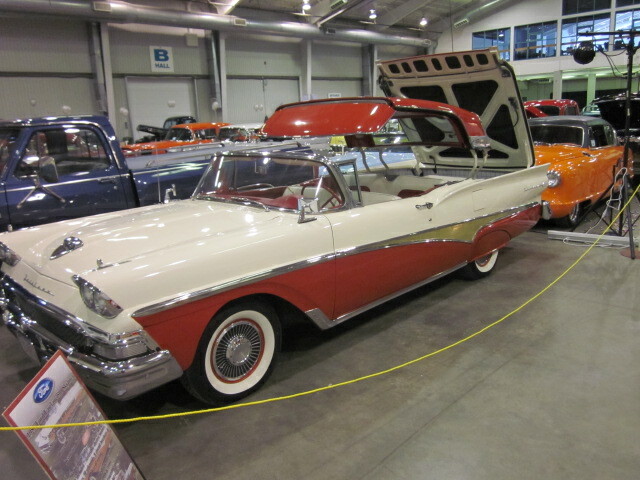 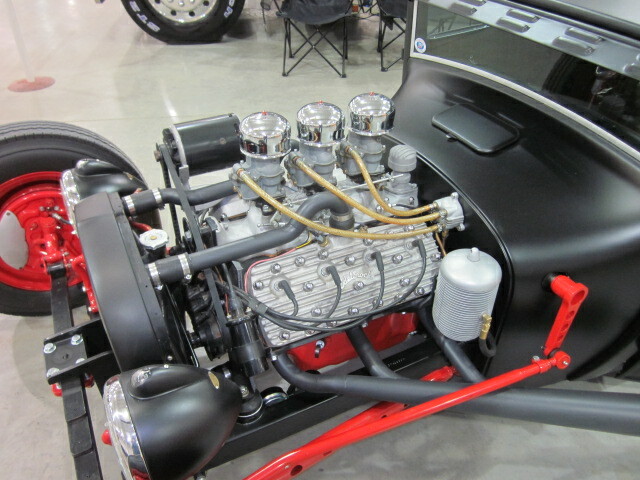 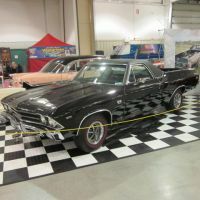 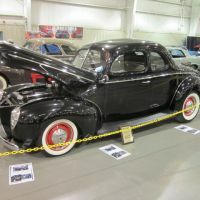 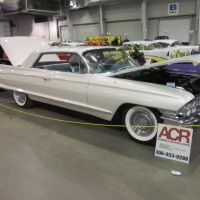 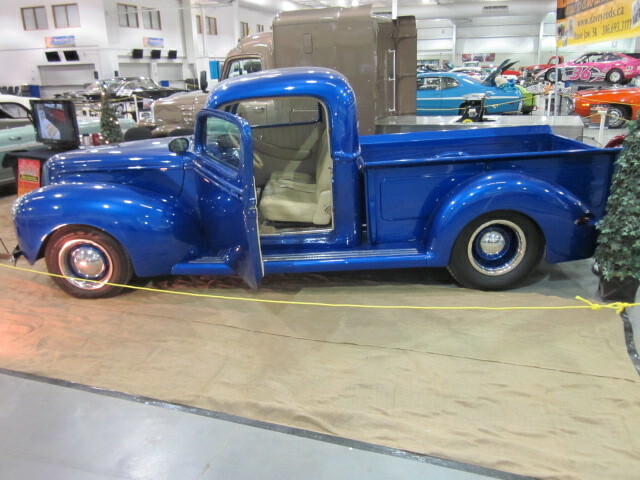 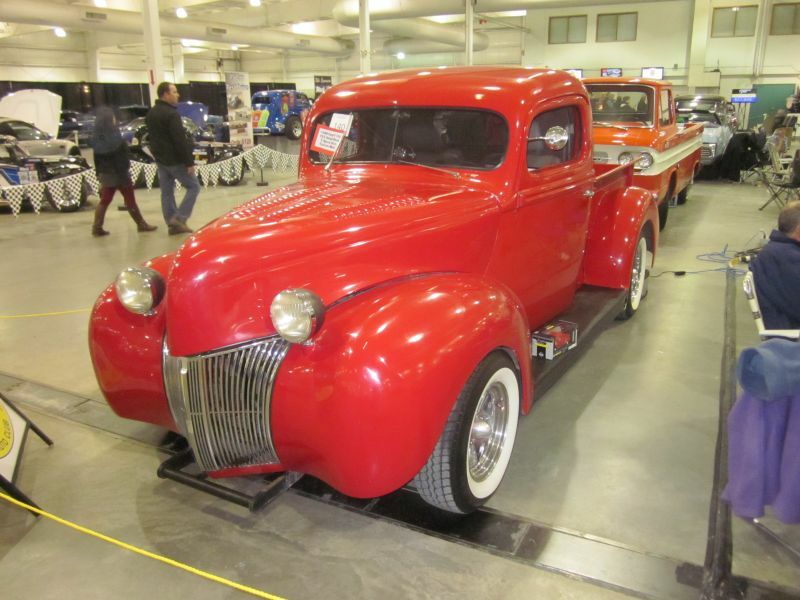 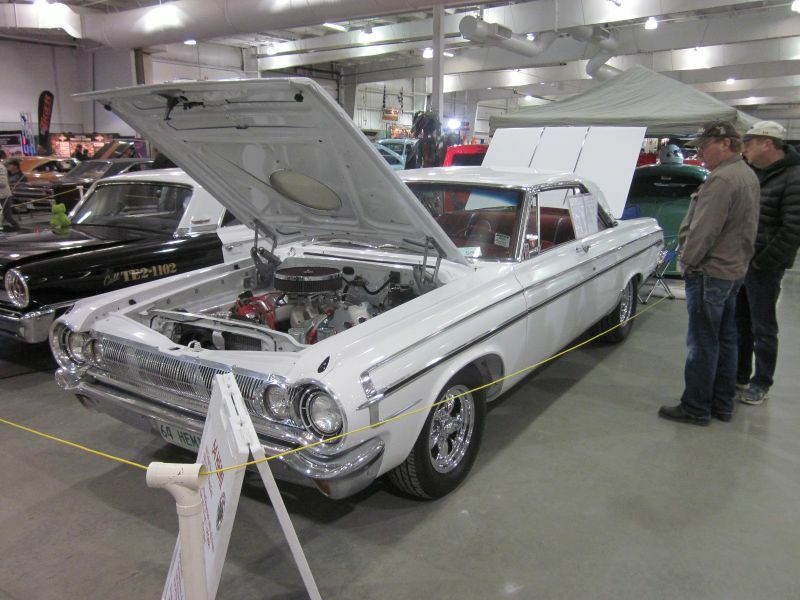 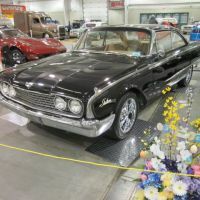 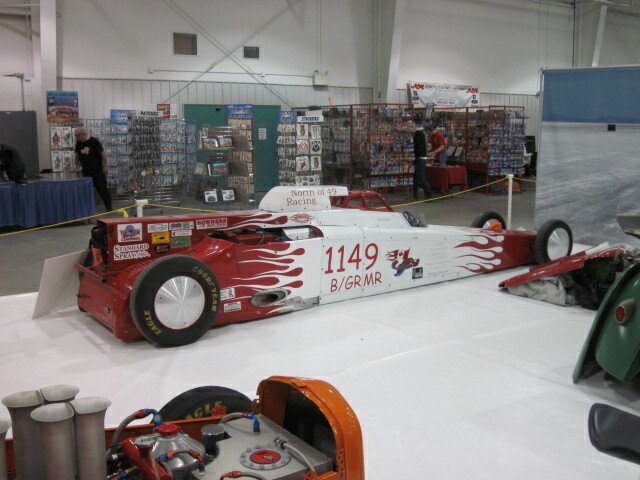 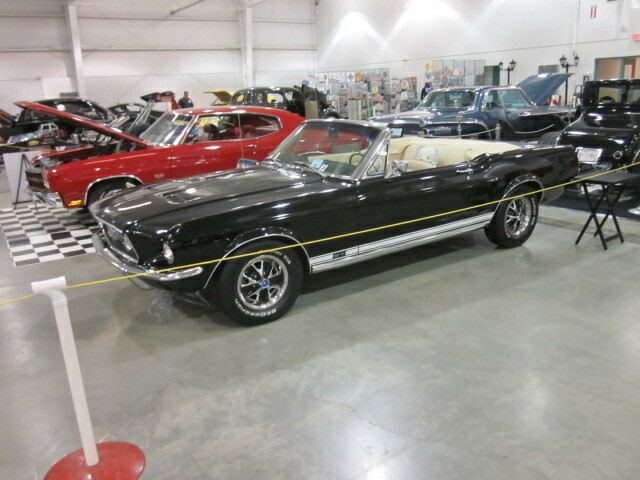 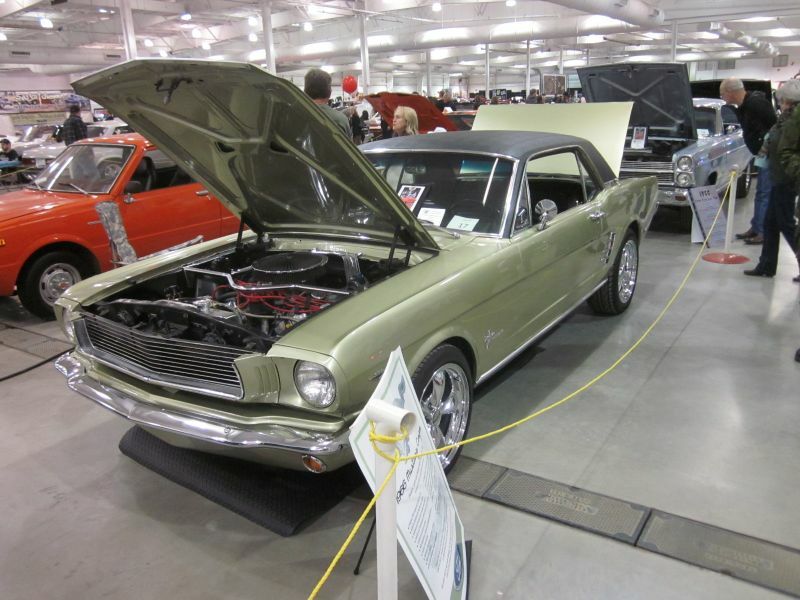 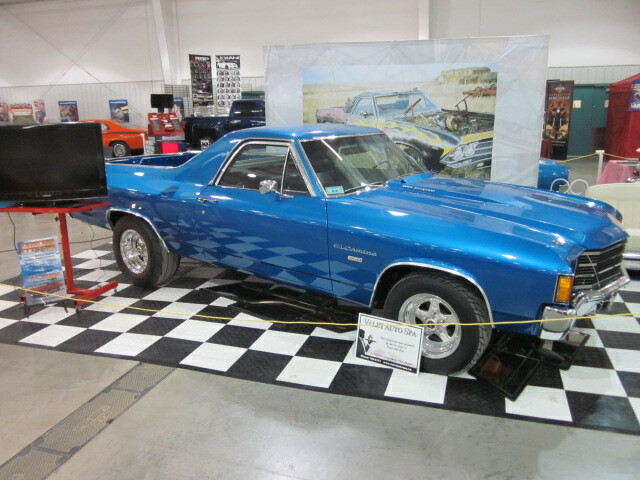 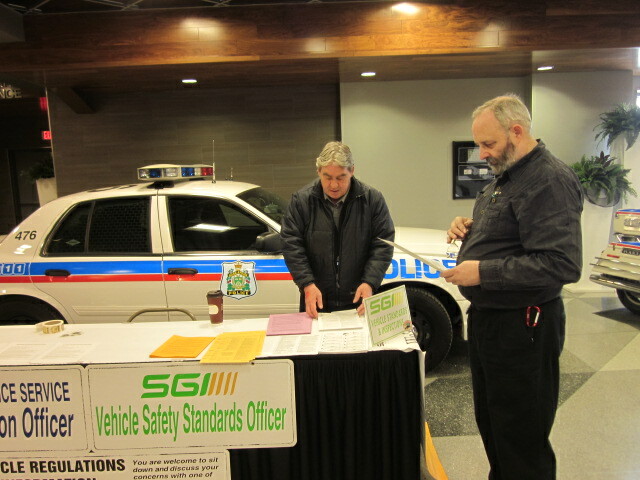 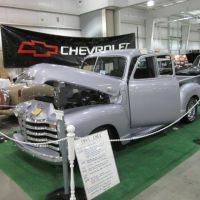 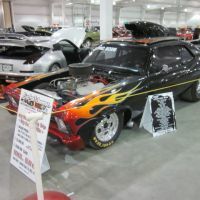 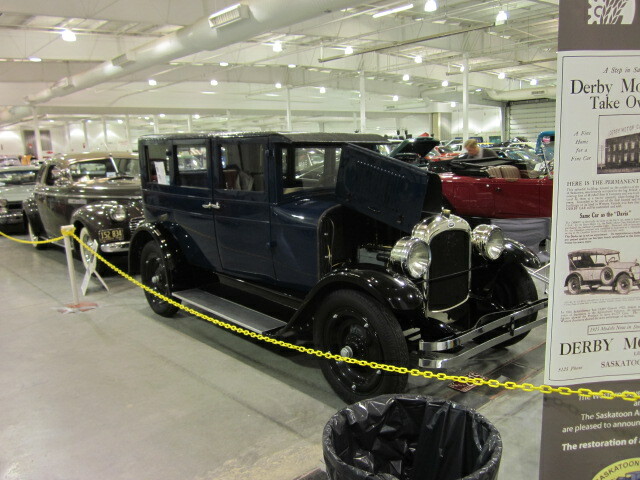 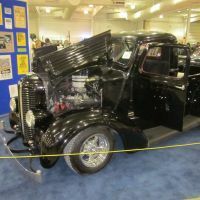 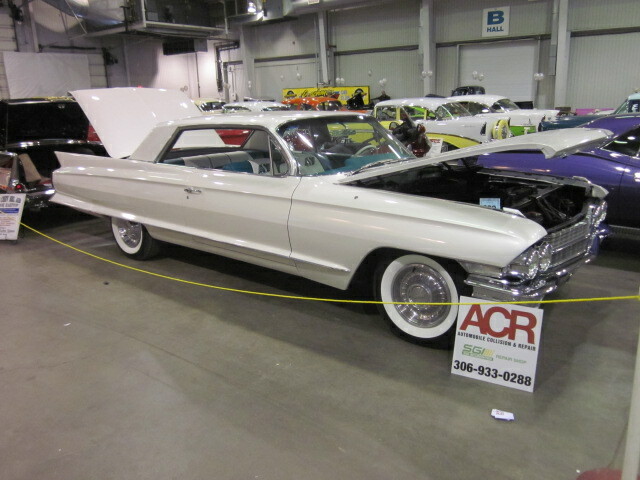 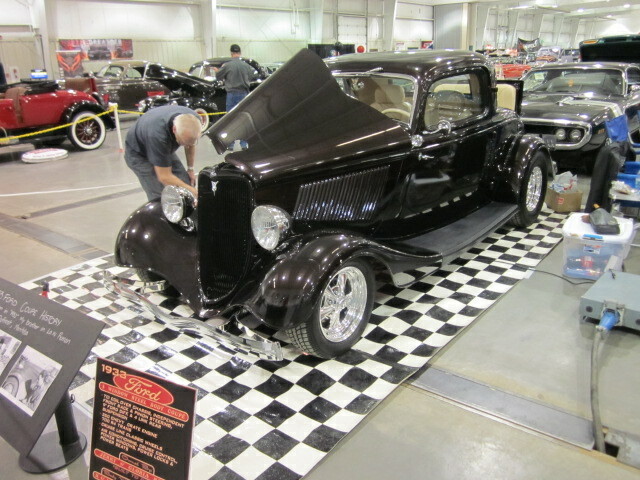 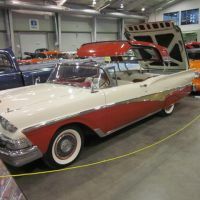 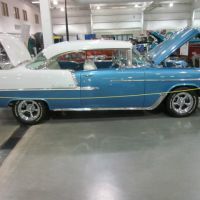 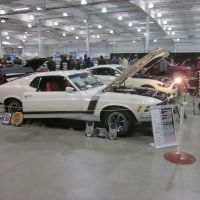 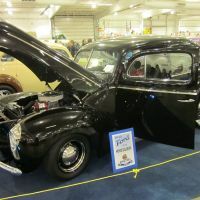 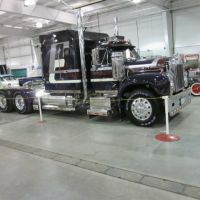 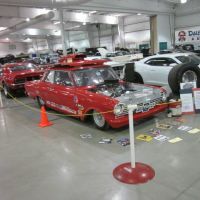 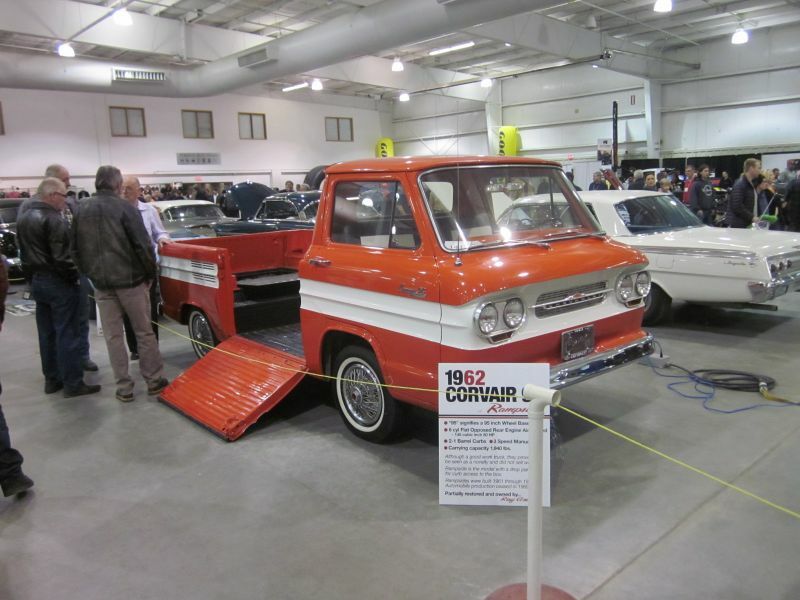 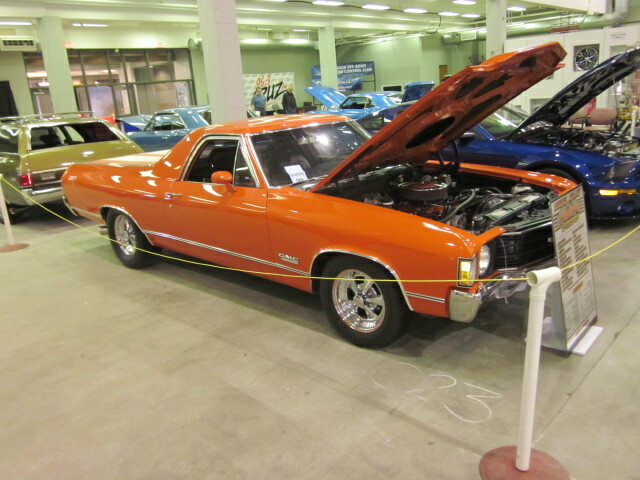 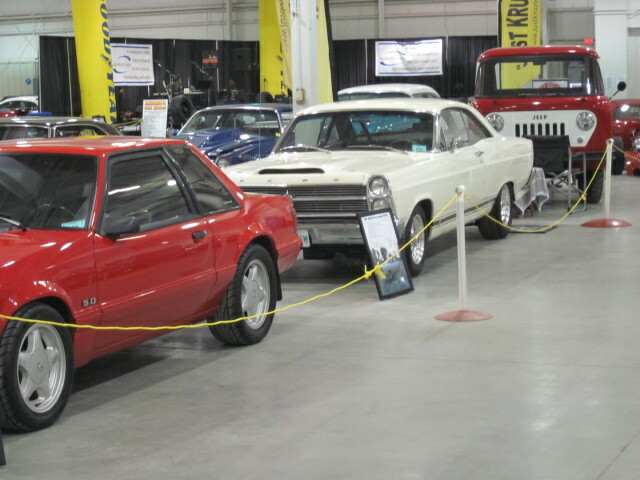 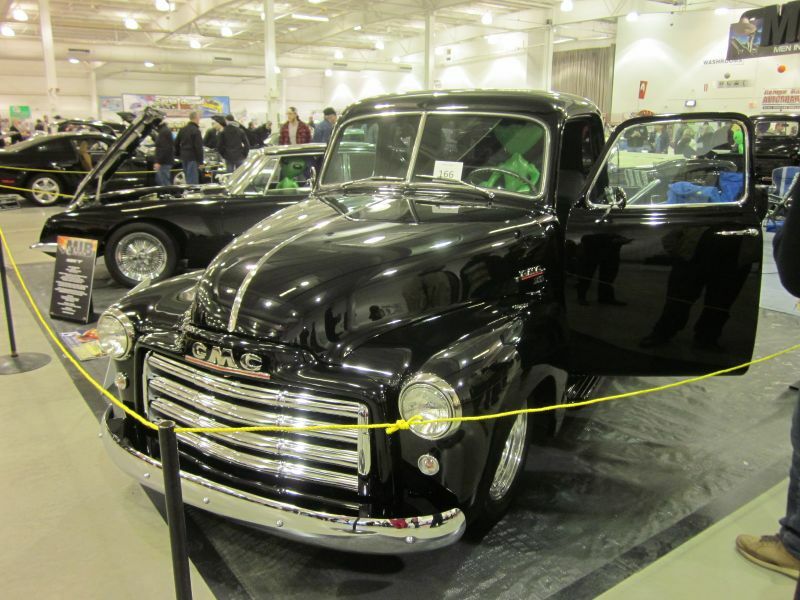 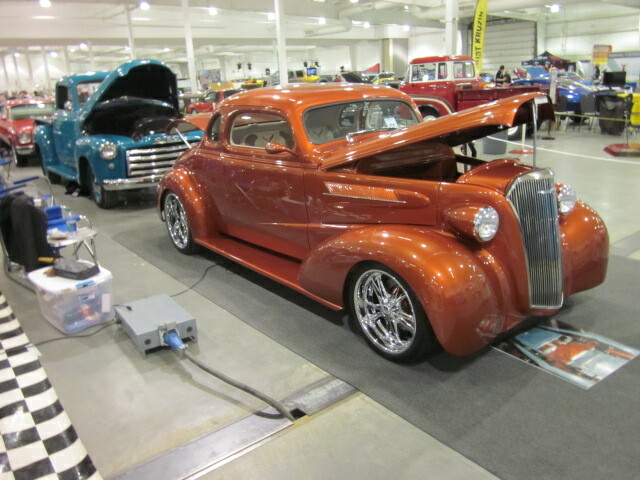 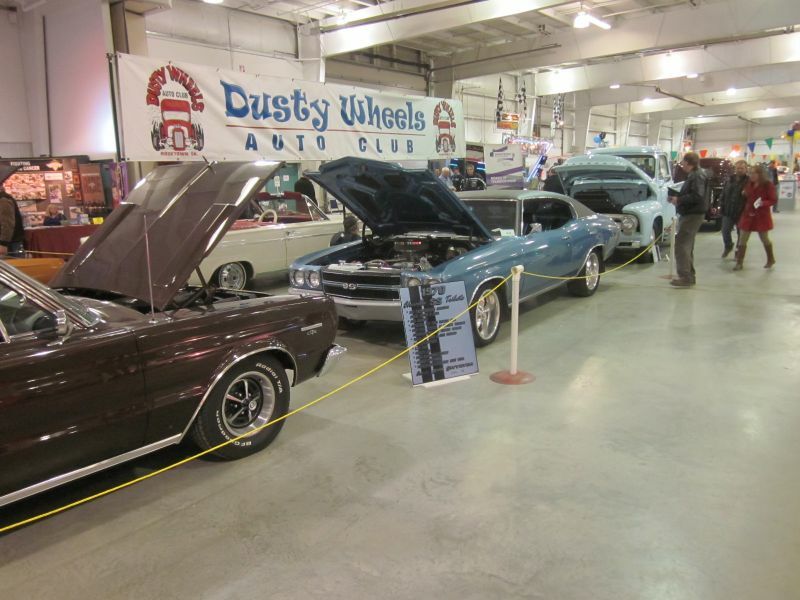 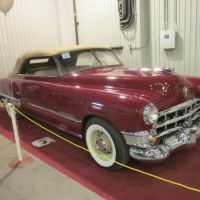 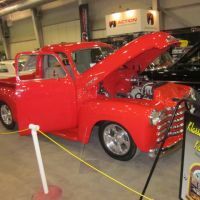 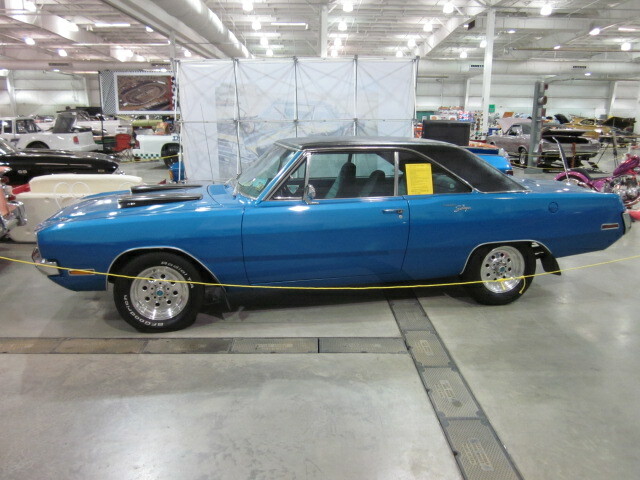 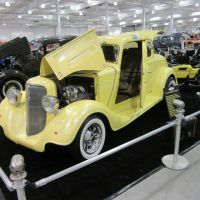 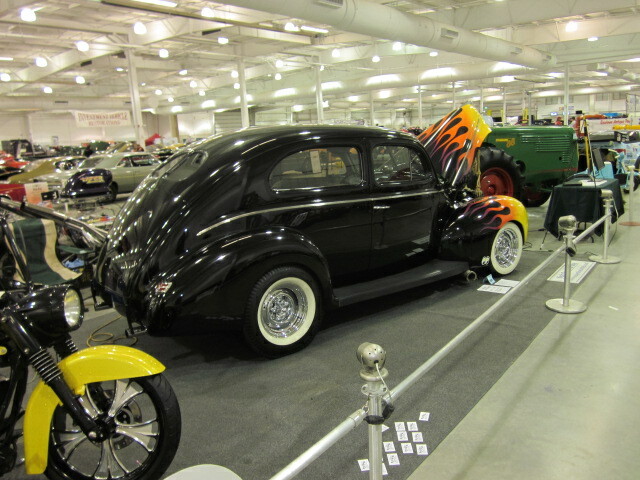 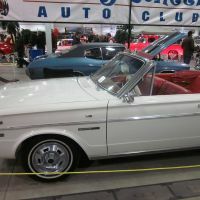 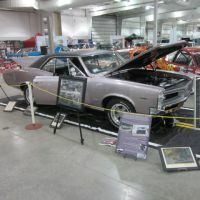 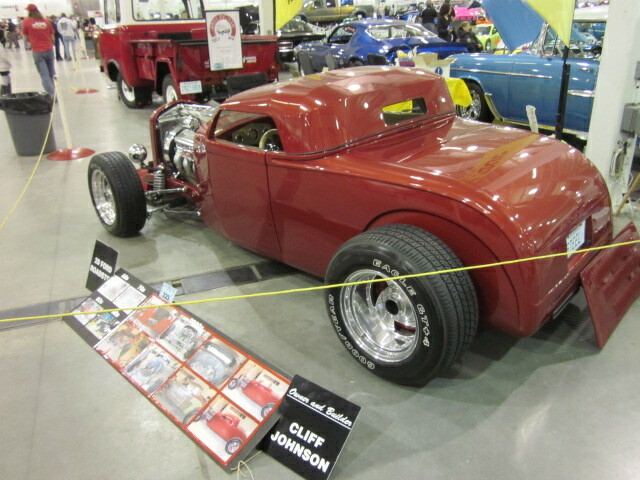 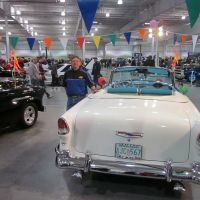 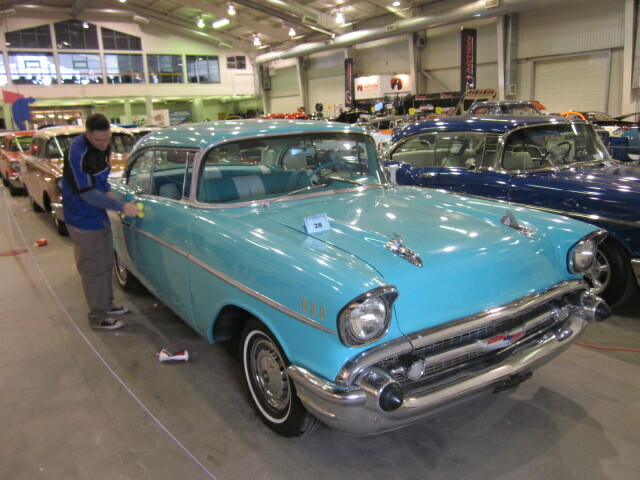 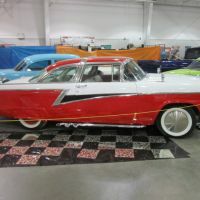 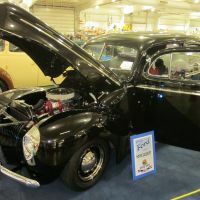 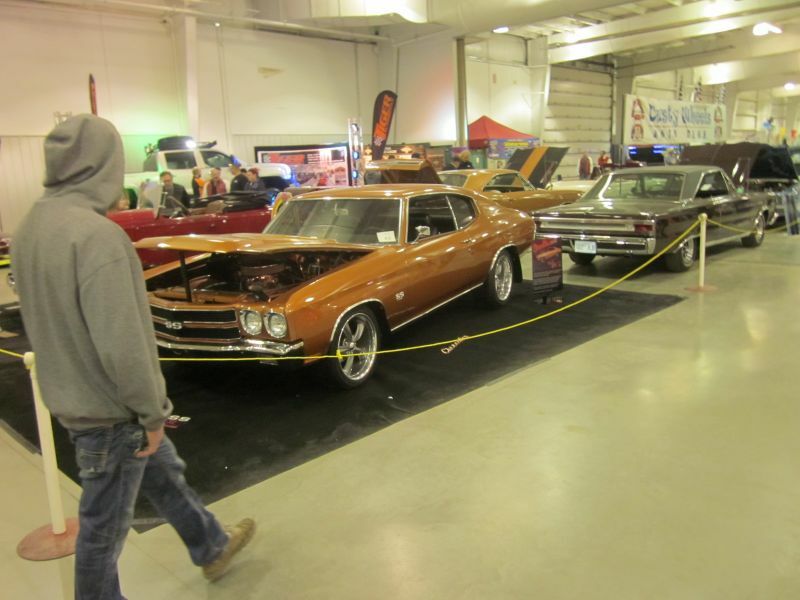 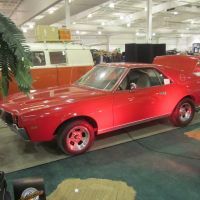 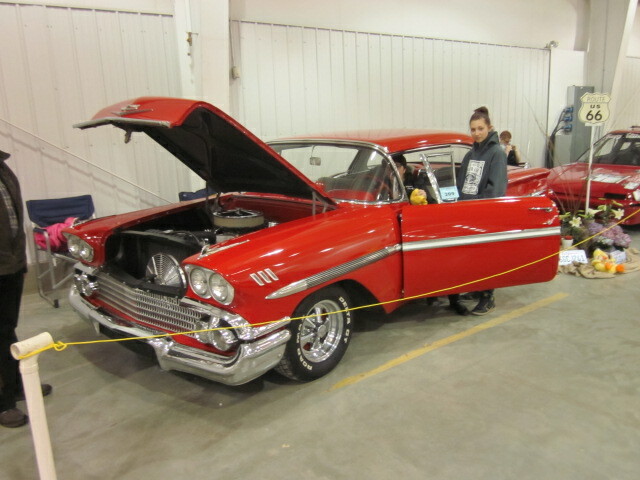 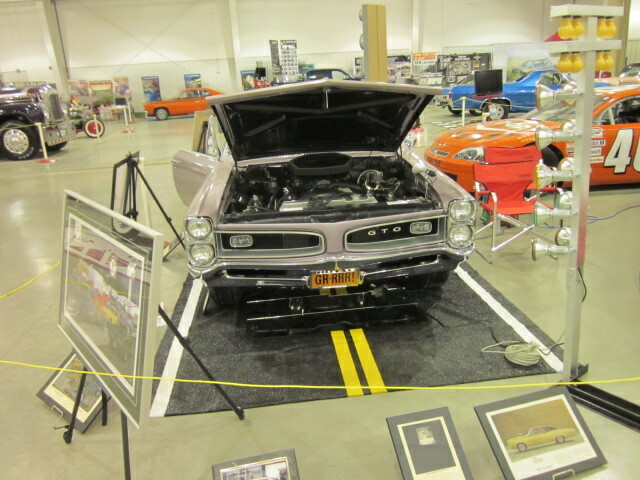 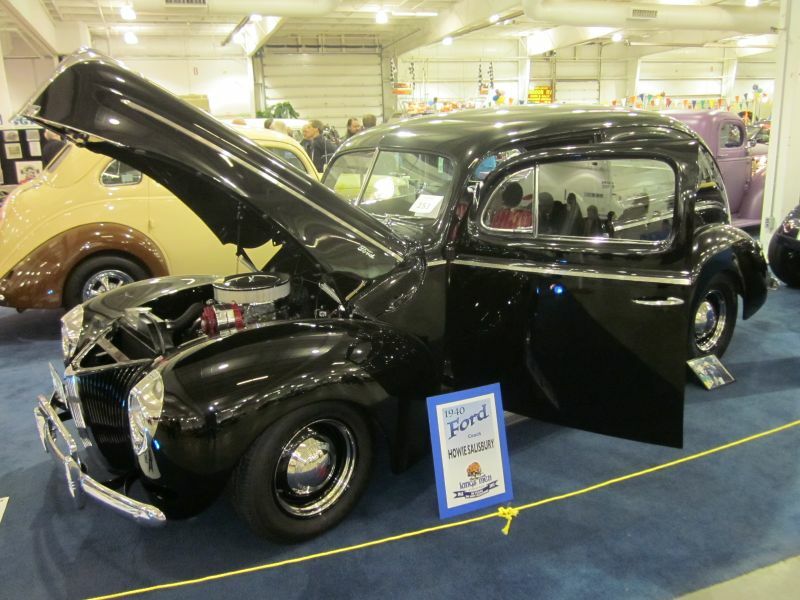 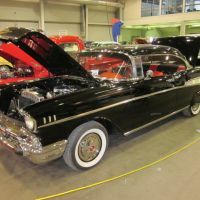 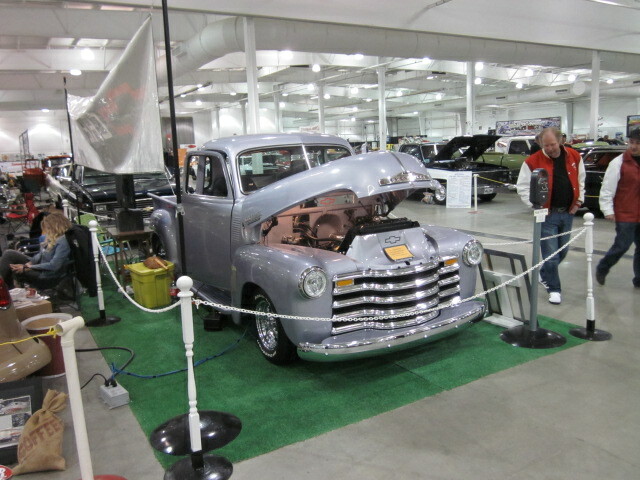 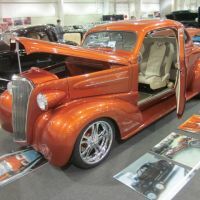 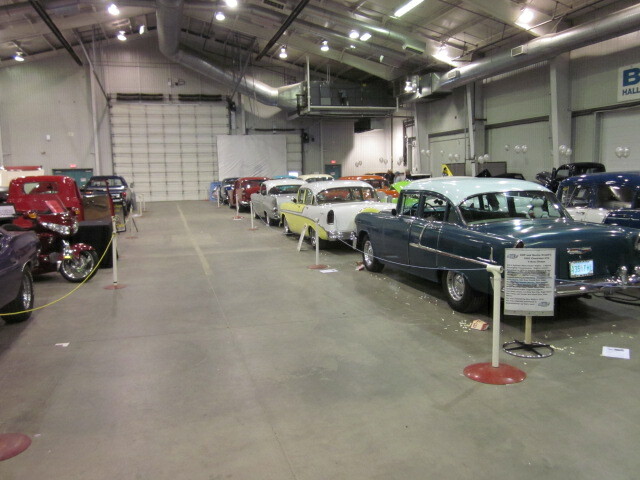 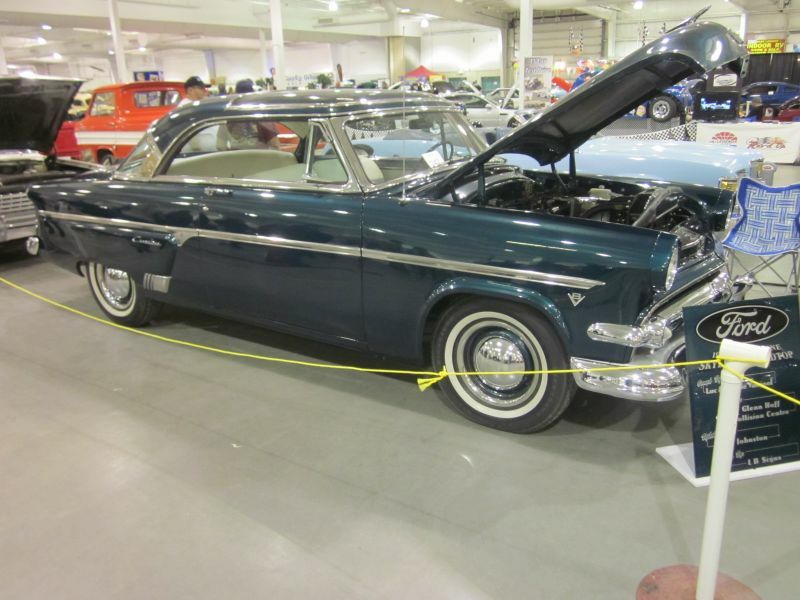 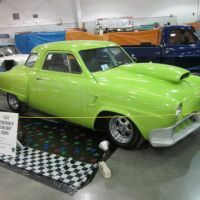 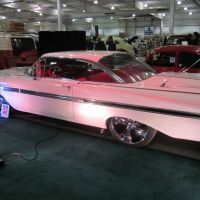 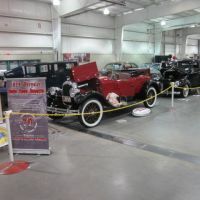 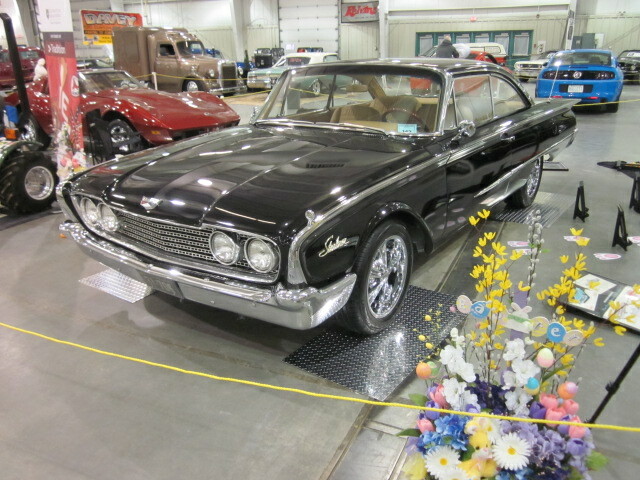 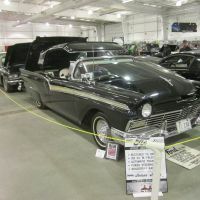 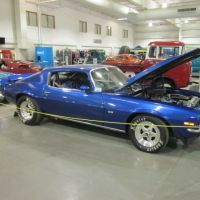 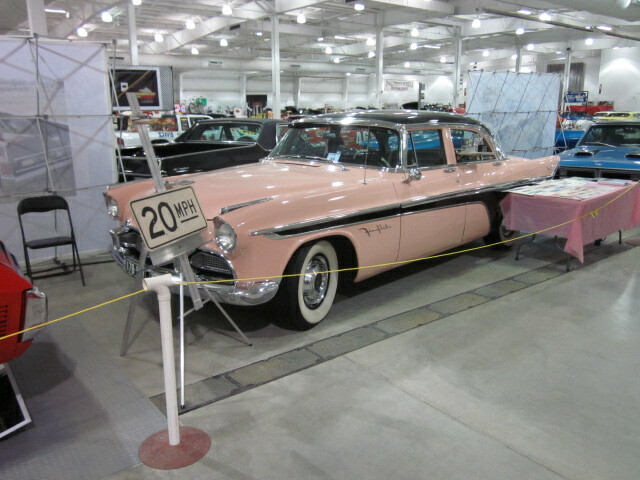 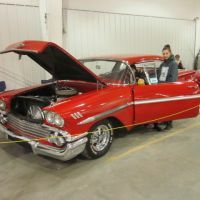 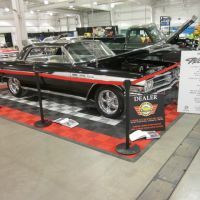 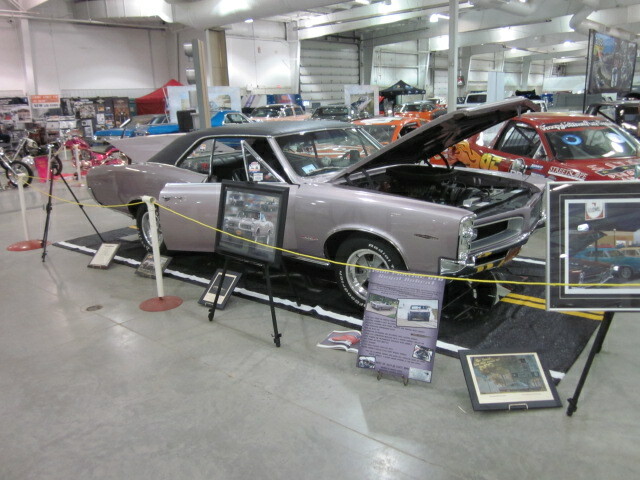 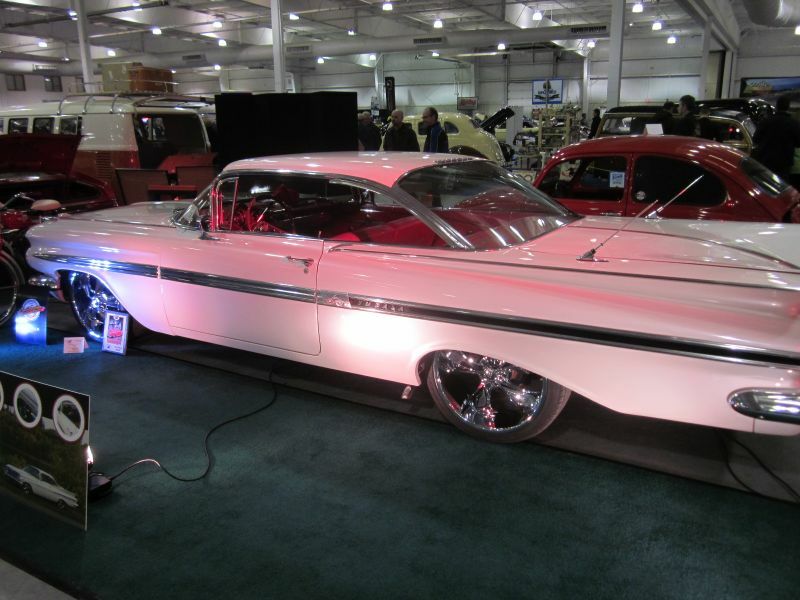 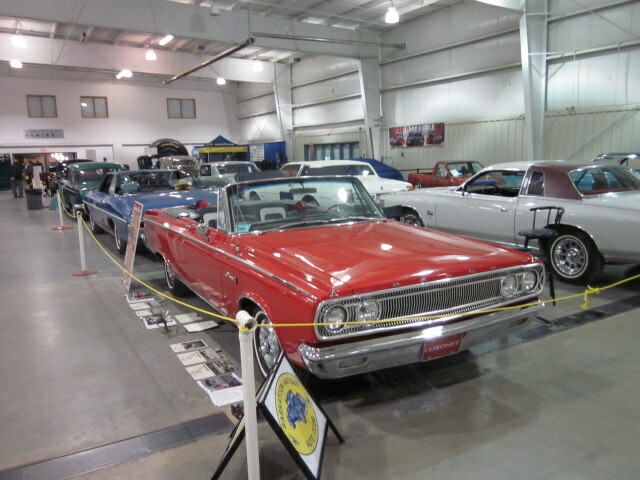 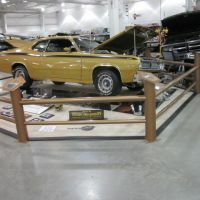 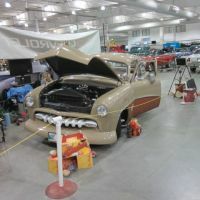 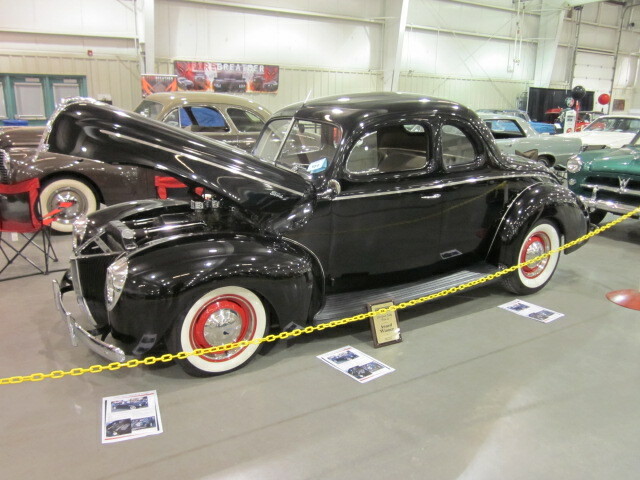 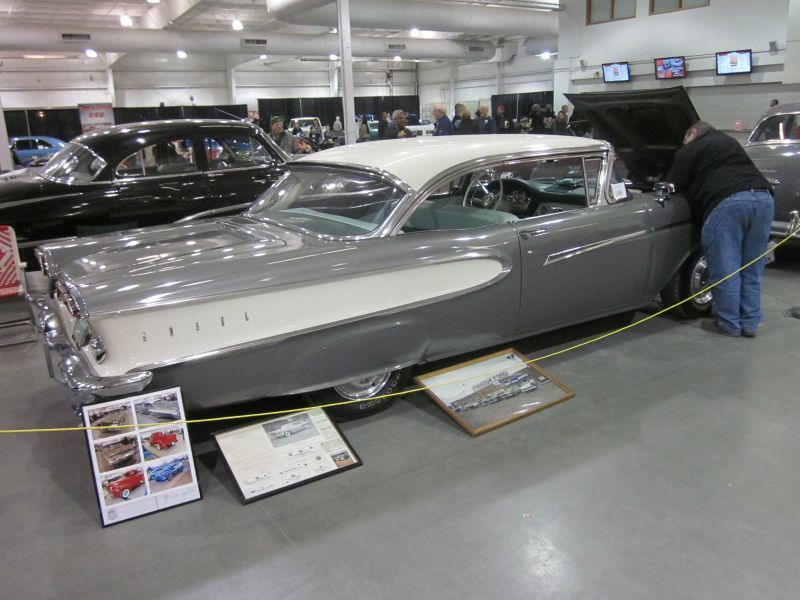 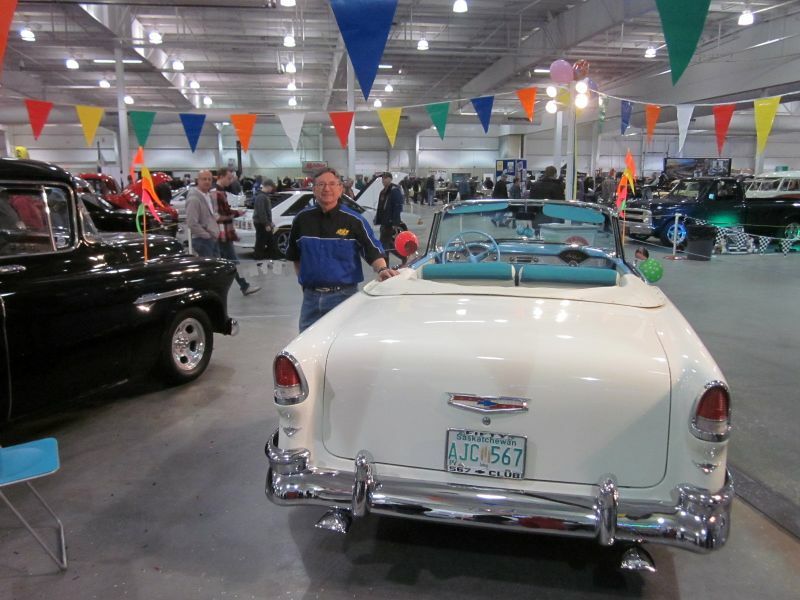 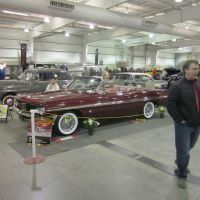 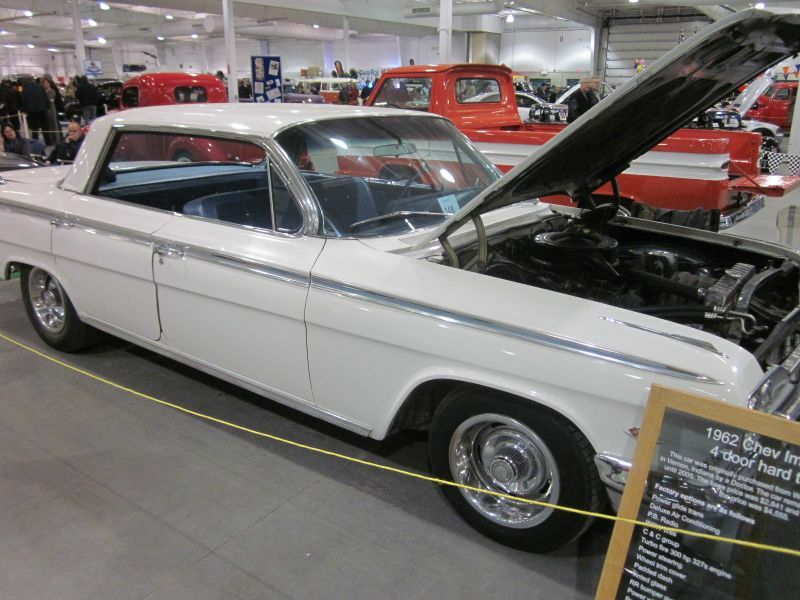 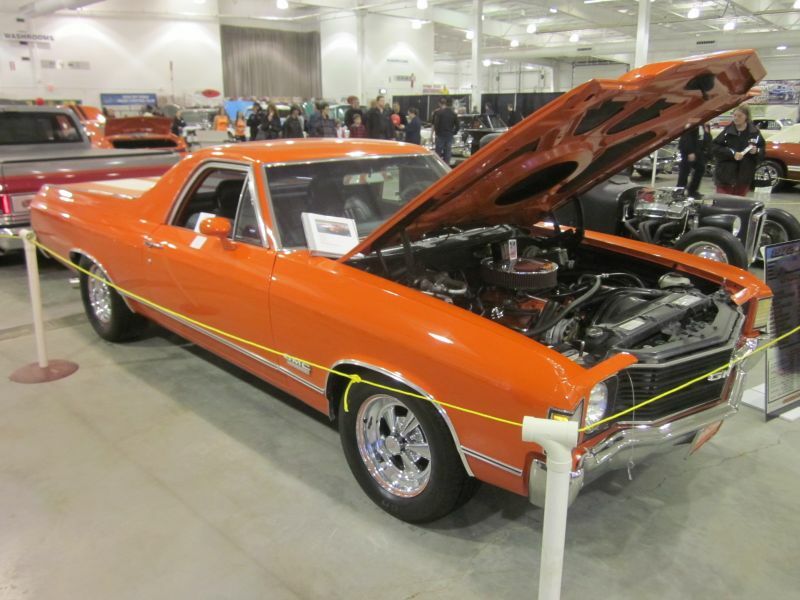 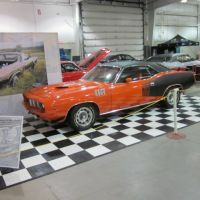 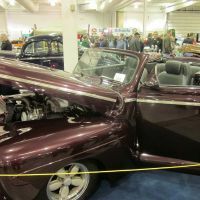 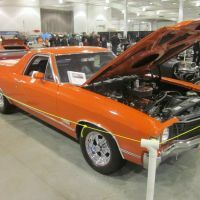 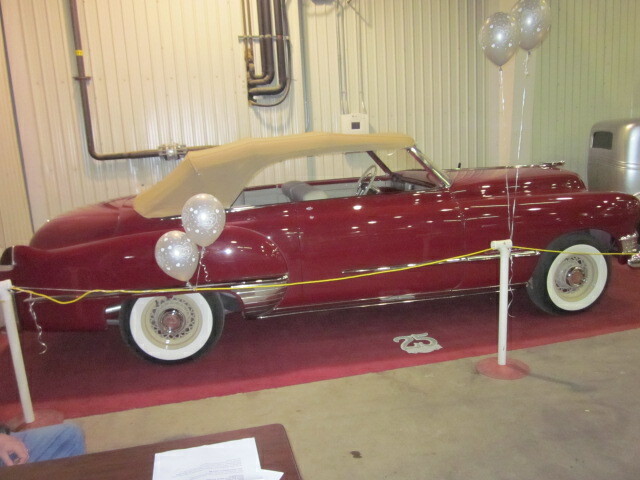 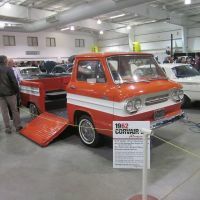 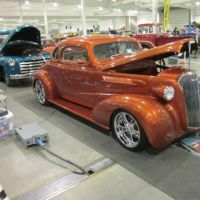 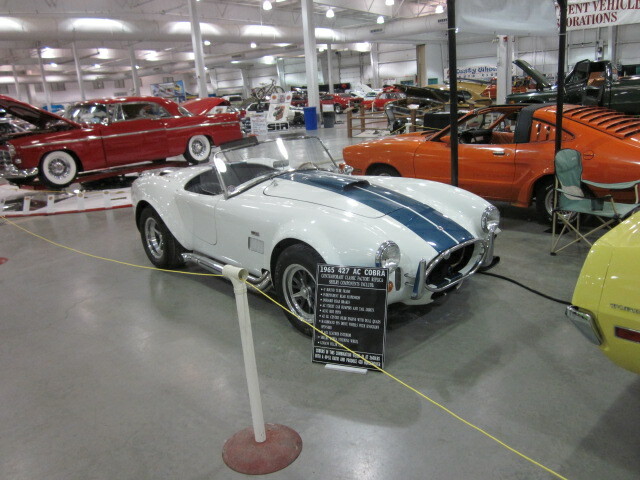 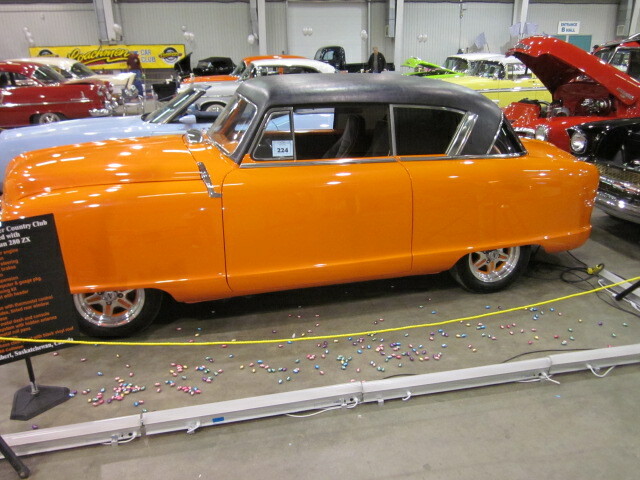 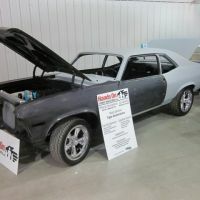 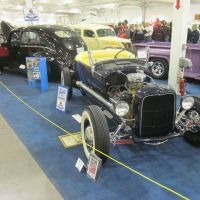 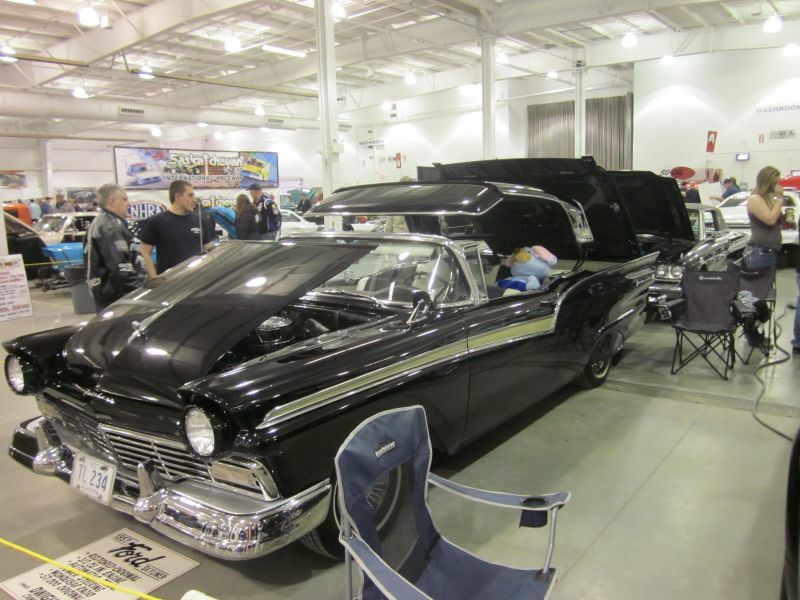 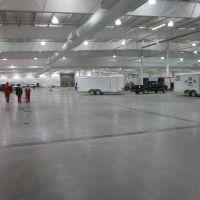 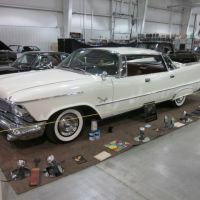 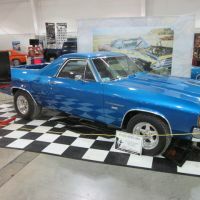 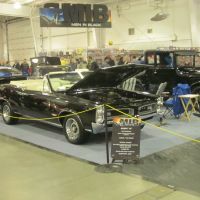 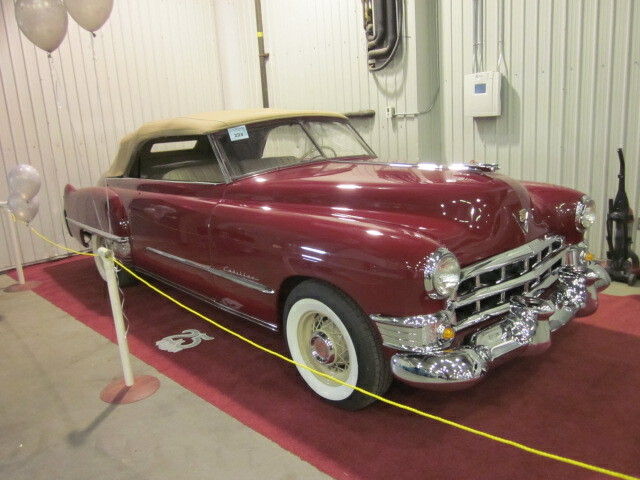 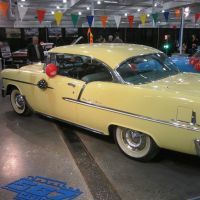 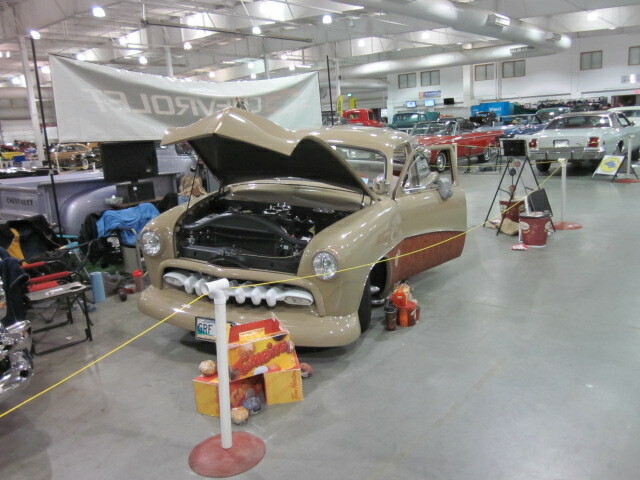 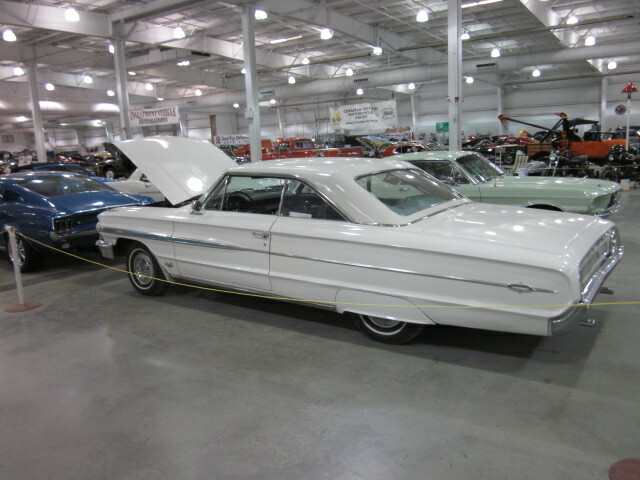 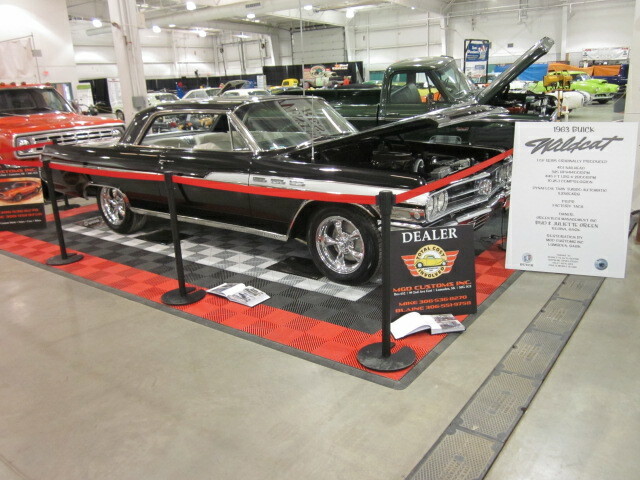 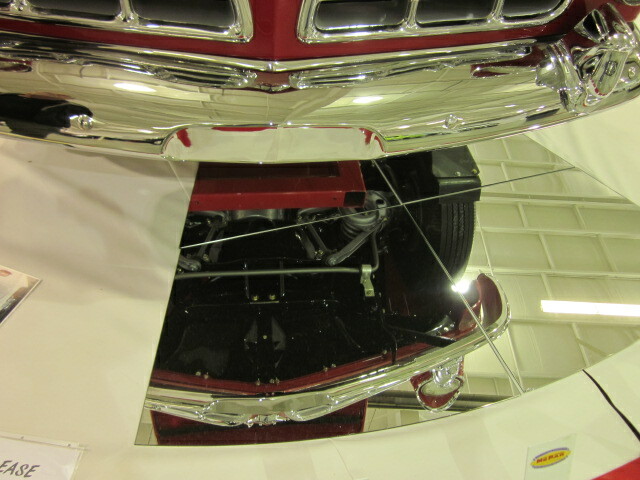 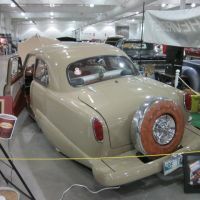 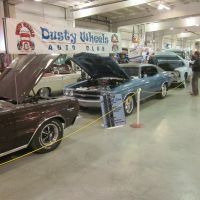 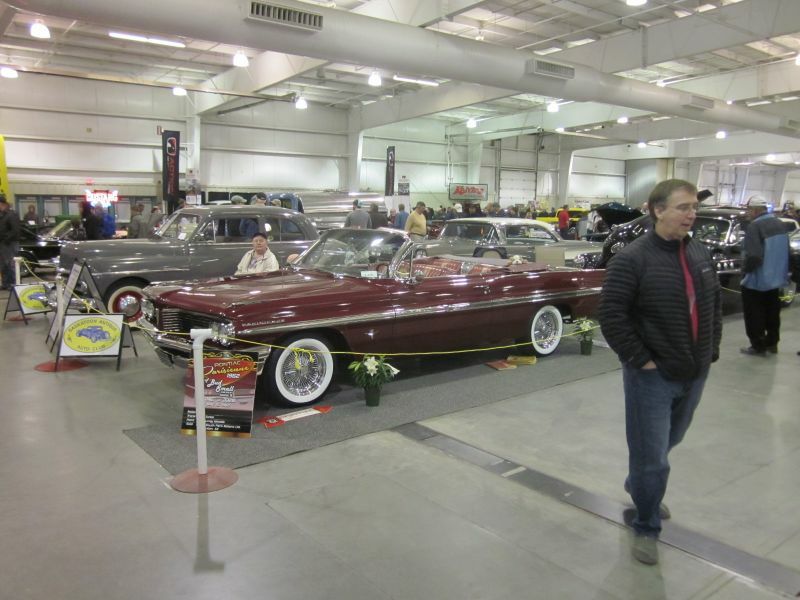 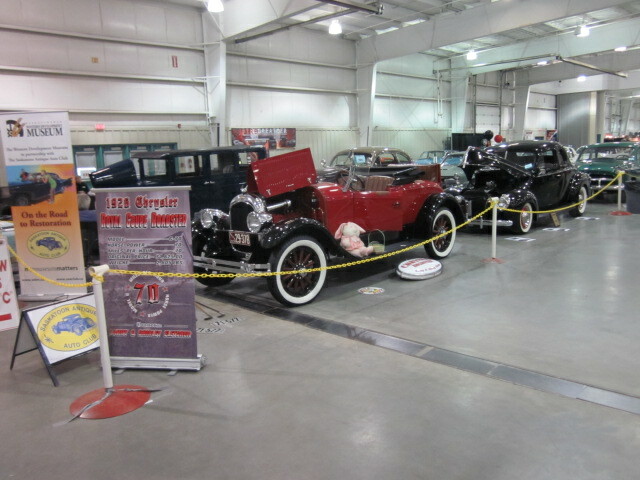 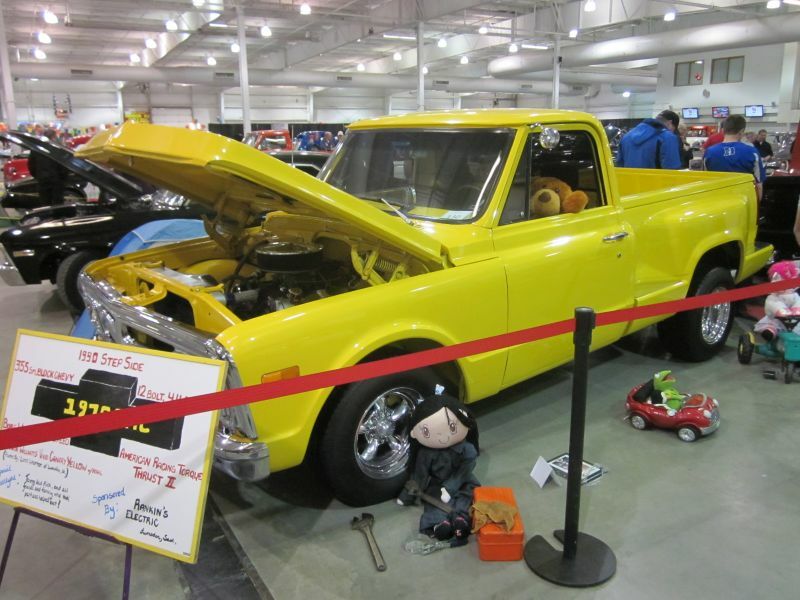 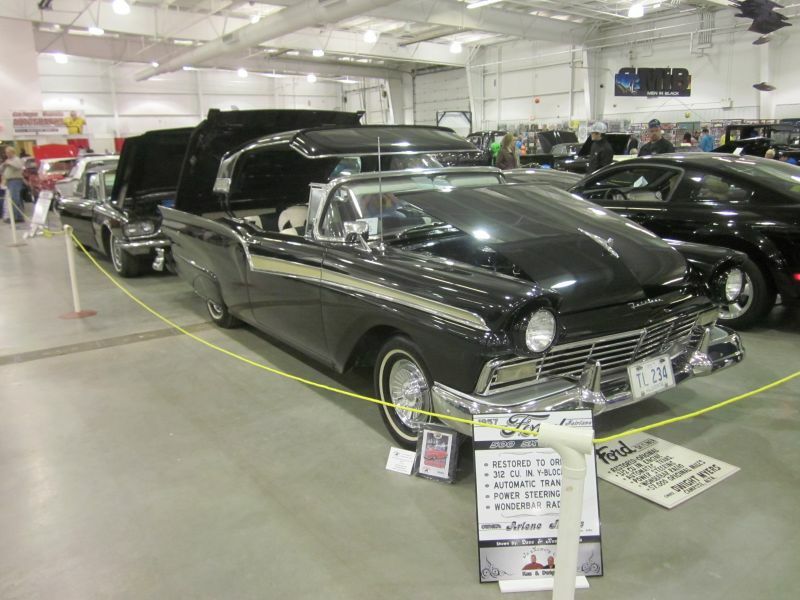 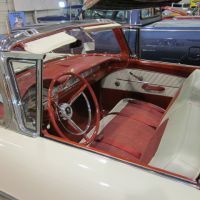 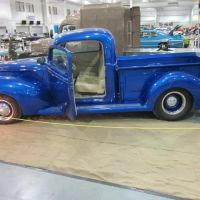 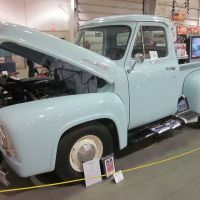 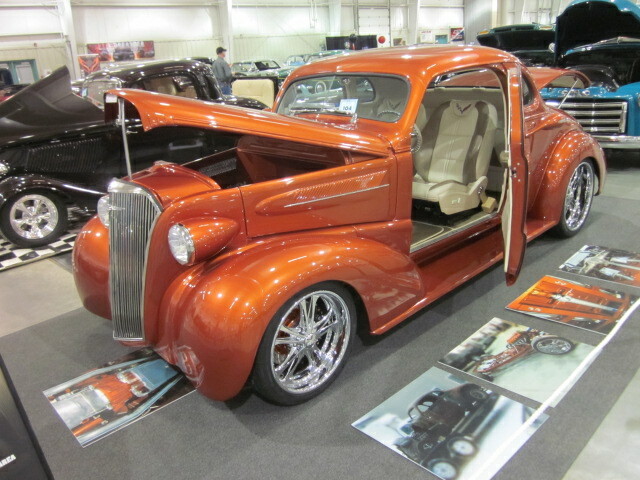 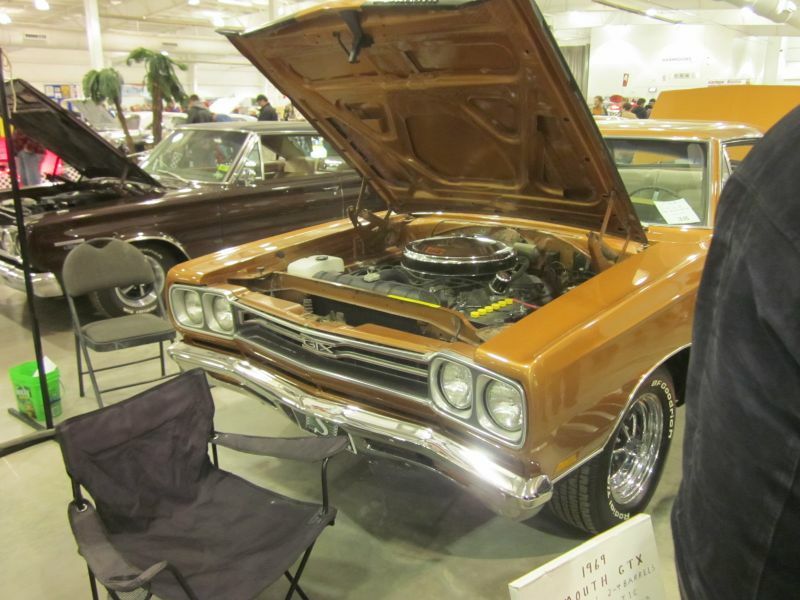 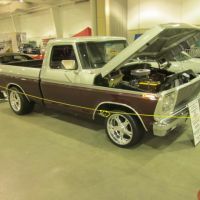 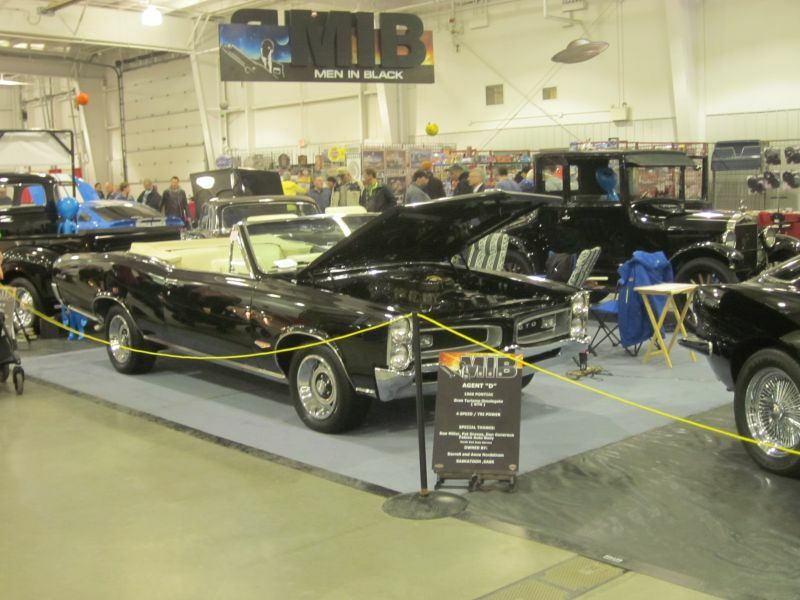 The 58th Annual Car Show will be open at 10:00 a.m. and close at 10:00 p.m. both Friday, March 30th and Saturday March 31st at Prairieland Park in Saskatoon. 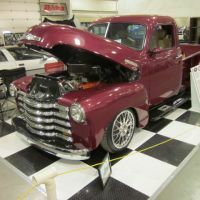 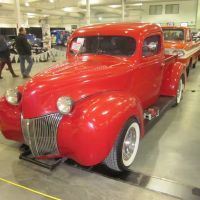 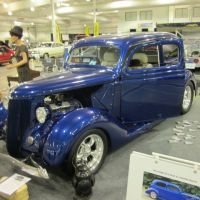 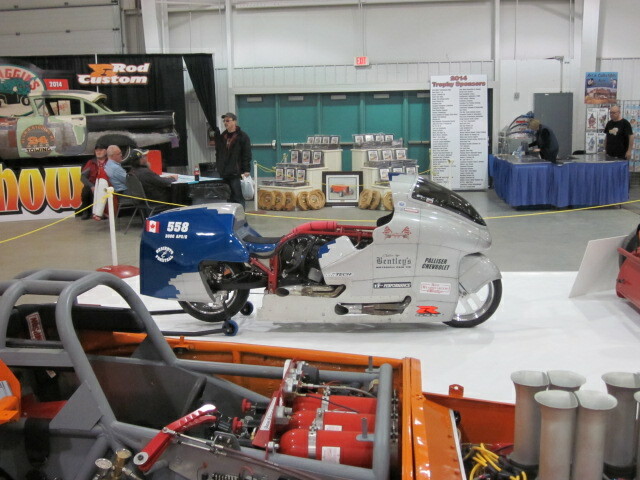 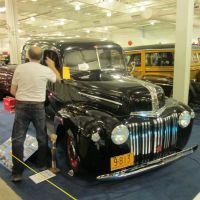 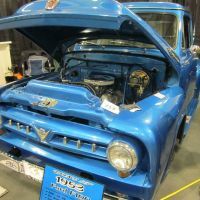 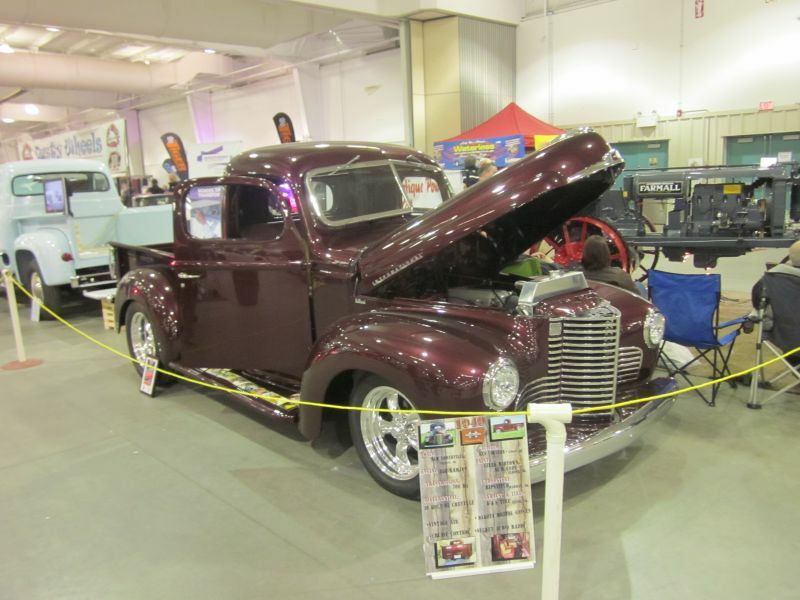 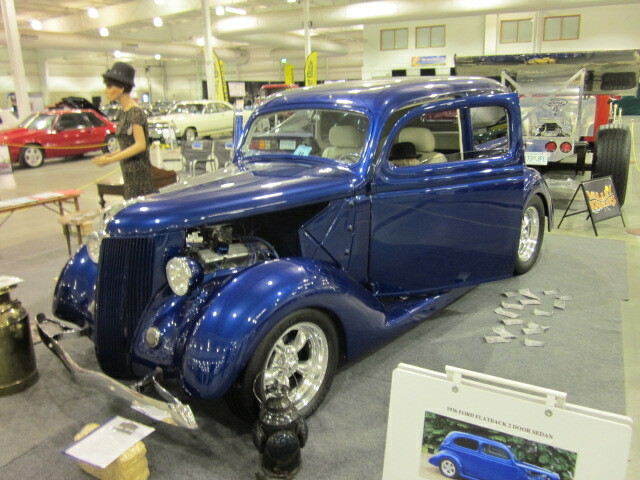 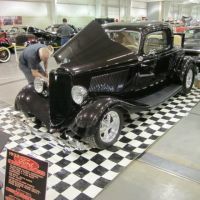 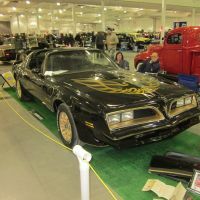 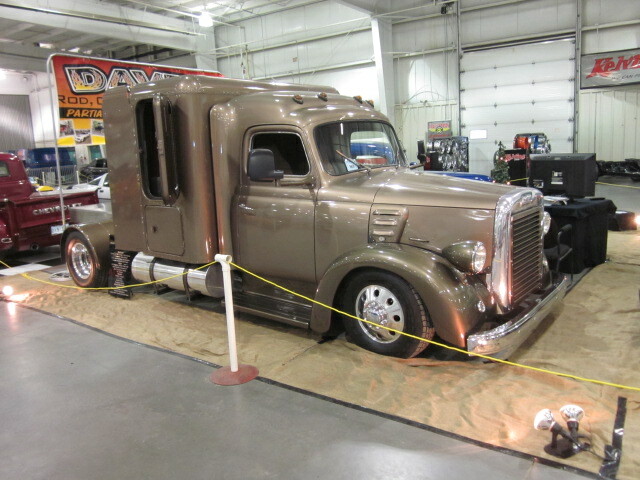 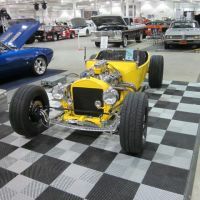 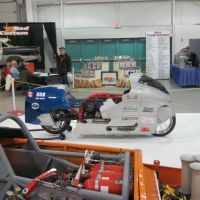 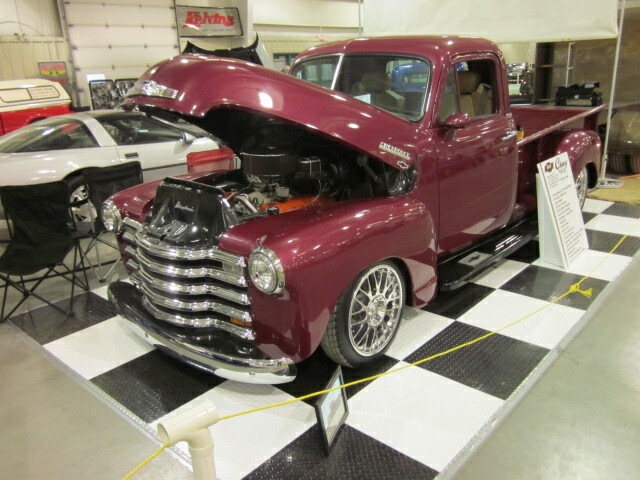 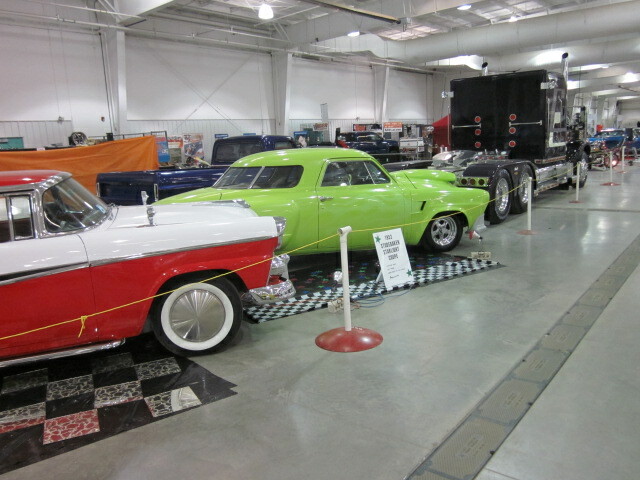 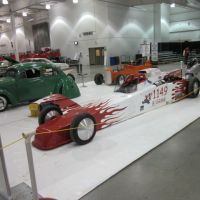 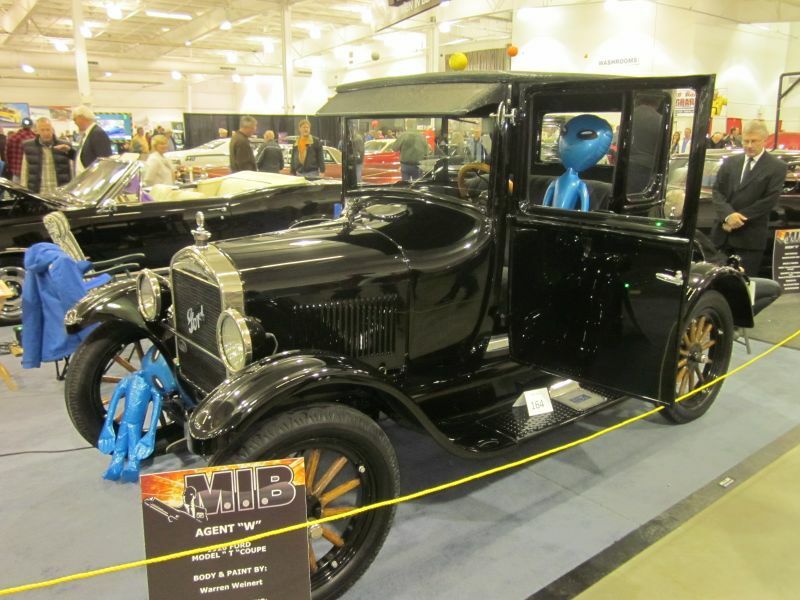 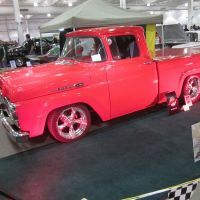 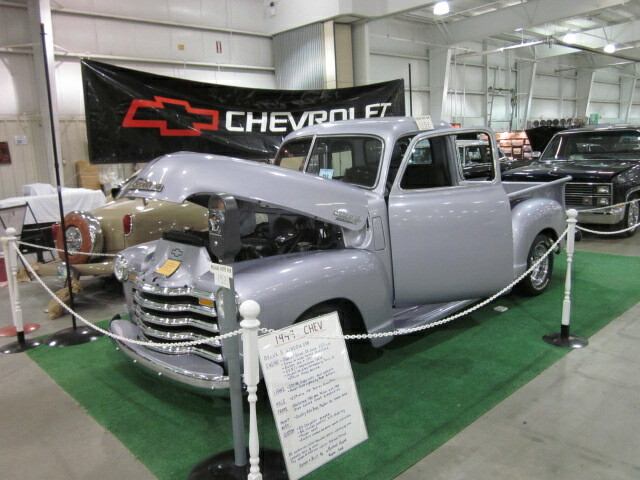 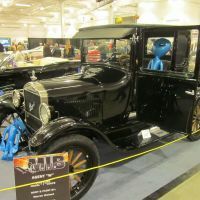 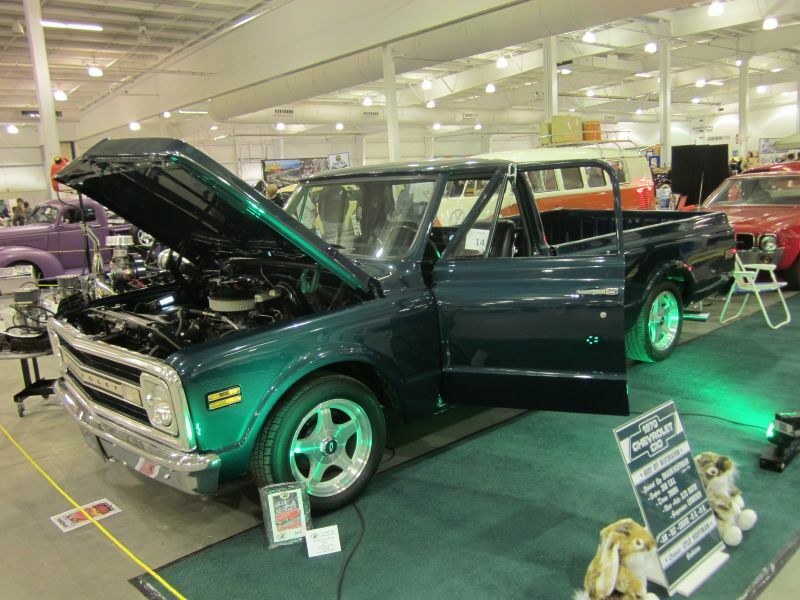 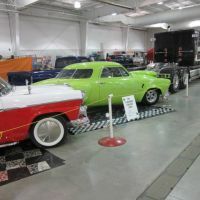 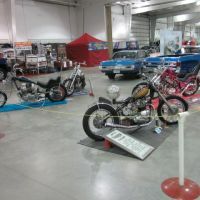 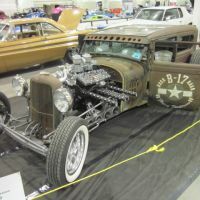 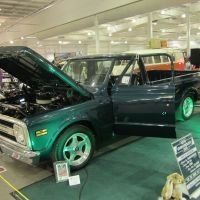 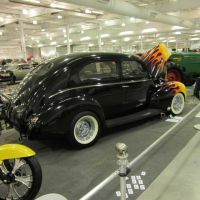 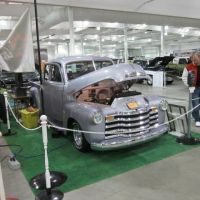 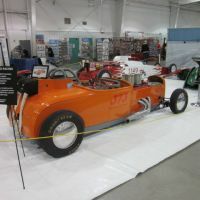 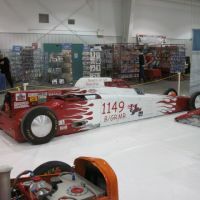 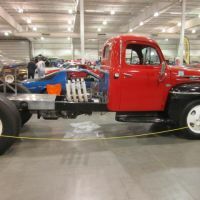 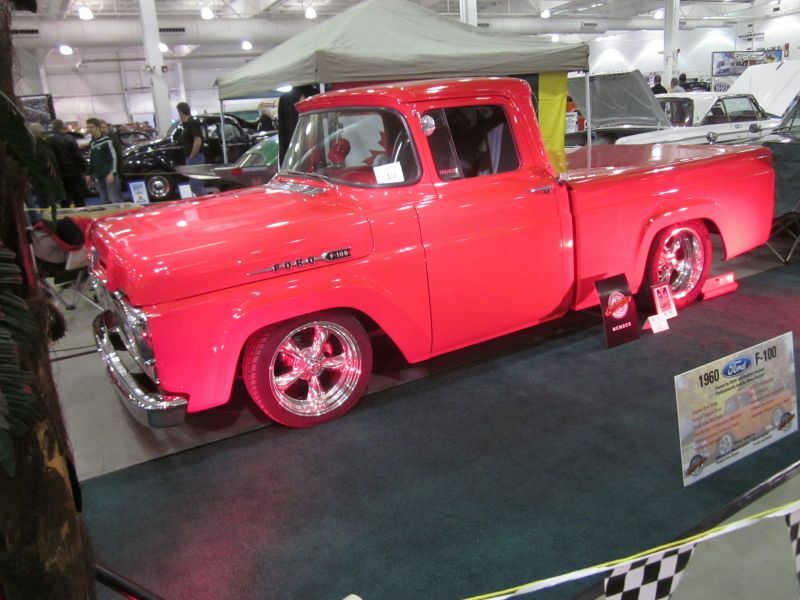 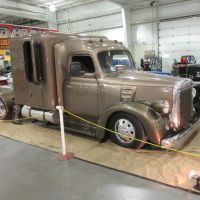 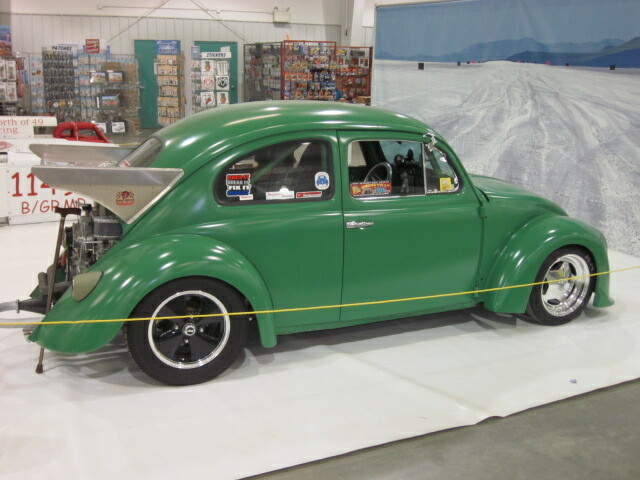 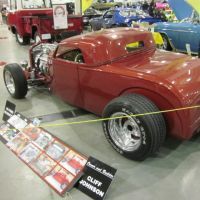 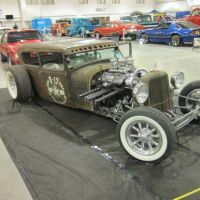 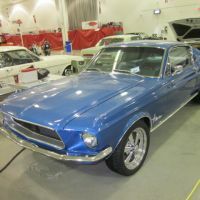 Over 200 vehicles will be on display from across western Canada, competing for over $10,000 in trophies and cash awards in a variety of classes including customs, hot rods, antiques, restorations, muscle cars, race cars, vintage motor cycles, custom trucks, and many more. 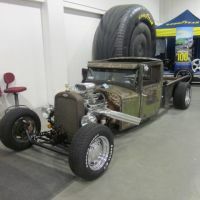 A special celebrity appearance will be made by Steve Darnell, star of Vegas Rat Rod's "Welder Up Garage", compliments of Impact Diesel Performance of Saskatoon. 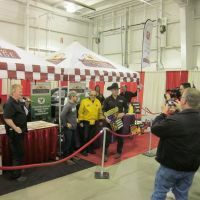 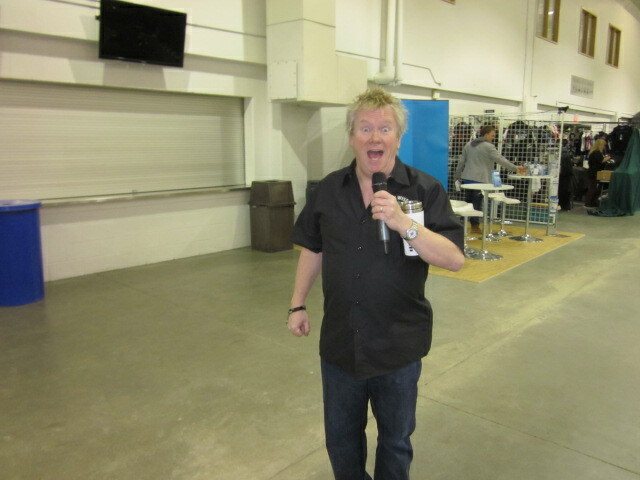 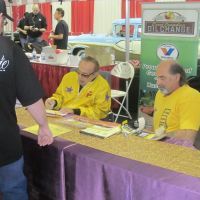 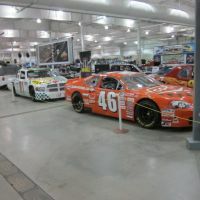 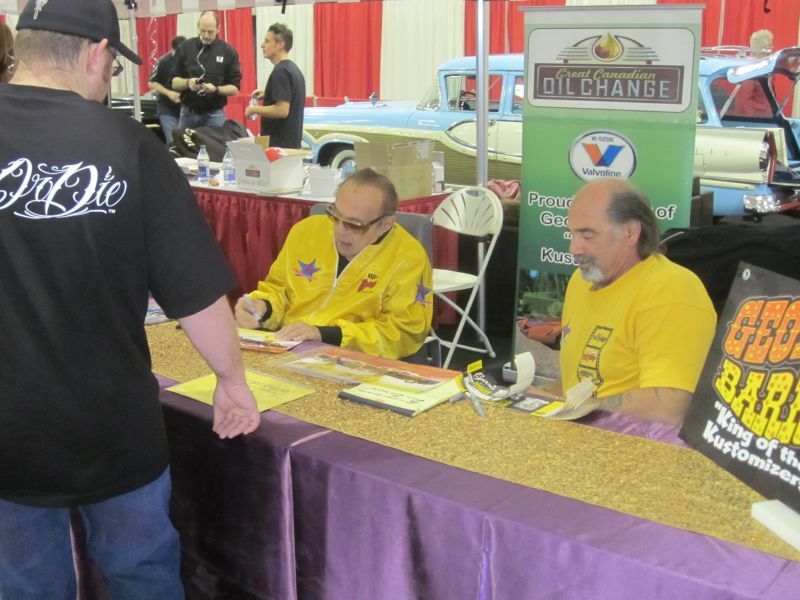 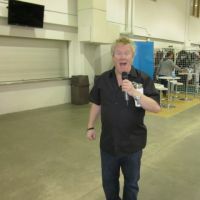 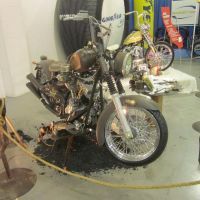 Steve and his guest will be present from 12:30 until 1:30 p.m and 4 p.m. until 5:30 p.m. for autographs each day & visiting around the show outside those hours. 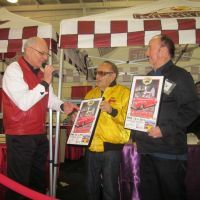 Mattel is celebrating the 50th anniversary of Hot Wheels by donating a six lane race track complete with an electronic win board. 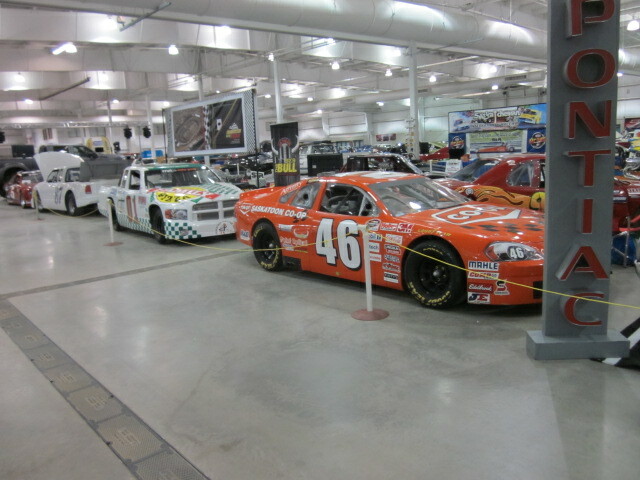 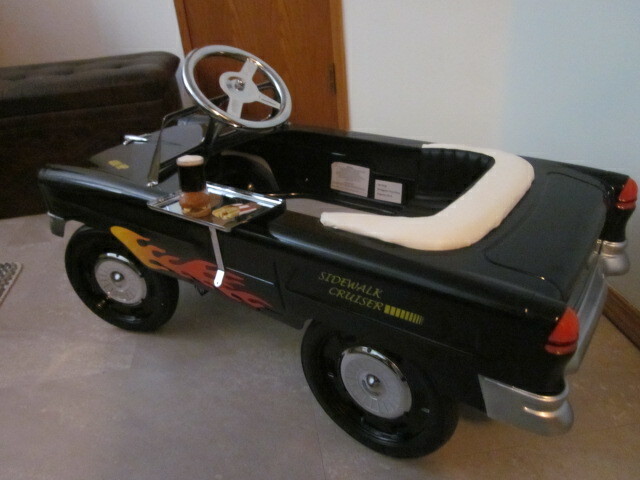 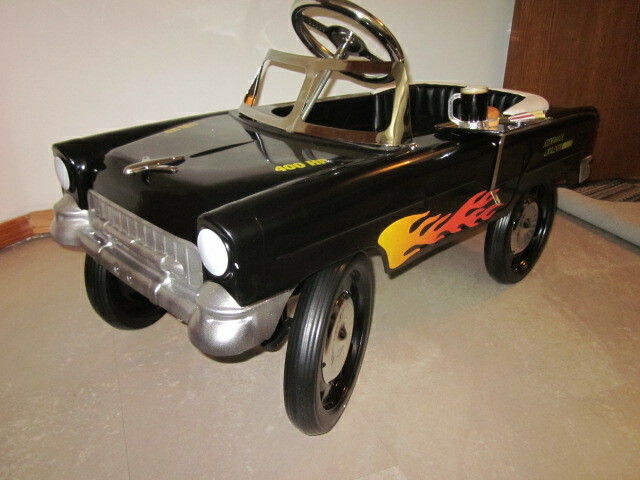 Kids of all ages can race their Hot Wheels car they receive at the door or bring their own Hot Wheels car from home. 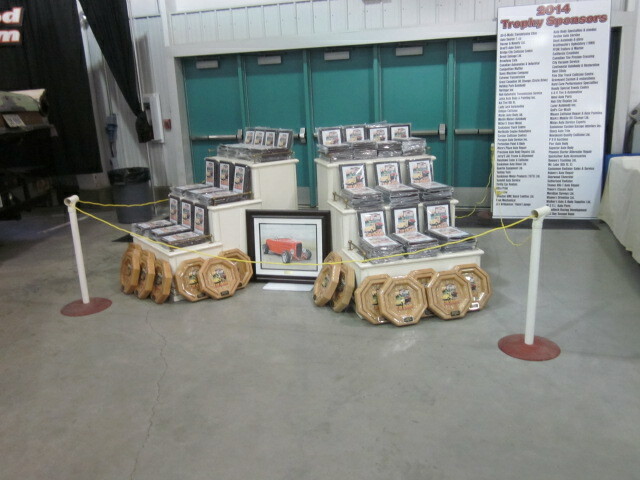 Prizes will be awarded by a participants name drawing. 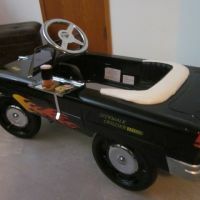 The first 1000 children through the doors on both days will receive a free Mattel Hot Wheels car sponsored by Thanes Big T Auto Repair. 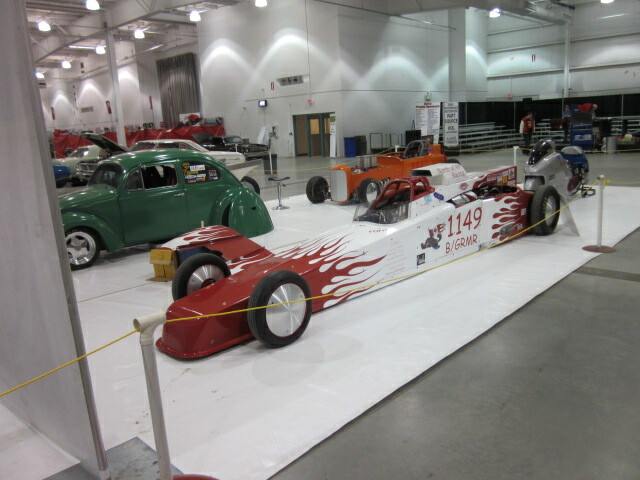 The track race times are 11-1, 2-4 and 5-7 each day. 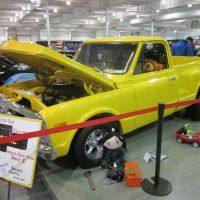 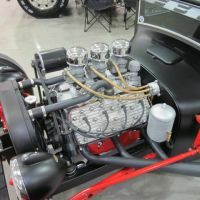 The extremely popular Battle of the Automotive Technicians features teams of two technicians competing to assemble a V8 engine from parts to running in less than 10 minutes. 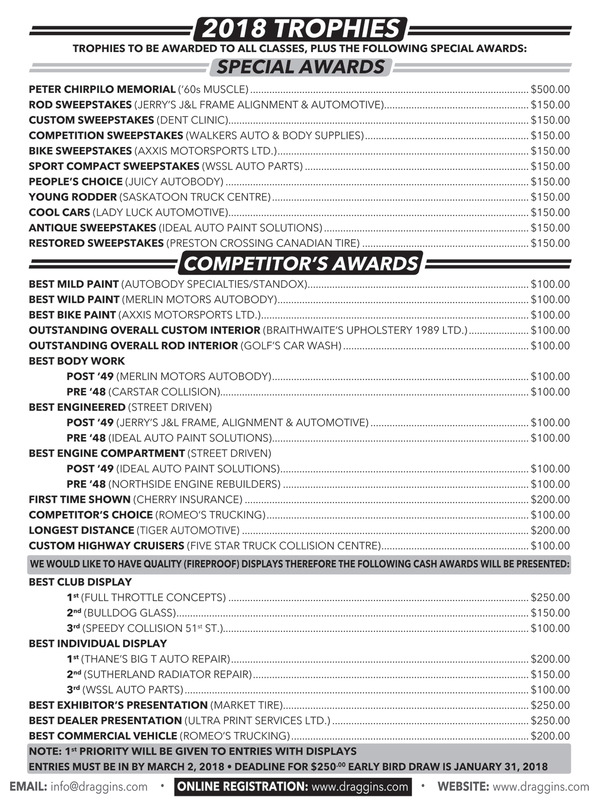 there are over $6000 in cash and merchandise prizes to be won in this event. 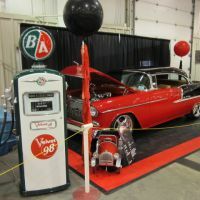 When you are admitted to the show a door prize entry will be provided for a chance to win a set of new tires provided by Market Tire. 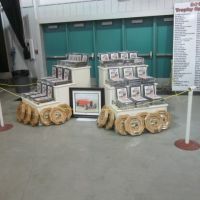 The Saskatchewan Abilities Council and Camp Easter Seal will receive proceeds from the show. 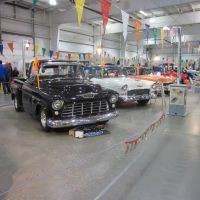 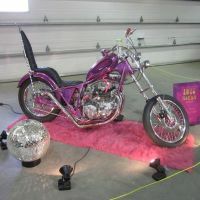 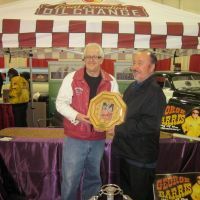 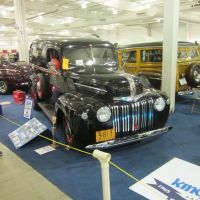 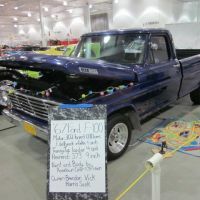 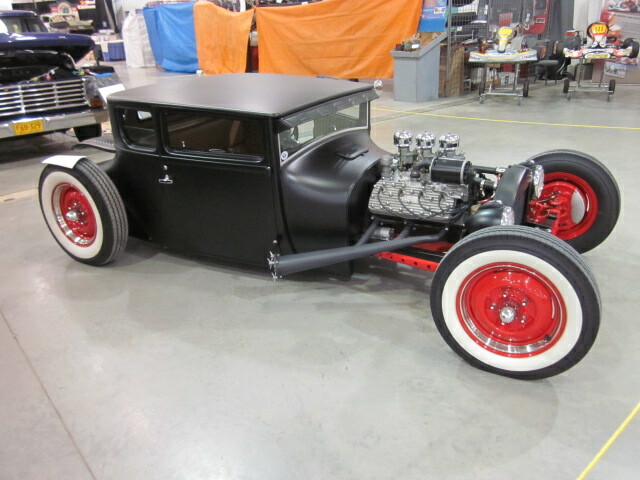 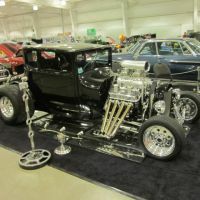 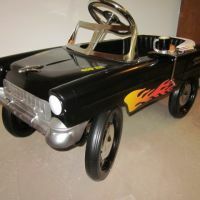 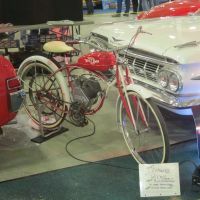 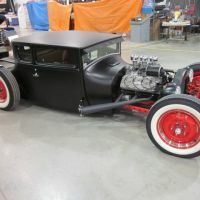 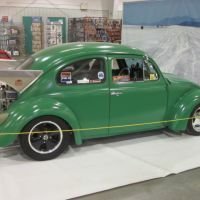 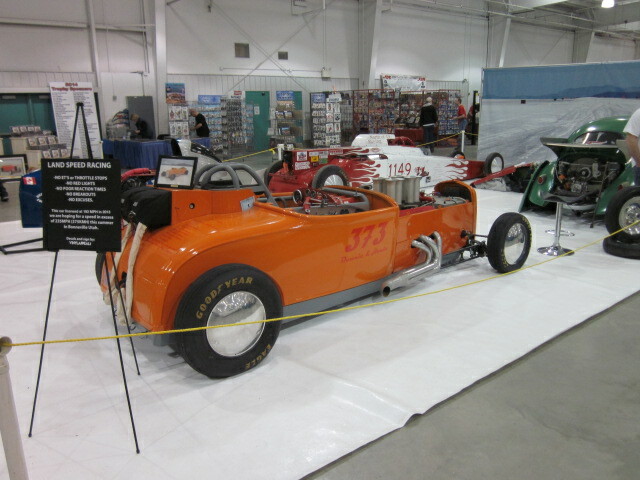 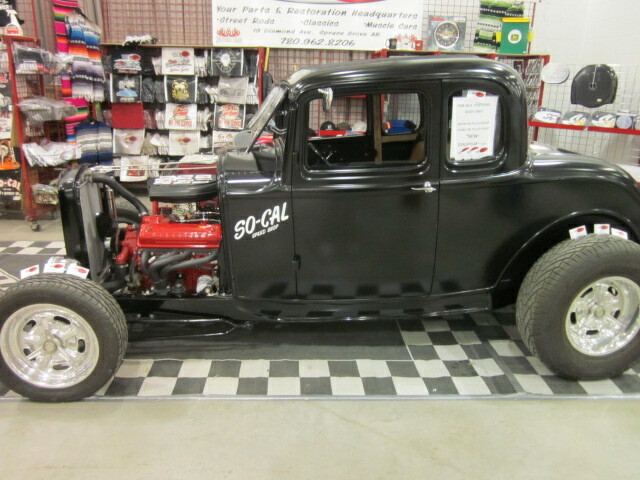 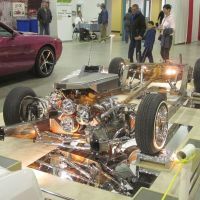 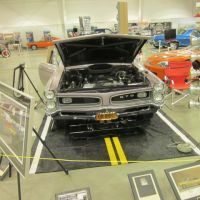 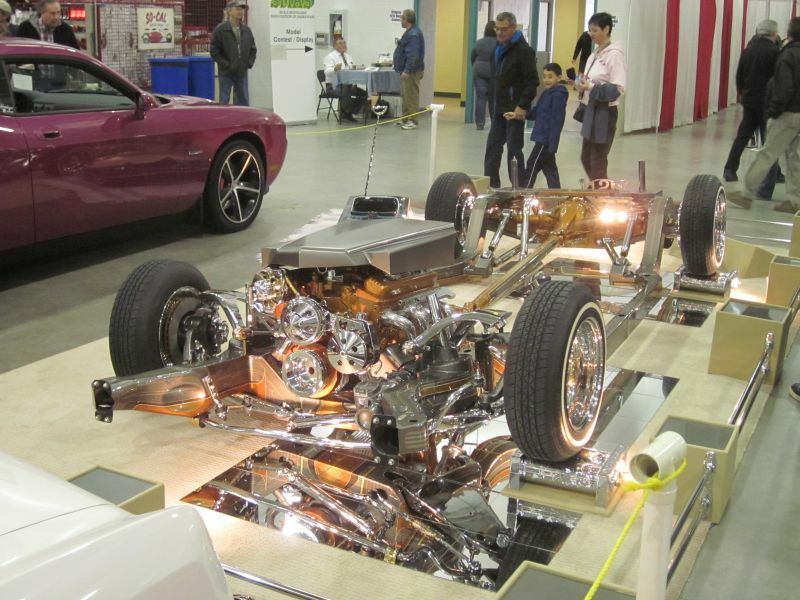 They will have a display at the show selling souvenirs commemorating the 58th annual car show, raffle tickets for a beautiful replica pedal car donated by Northend Warehousing, an art work by Dan Reid, and a Metal & Wood Table by the Abilities Metal Work department. 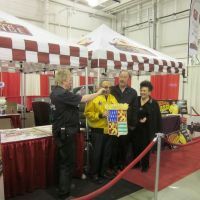 Don't miss checking out their booth! 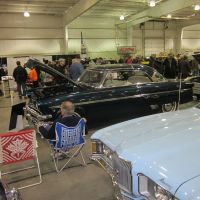 Remember to tell the Desk Clerk that you are attending the Draggins Car Show! 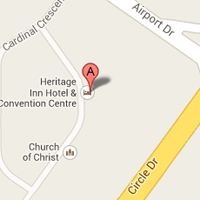 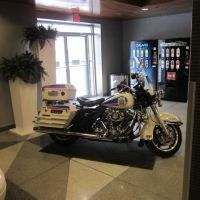 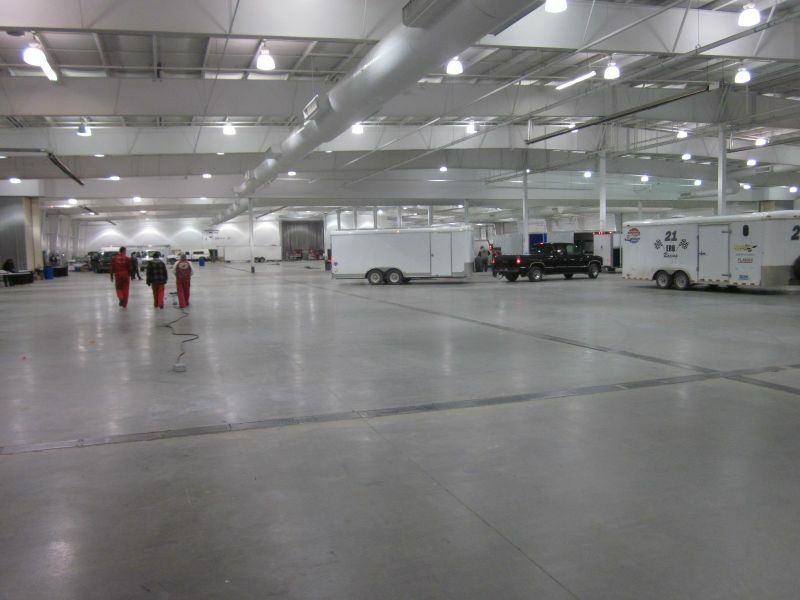 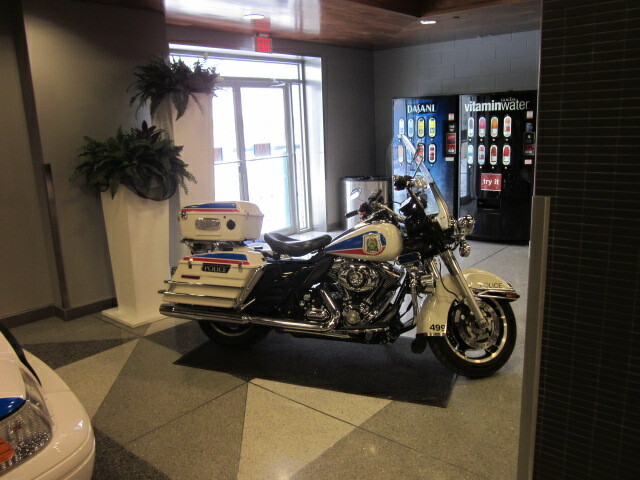 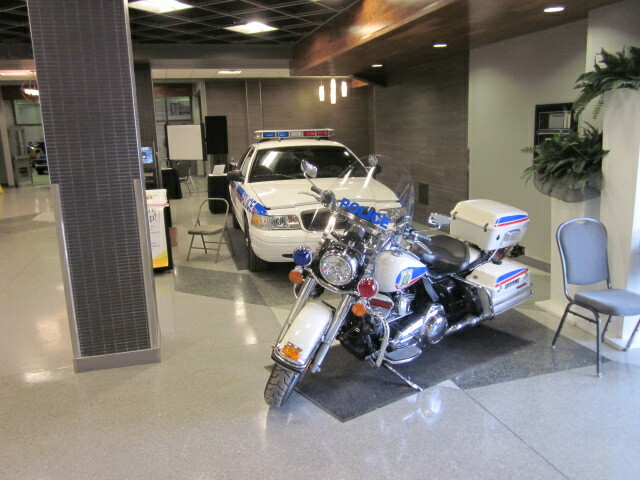 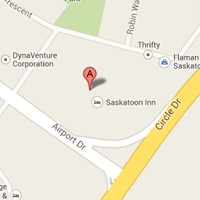 -Our Host hotels provide secure parking. 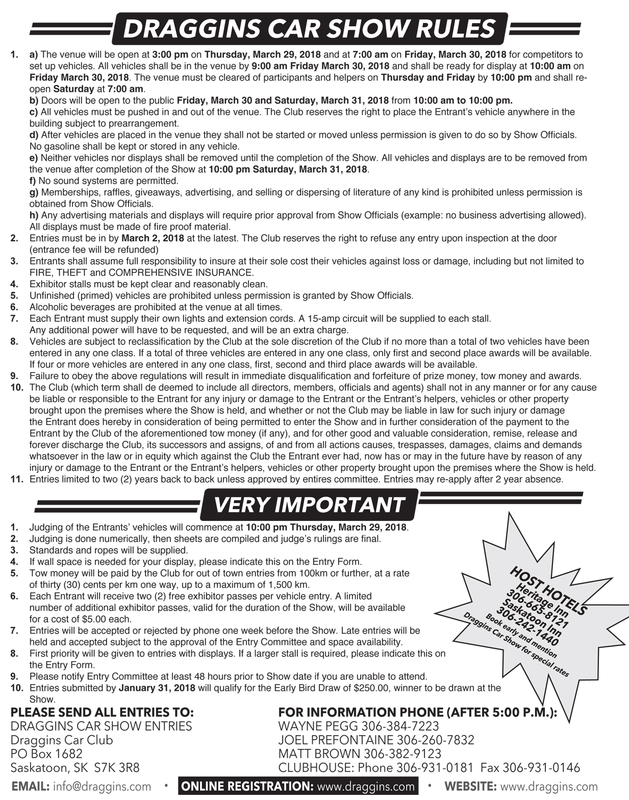 -Please note that vehicles are left at owners risk. 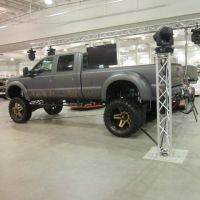 -The Draggins do not accept responsibility for any theft or damage. 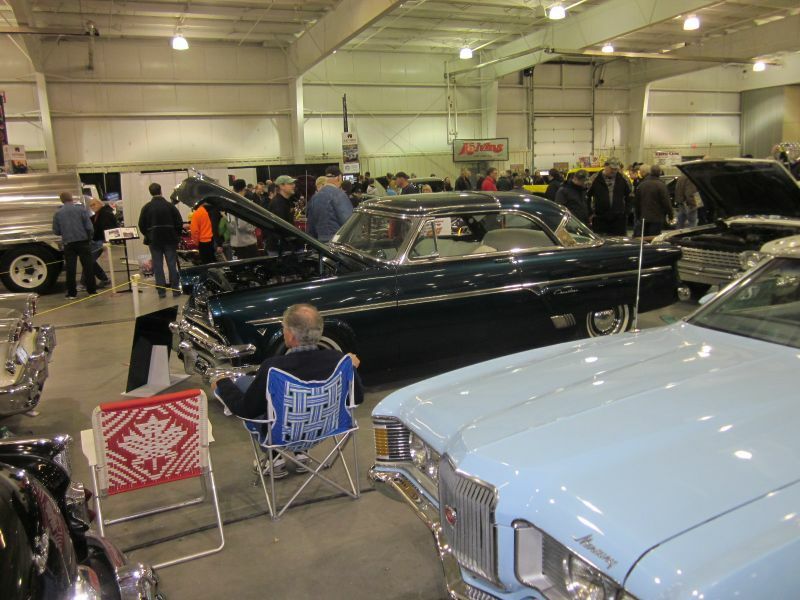 The 2016 Draggins Annual Car Show was a huge success!